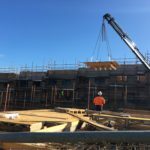 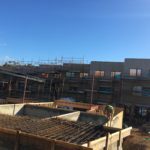 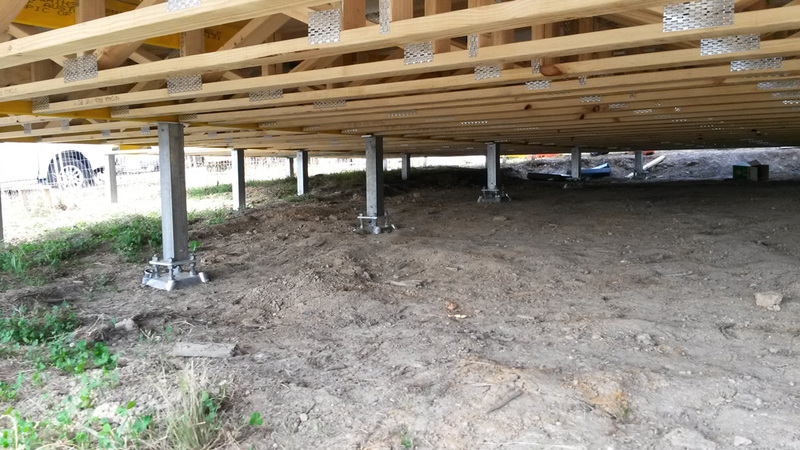 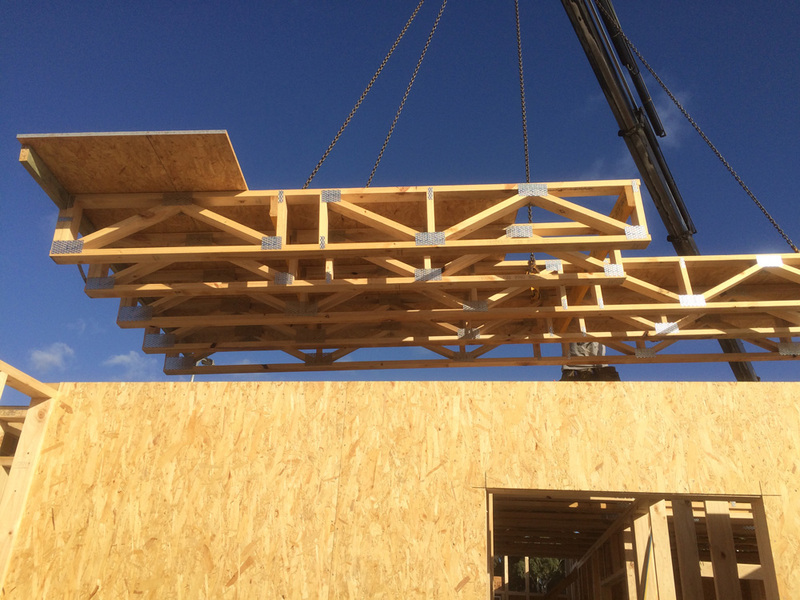 This project allowed DWTT-FutureFit to push the limits with building our largest Floor Cassettes to date with the longest at 11.85 metres in length. 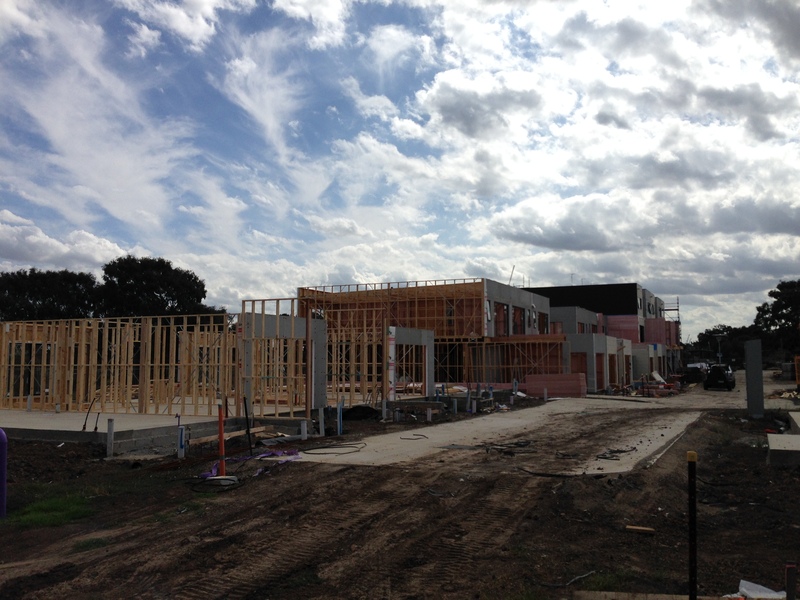 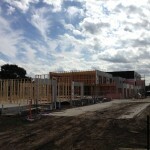 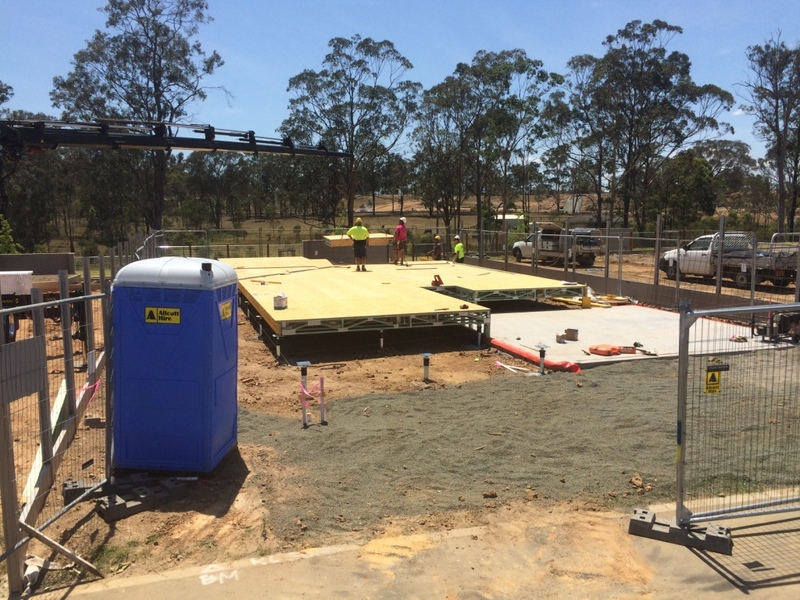 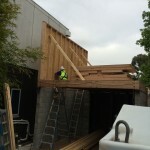 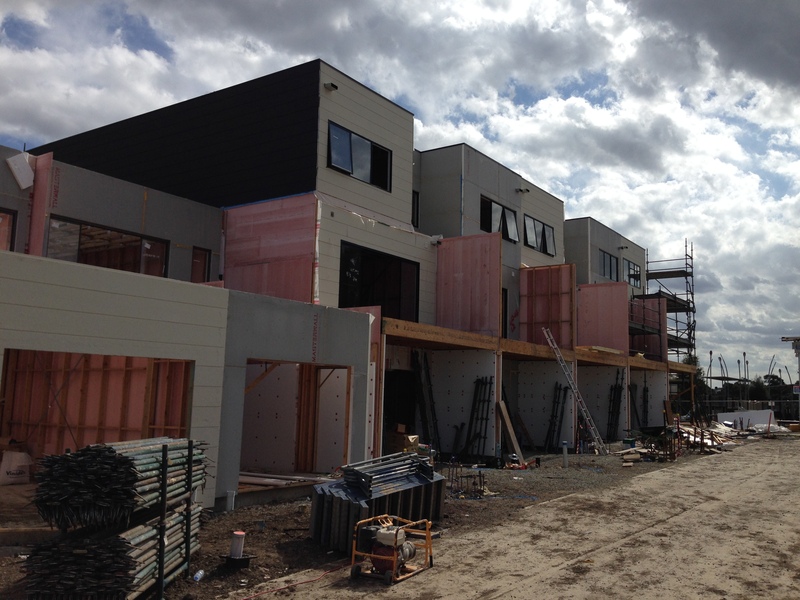 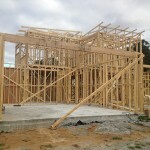 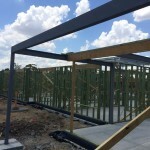 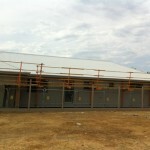 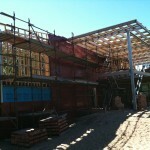 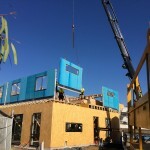 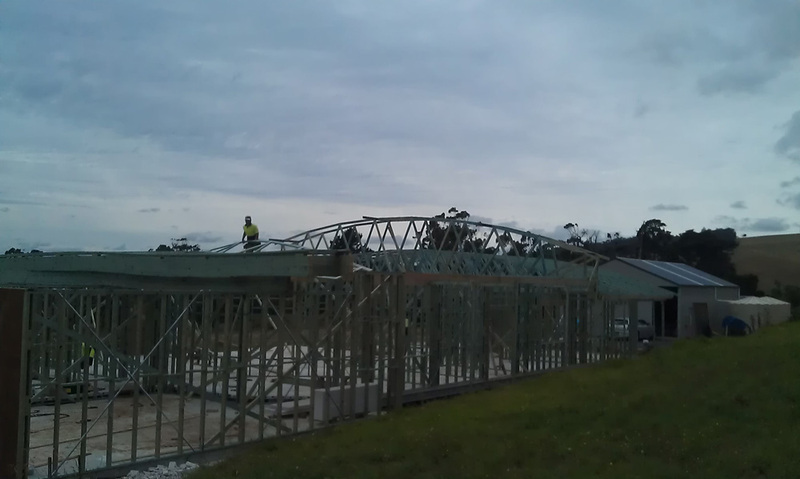 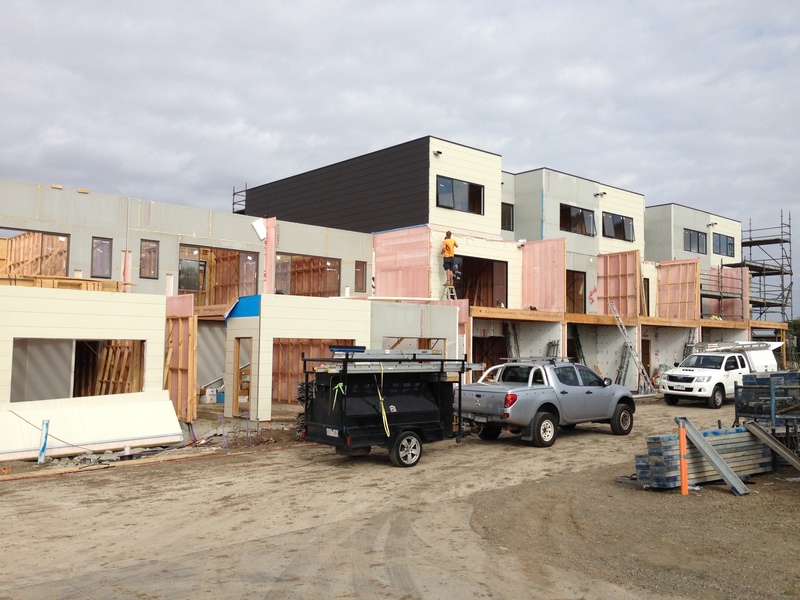 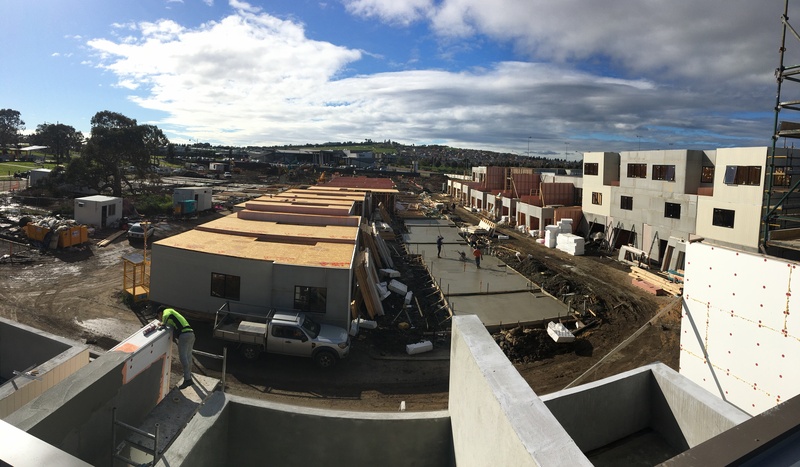 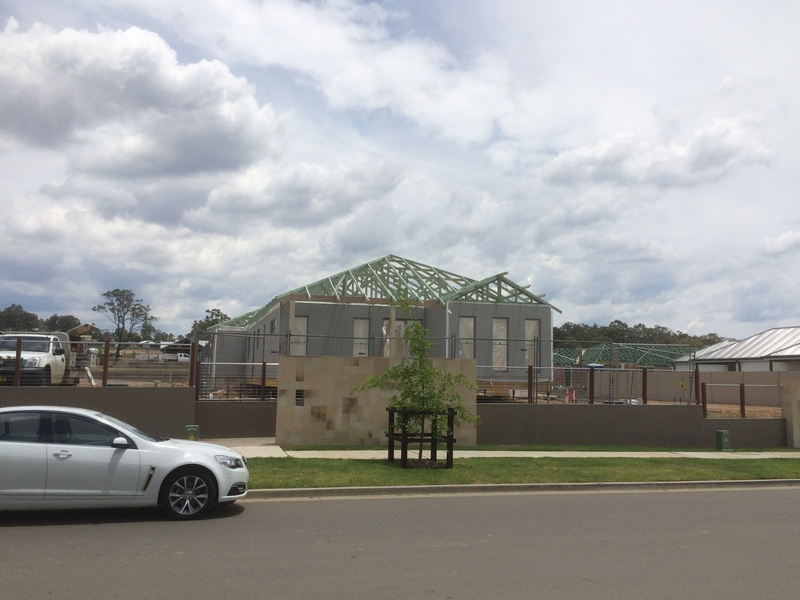 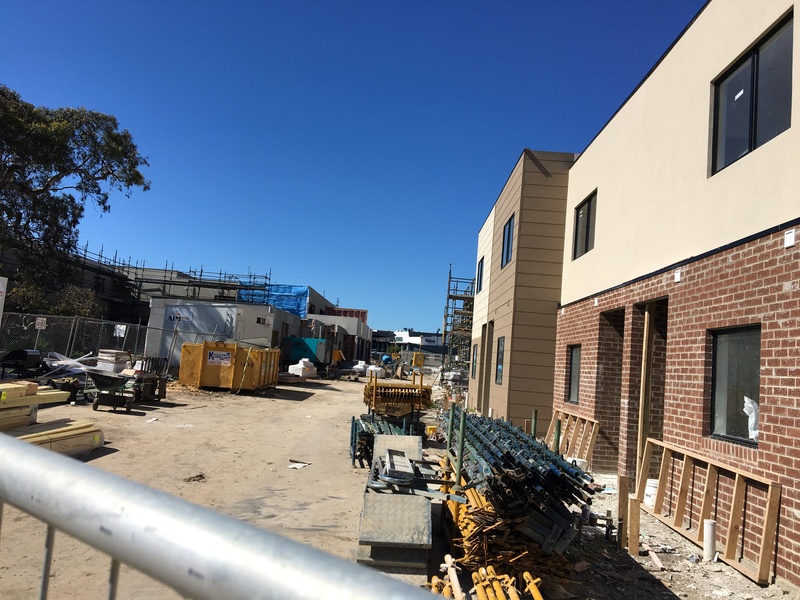 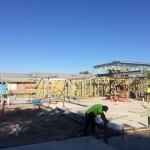 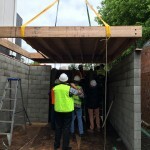 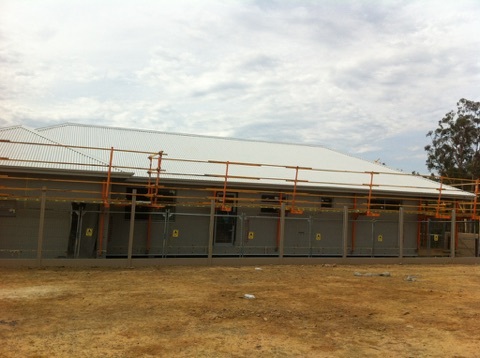 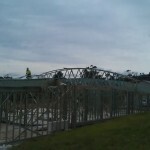 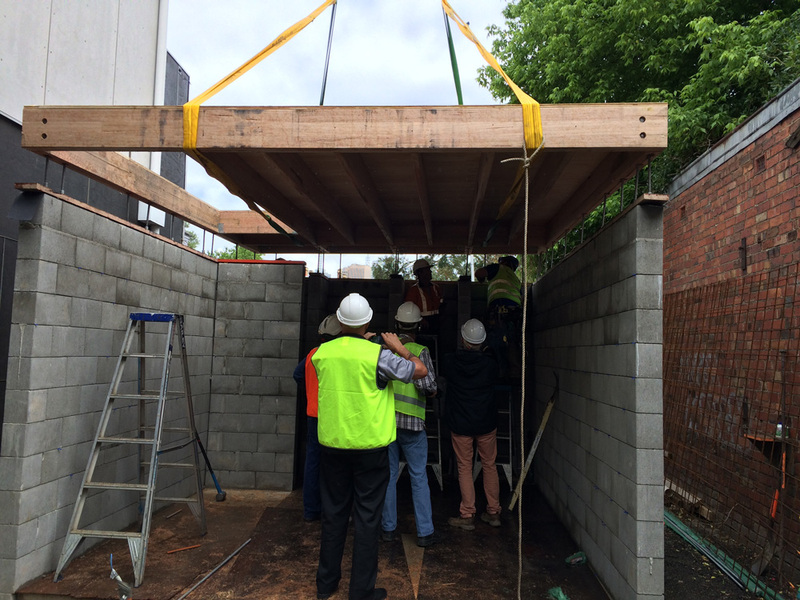 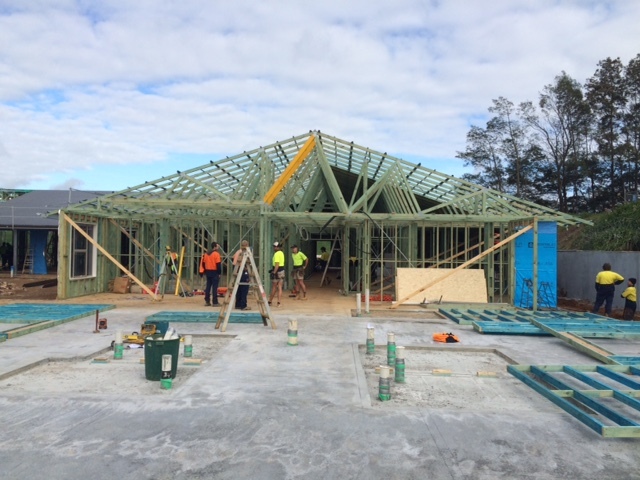 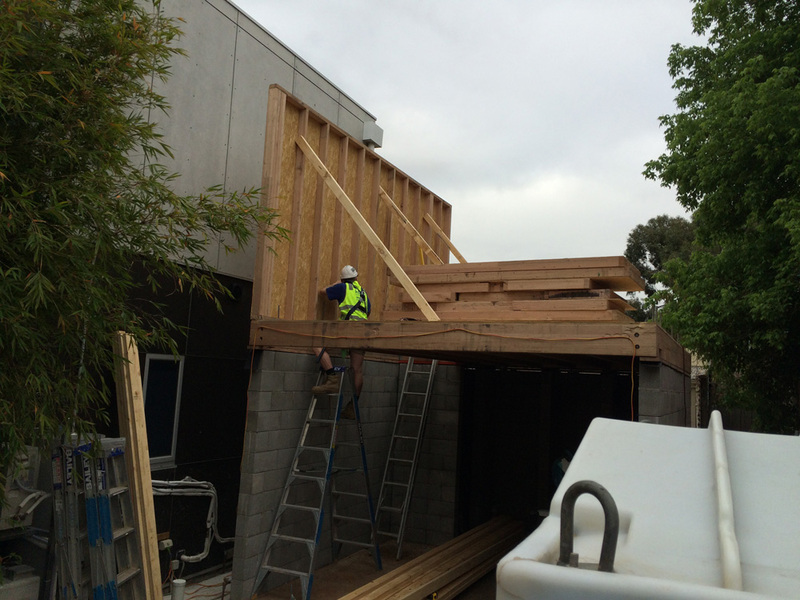 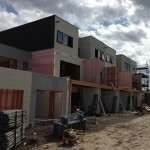 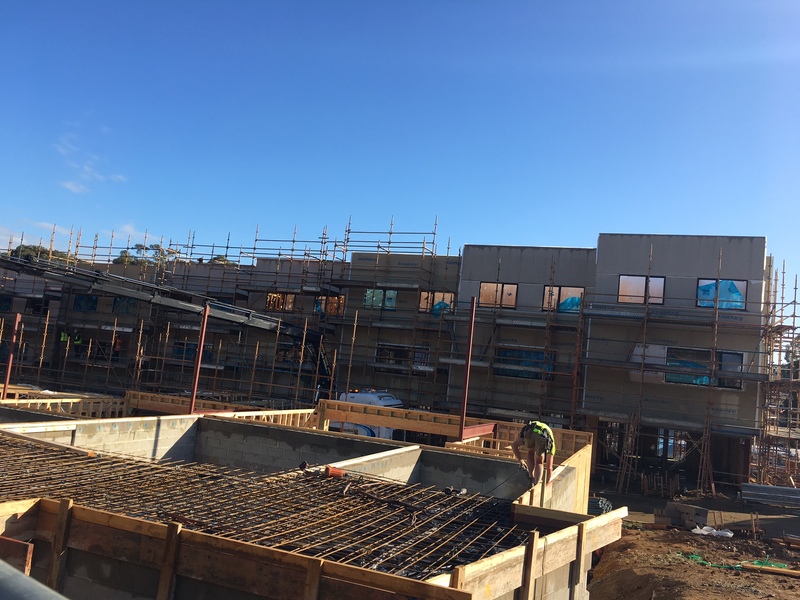 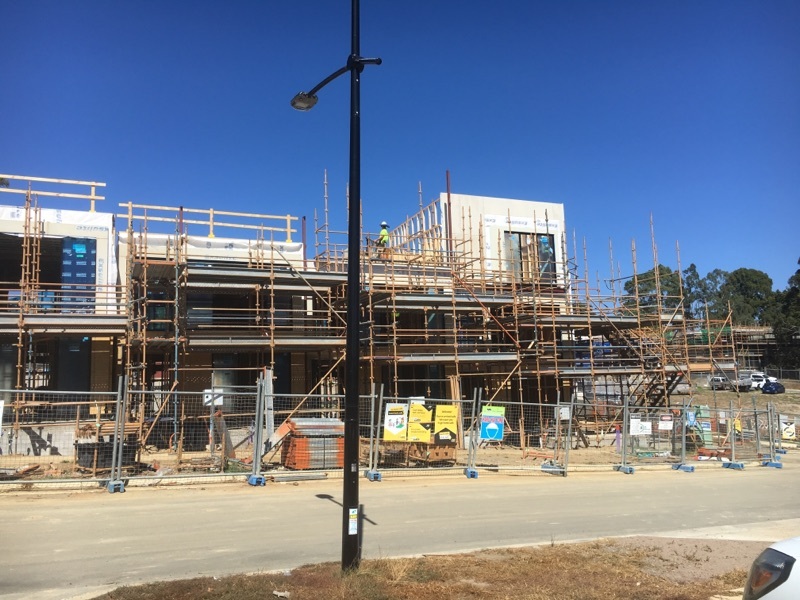 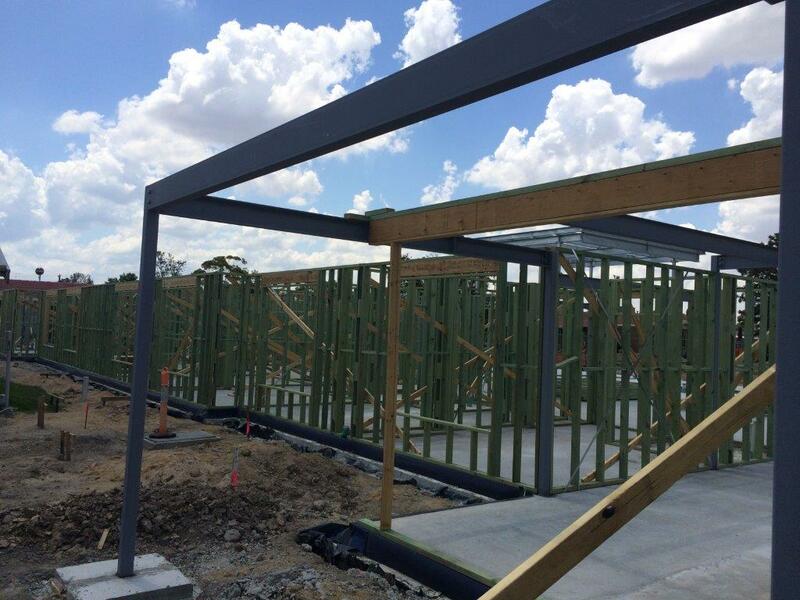 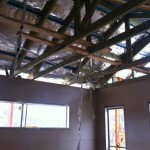 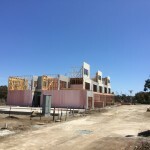 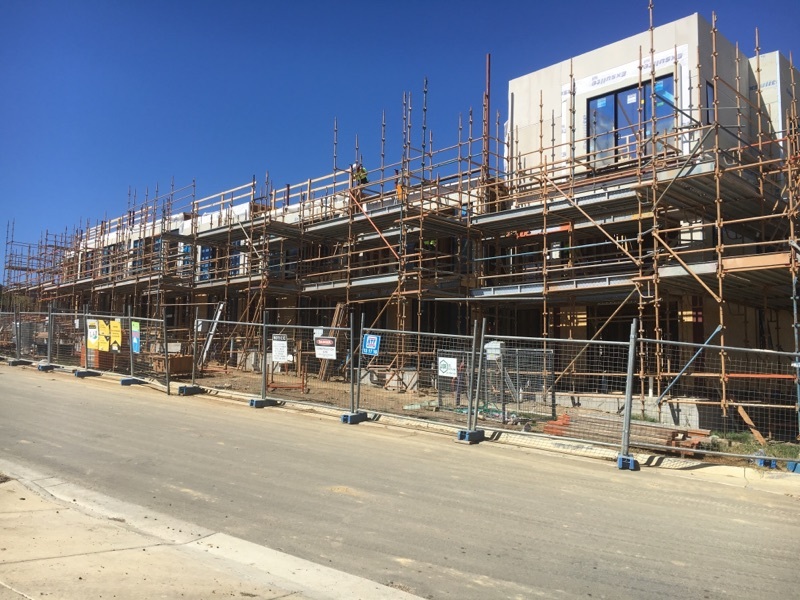 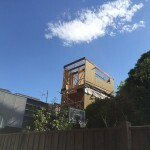 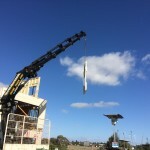 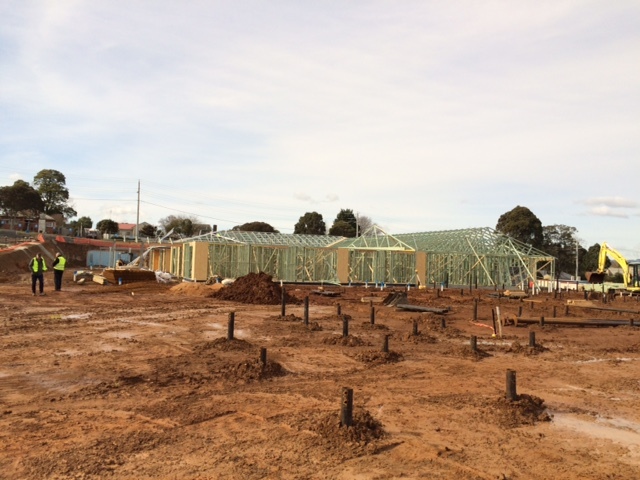 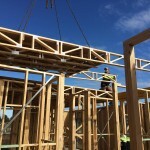 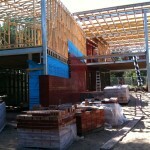 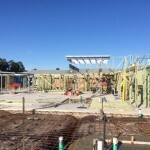 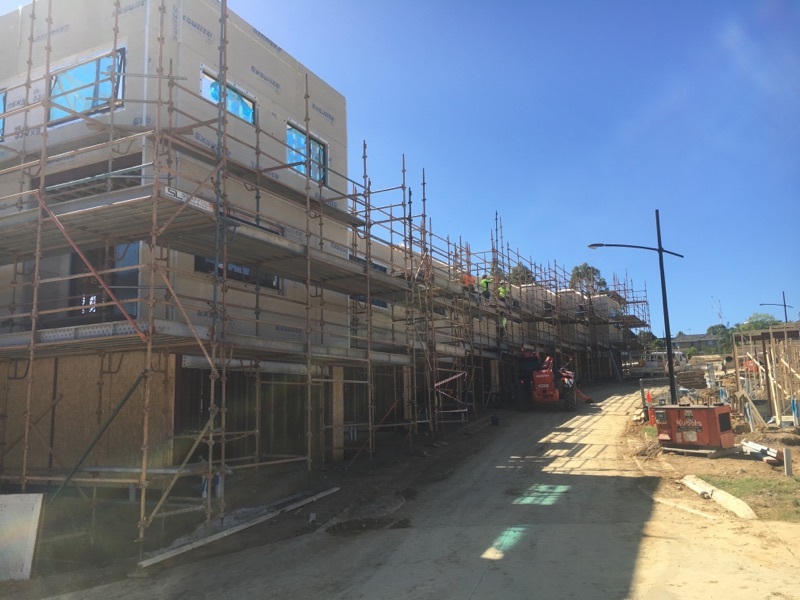 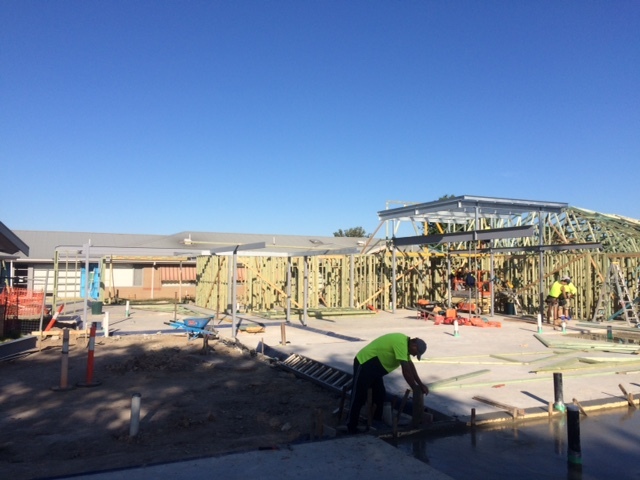 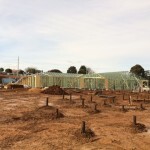 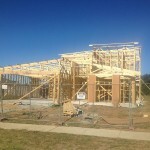 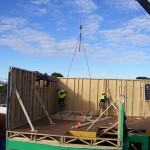 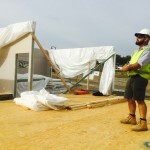 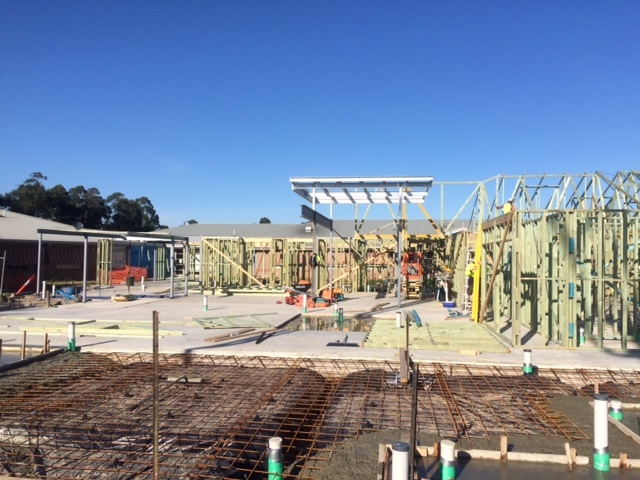 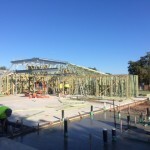 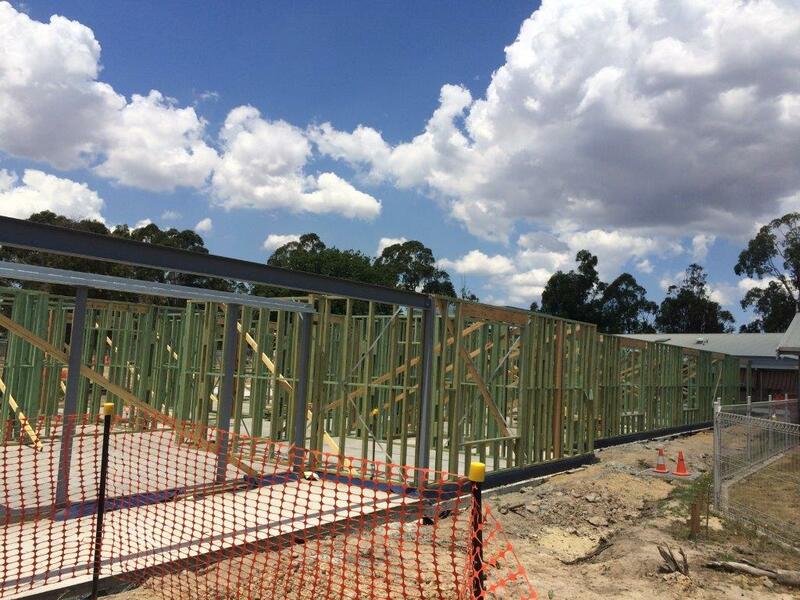 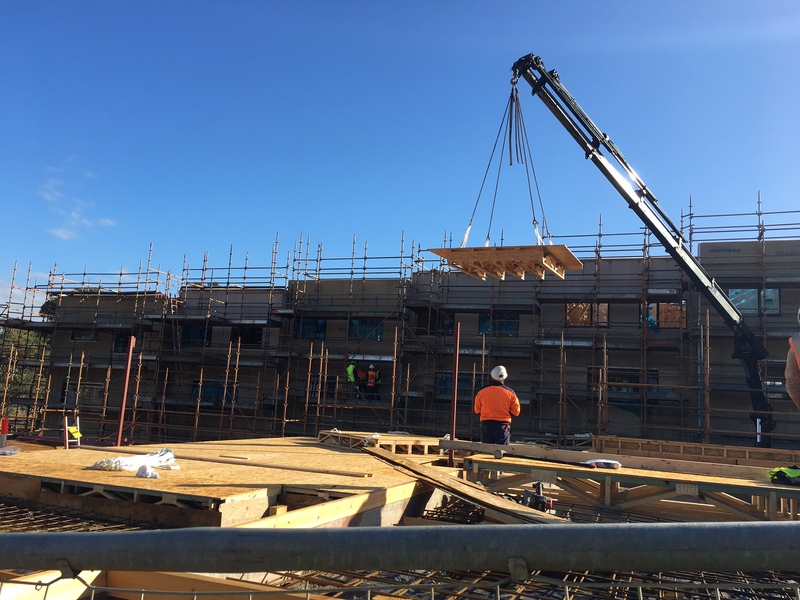 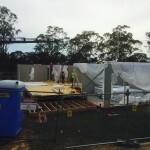 The excitement for FutureFit continues at Mirvac’s Tullamore project. 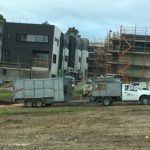 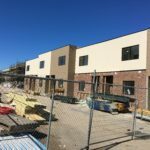 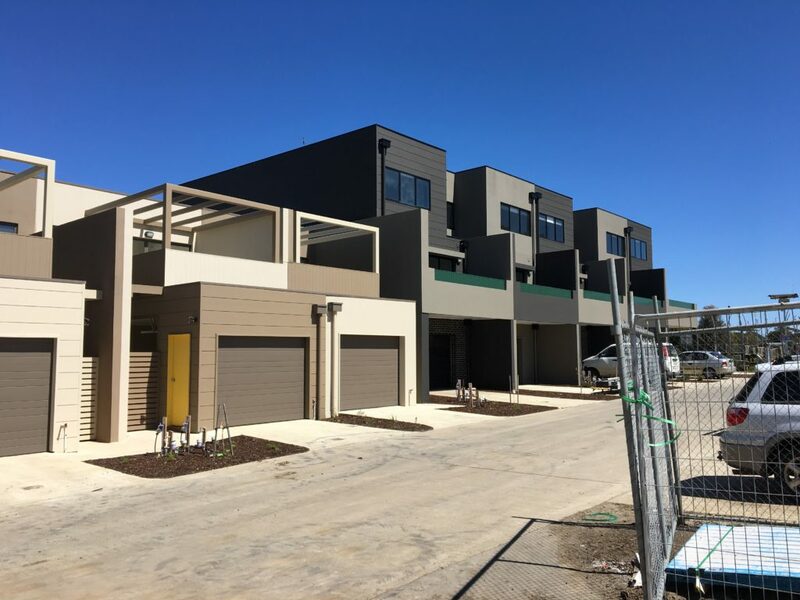 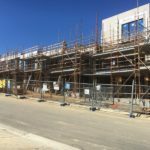 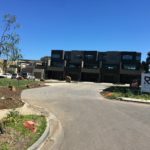 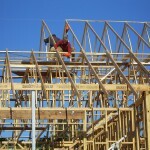 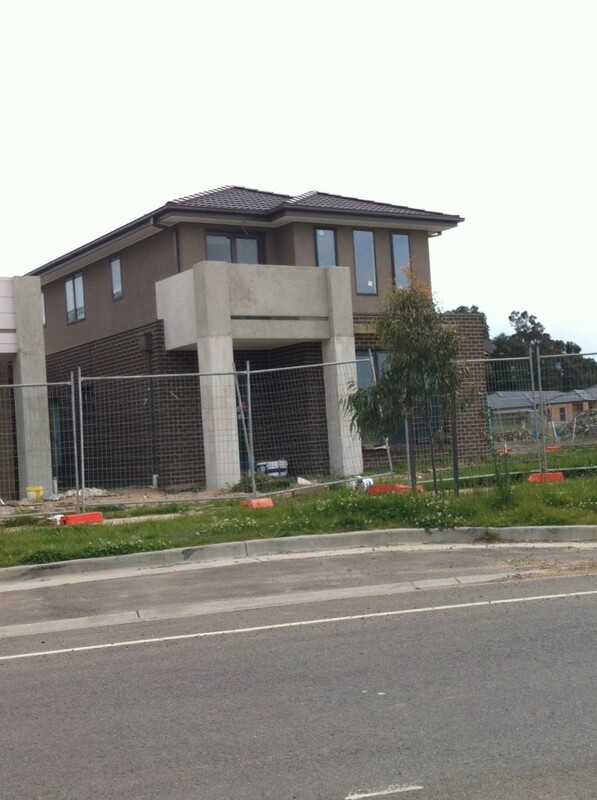 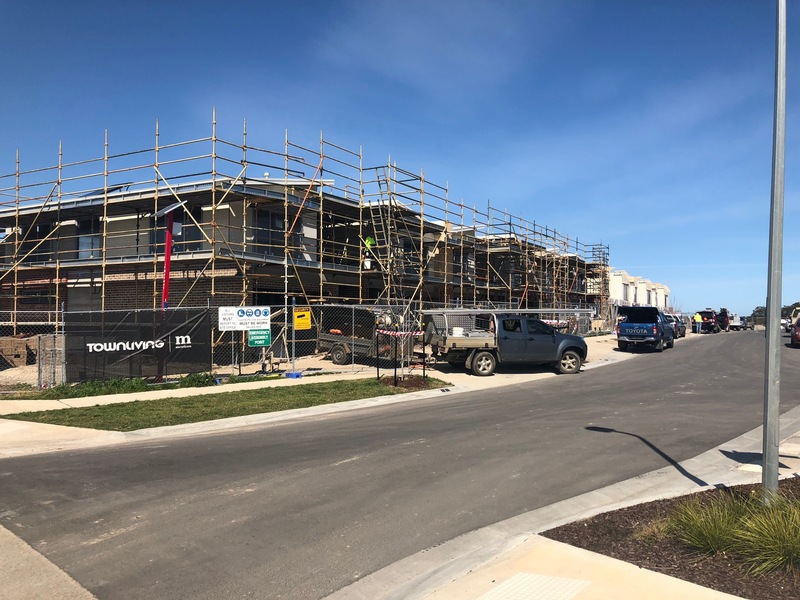 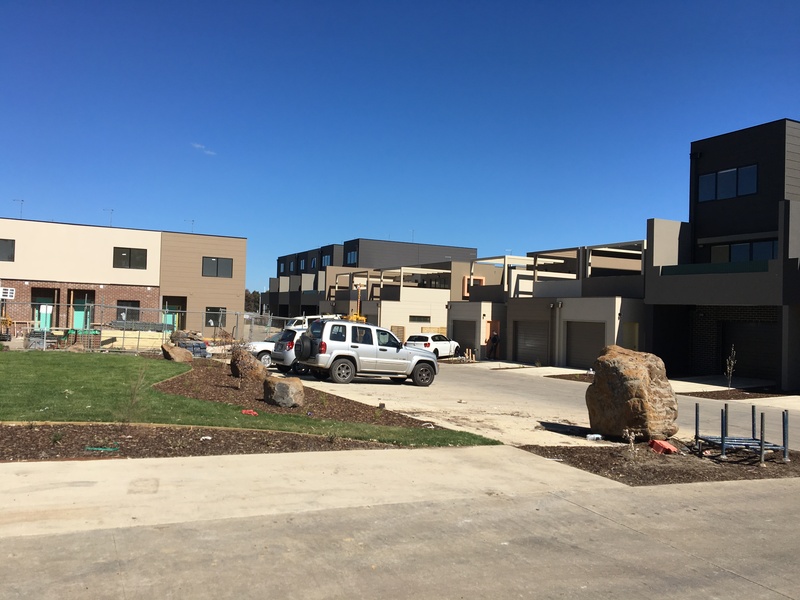 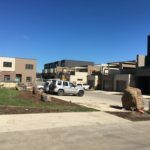 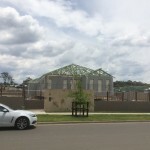 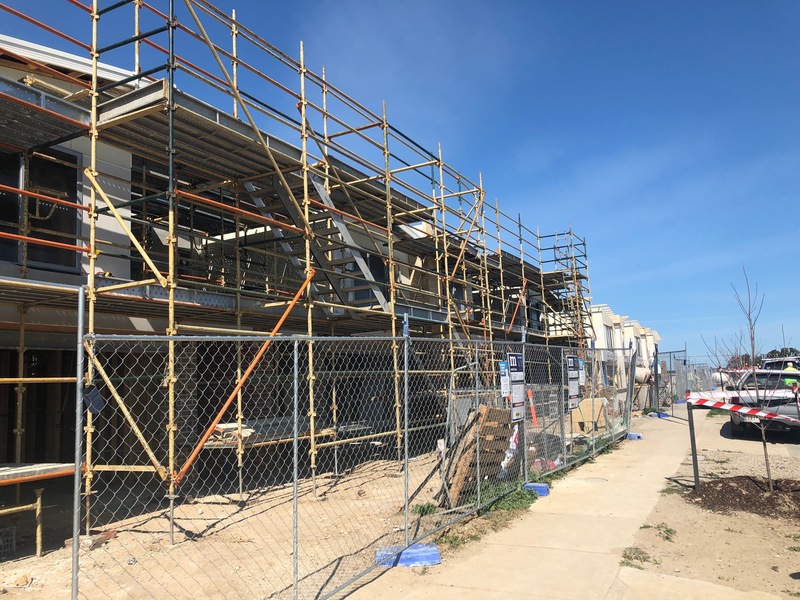 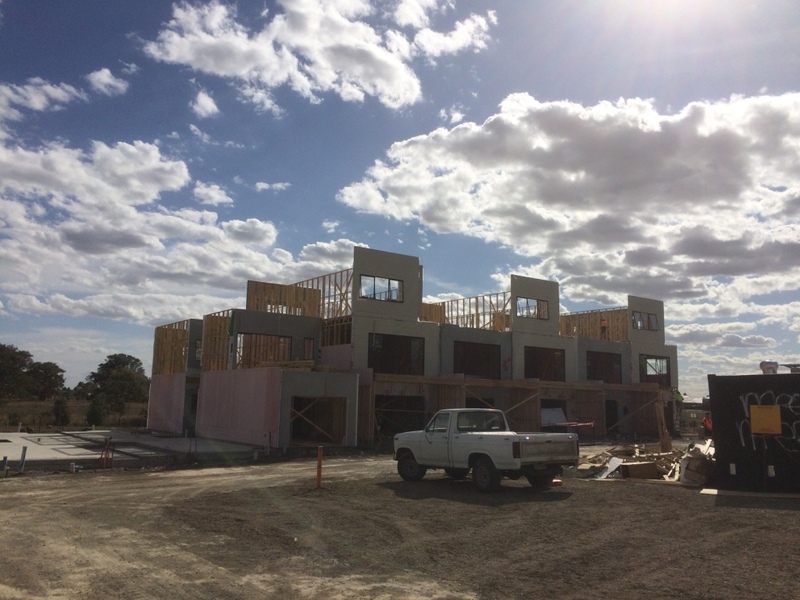 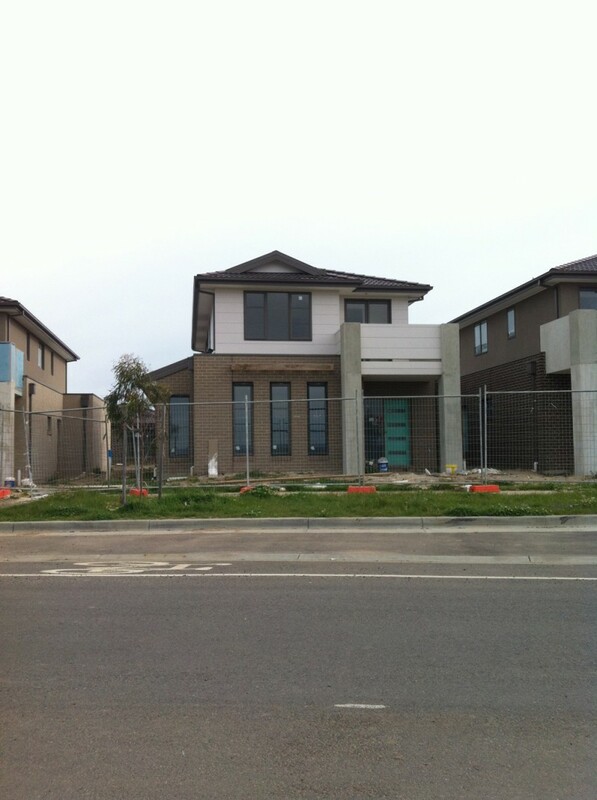 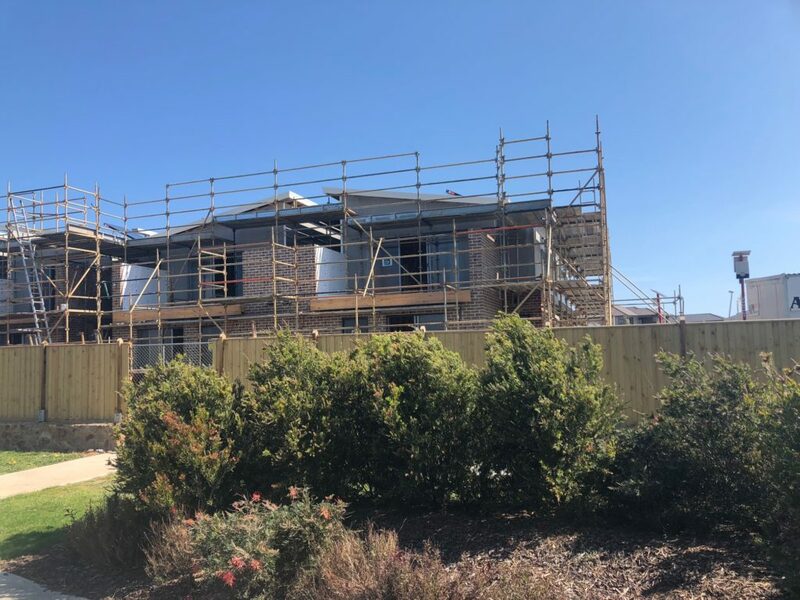 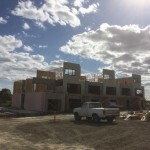 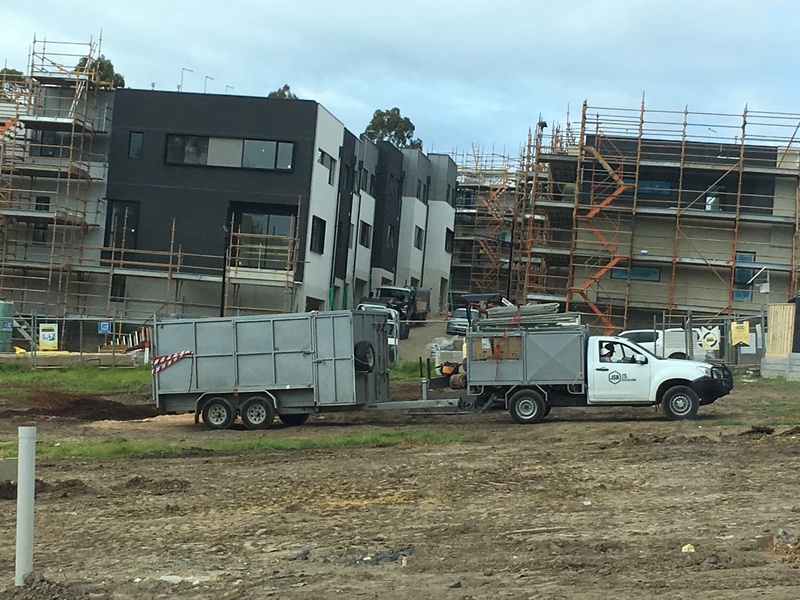 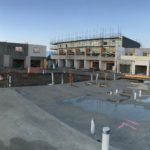 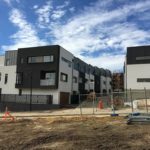 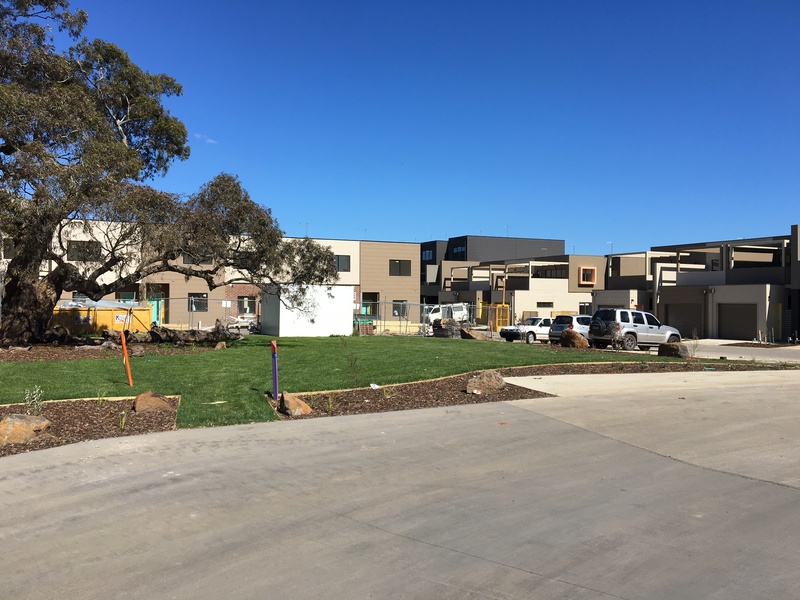 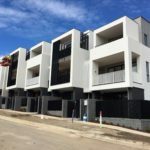 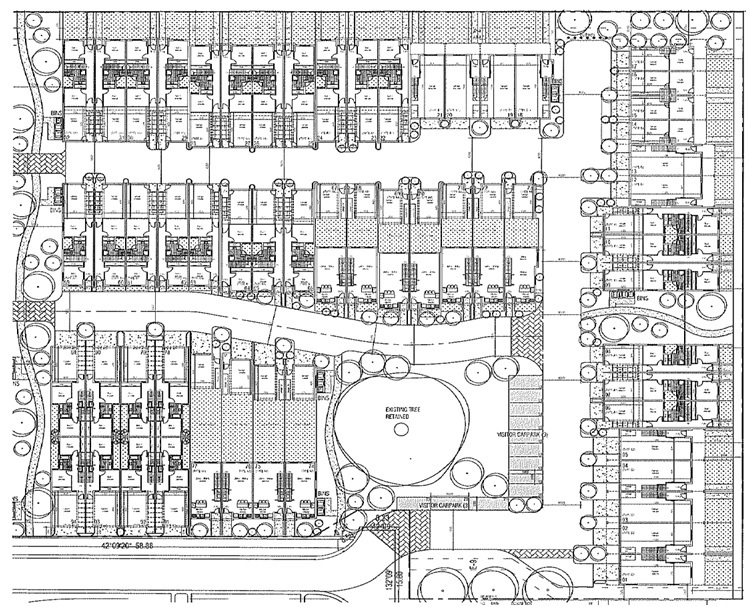 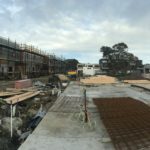 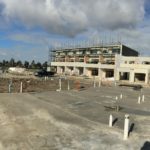 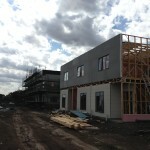 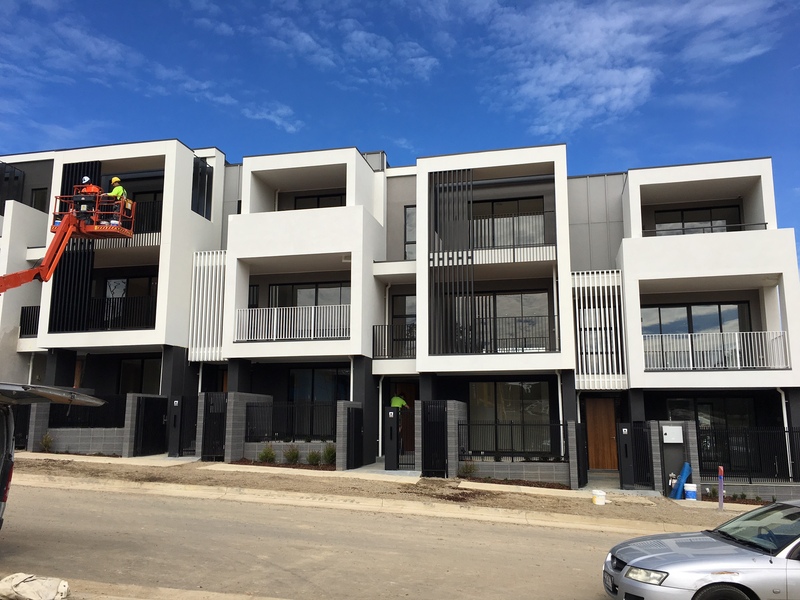 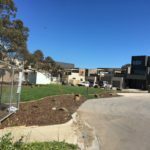 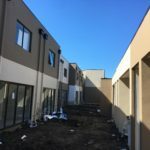 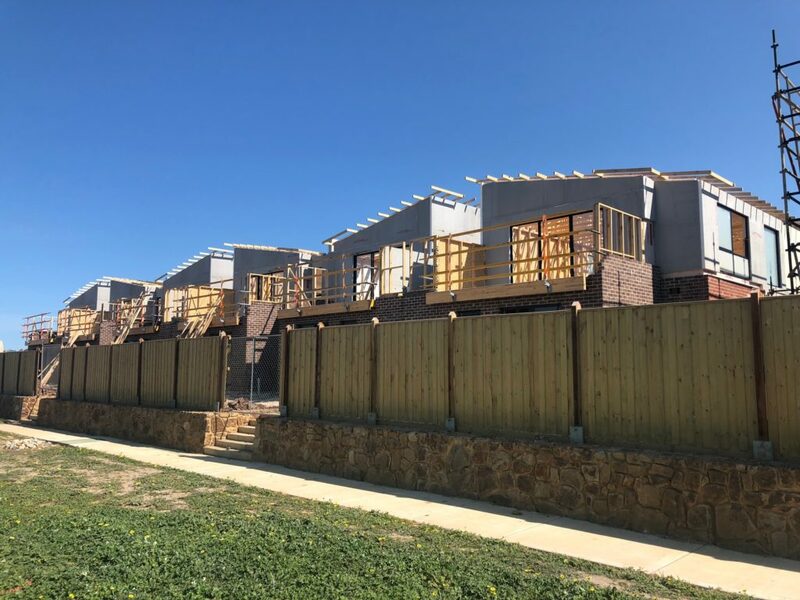 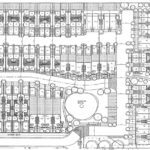 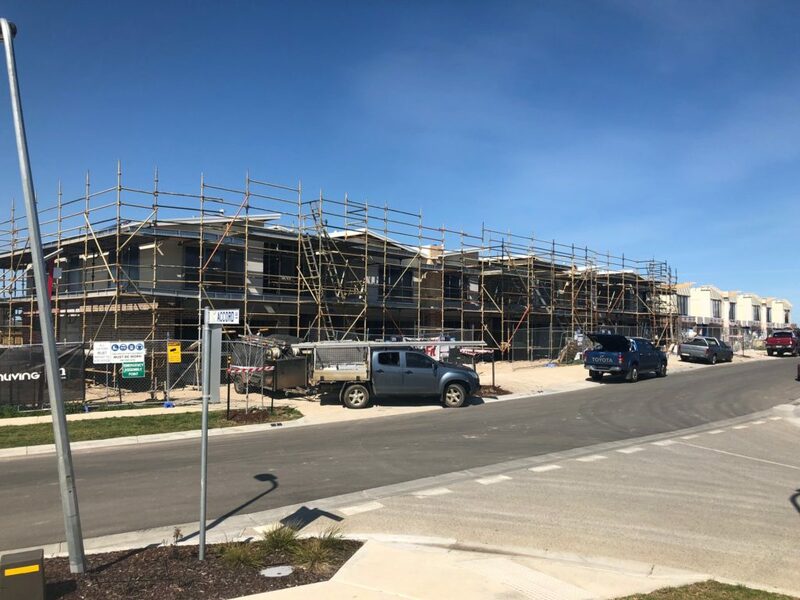 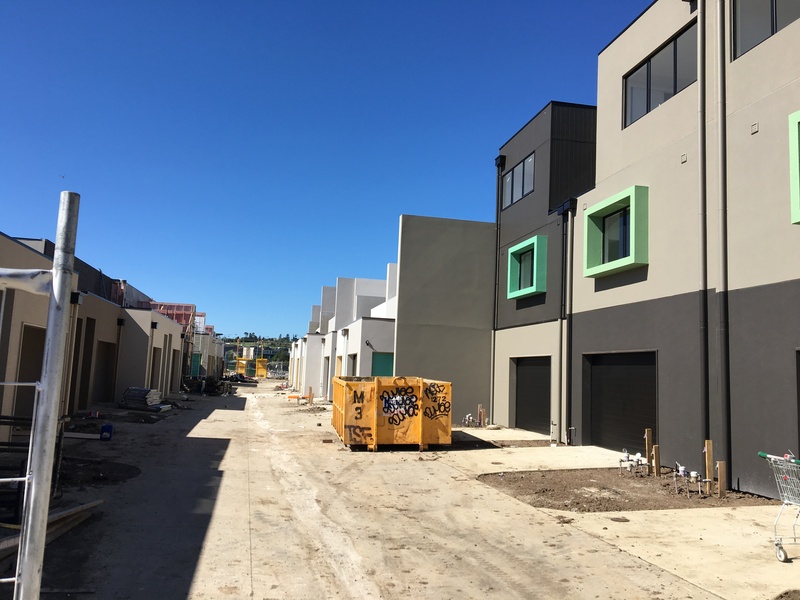 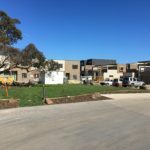 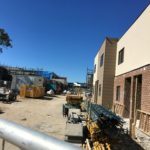 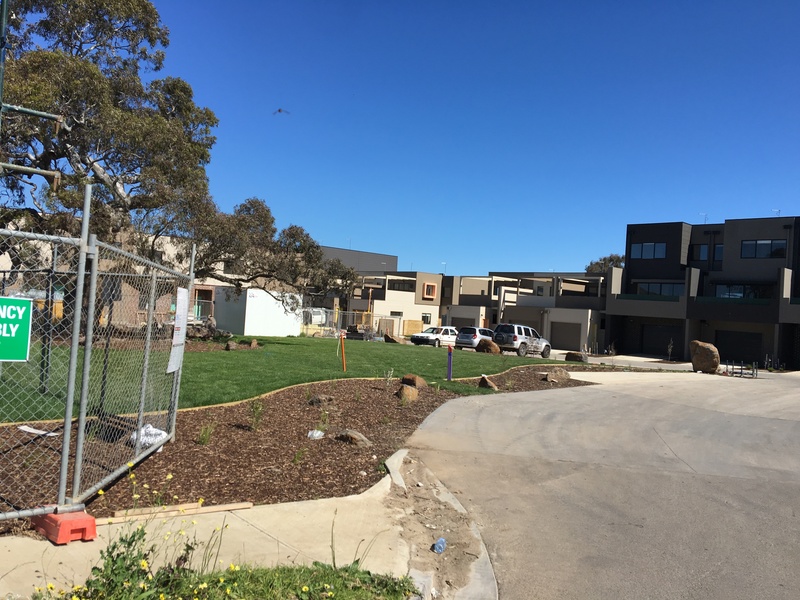 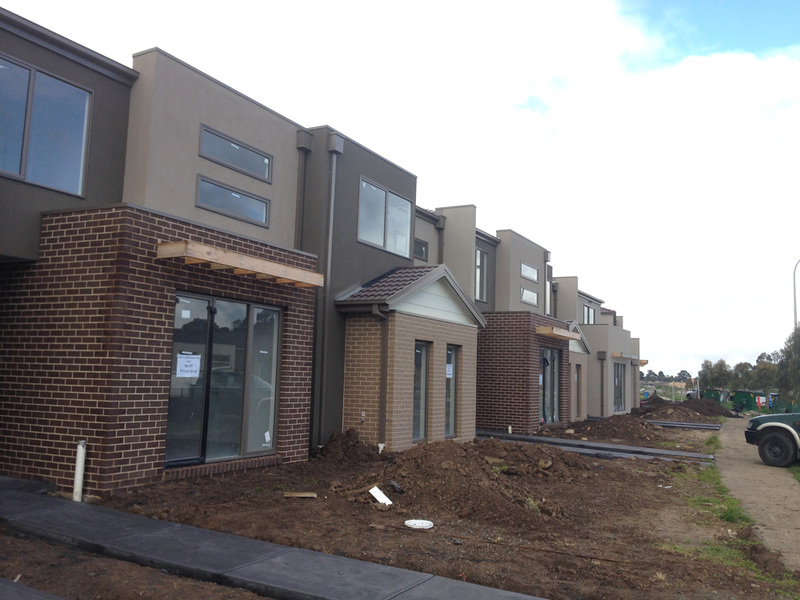 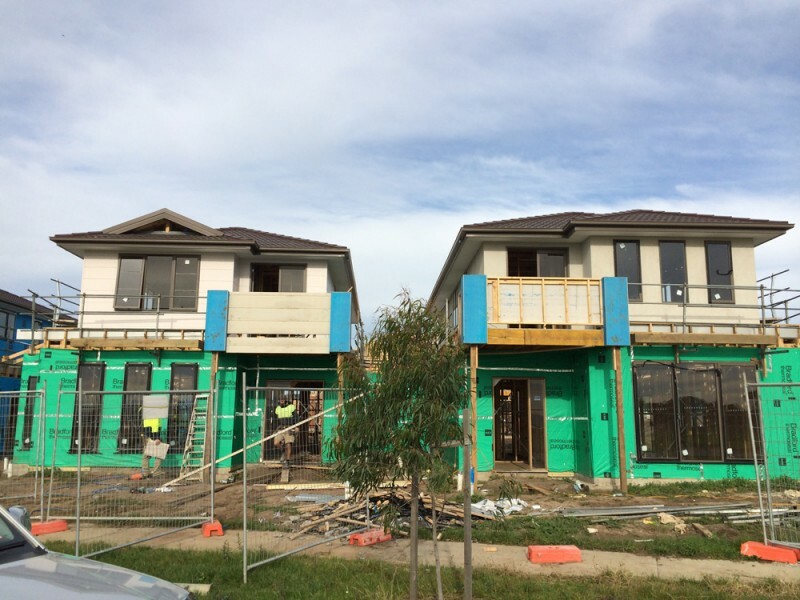 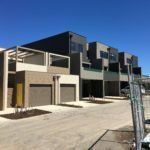 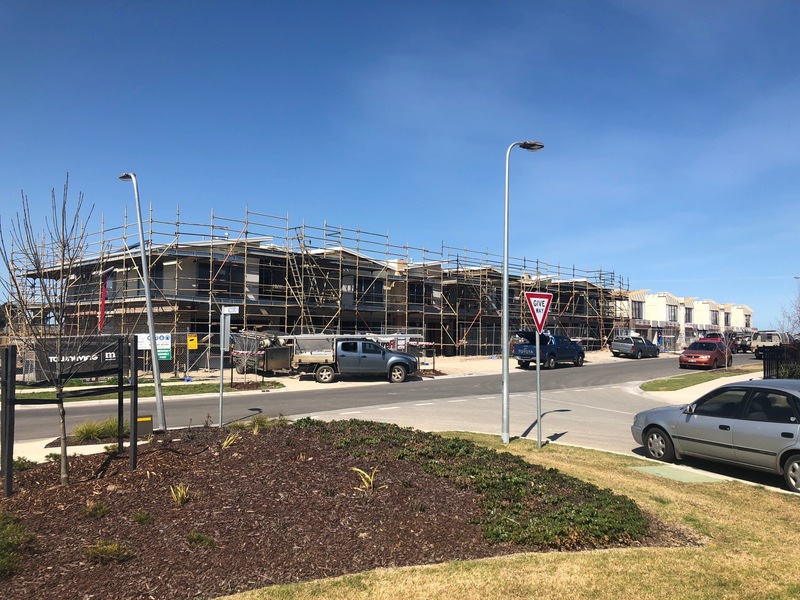 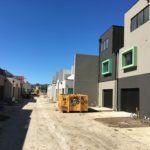 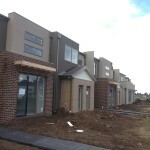 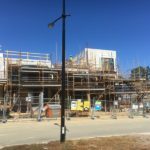 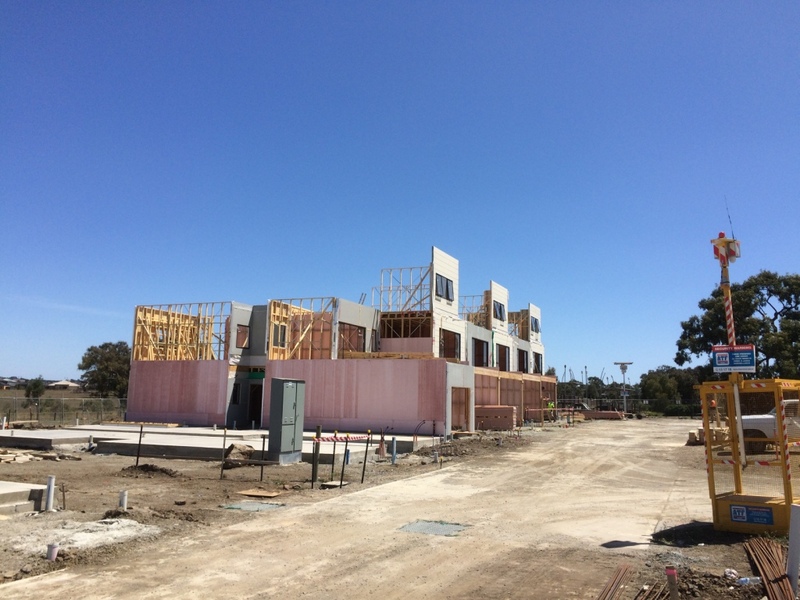 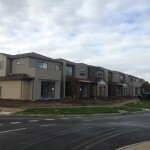 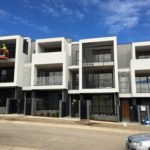 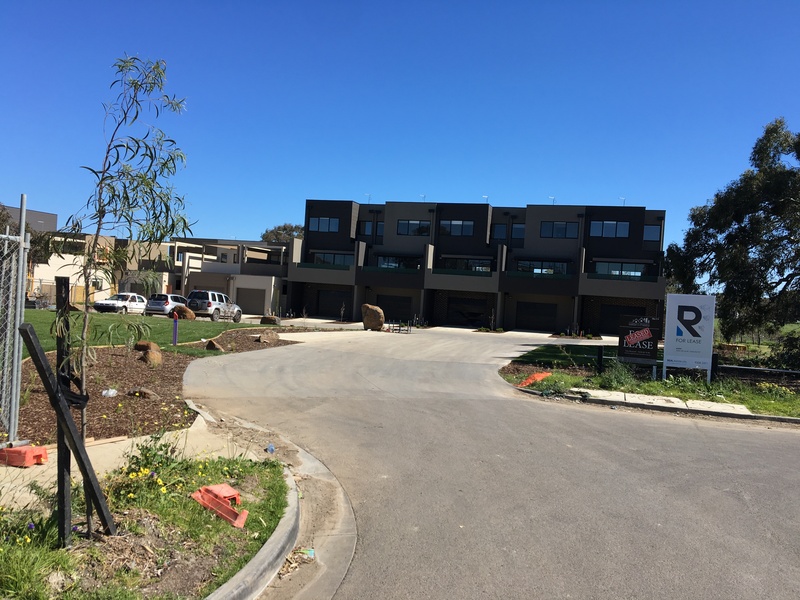 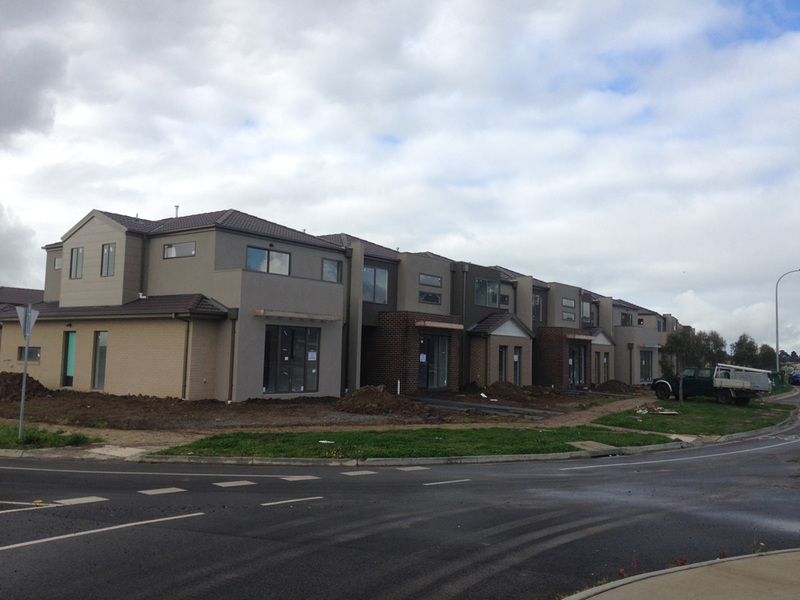 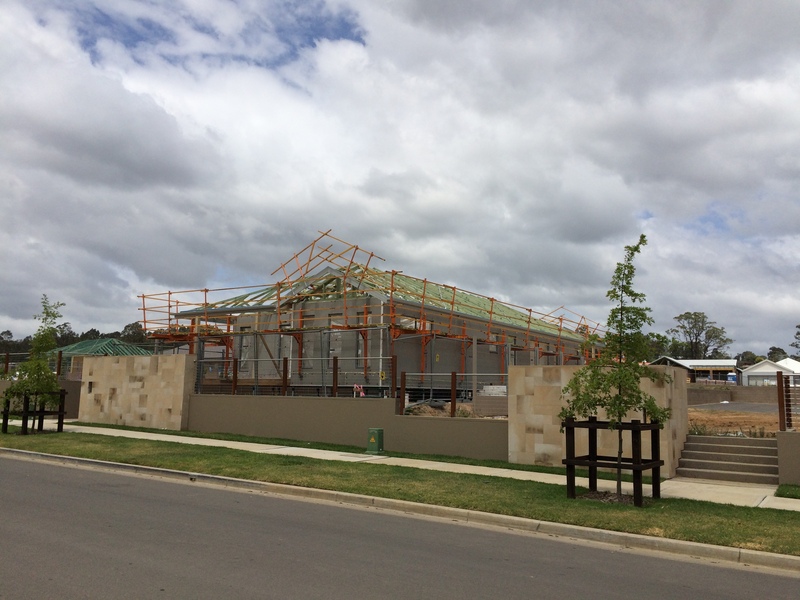 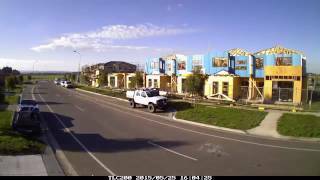 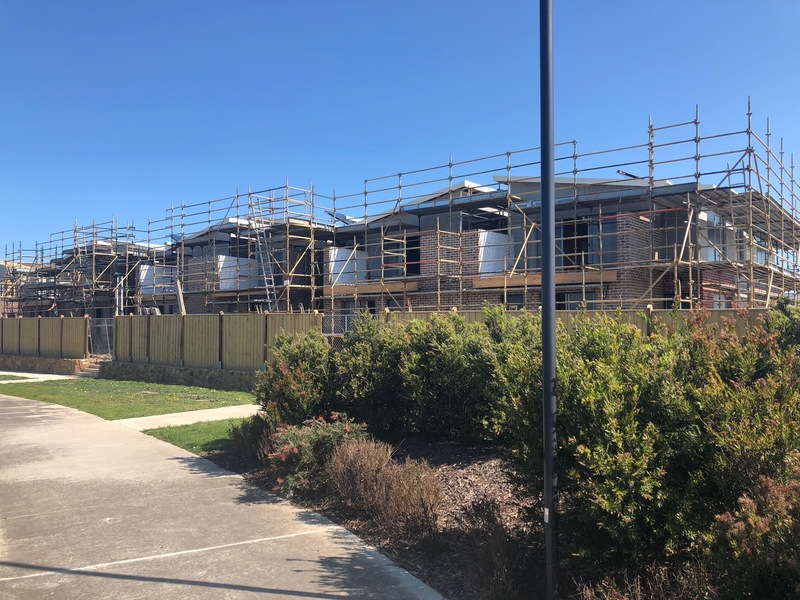 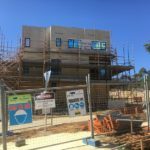 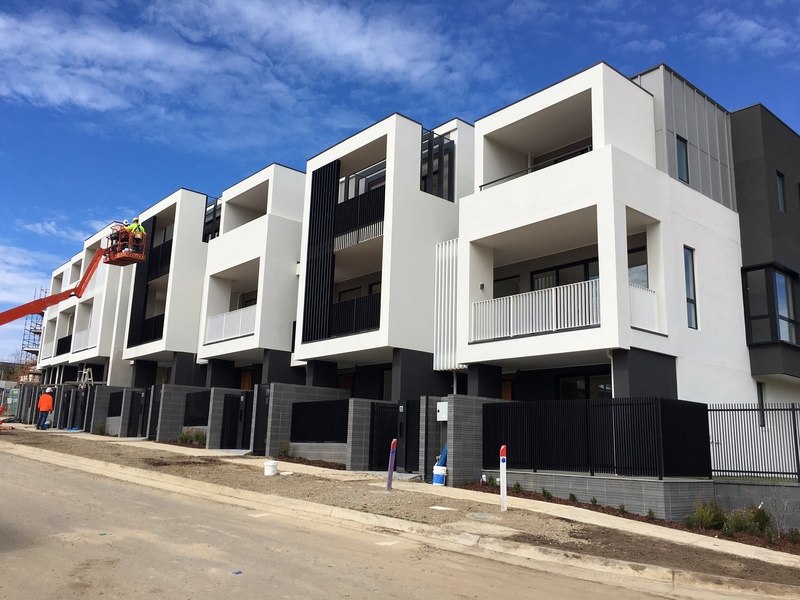 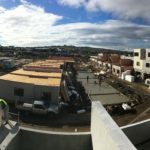 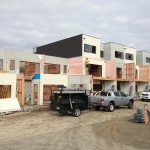 The old Doncaster East Golf Course is being transformed into a 800 block master planned community. 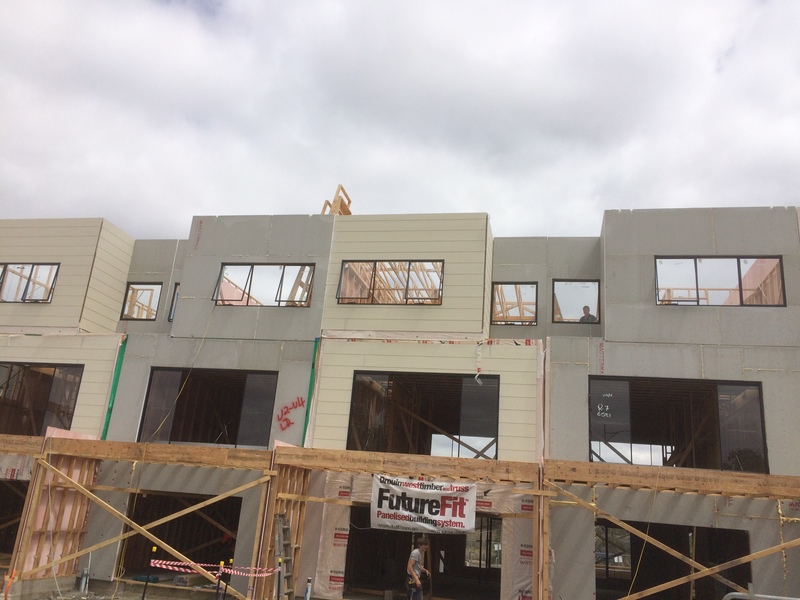 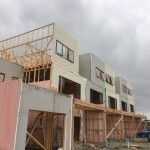 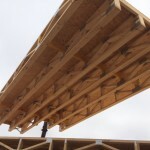 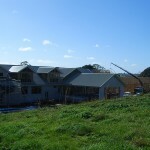 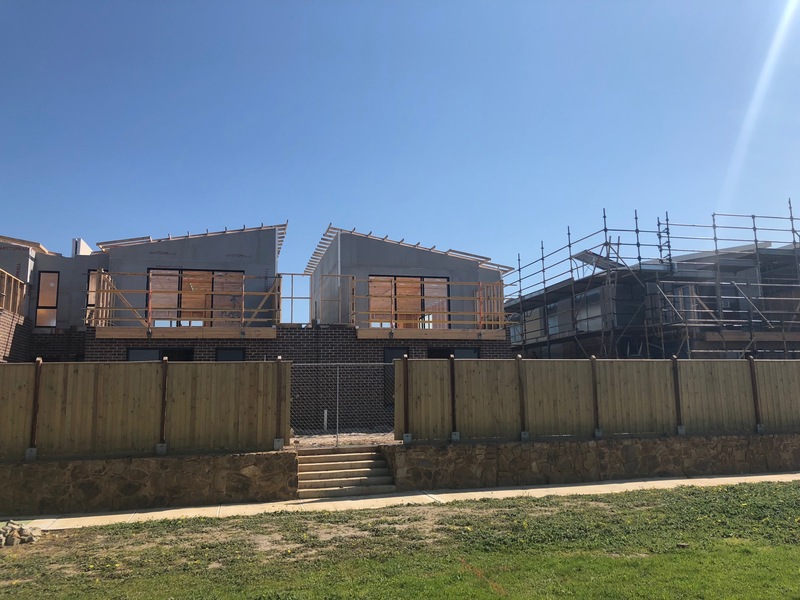 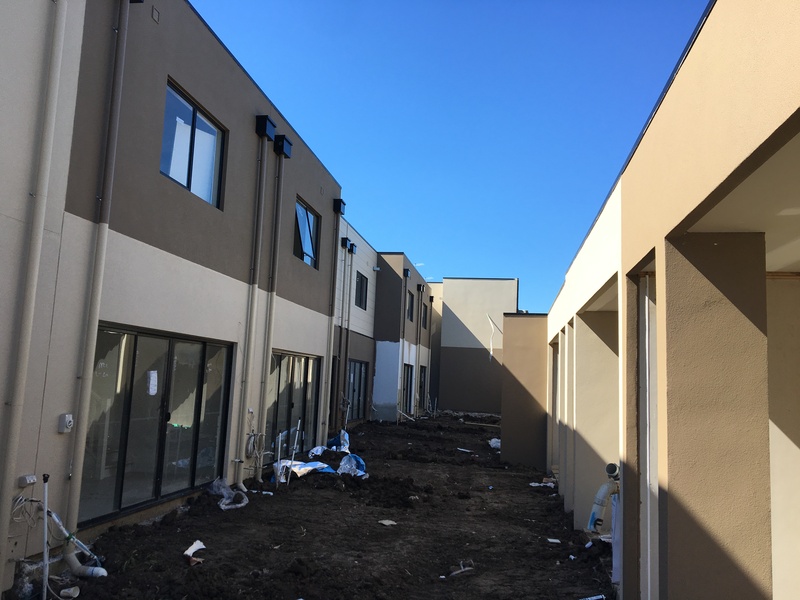 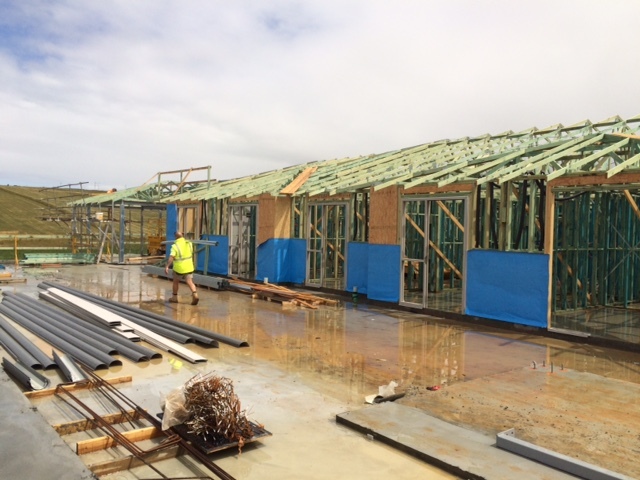 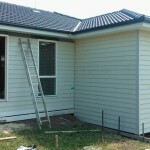 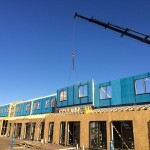 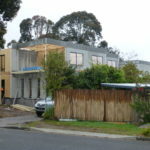 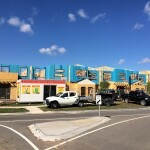 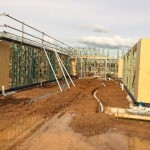 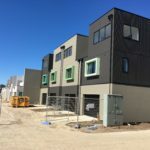 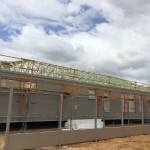 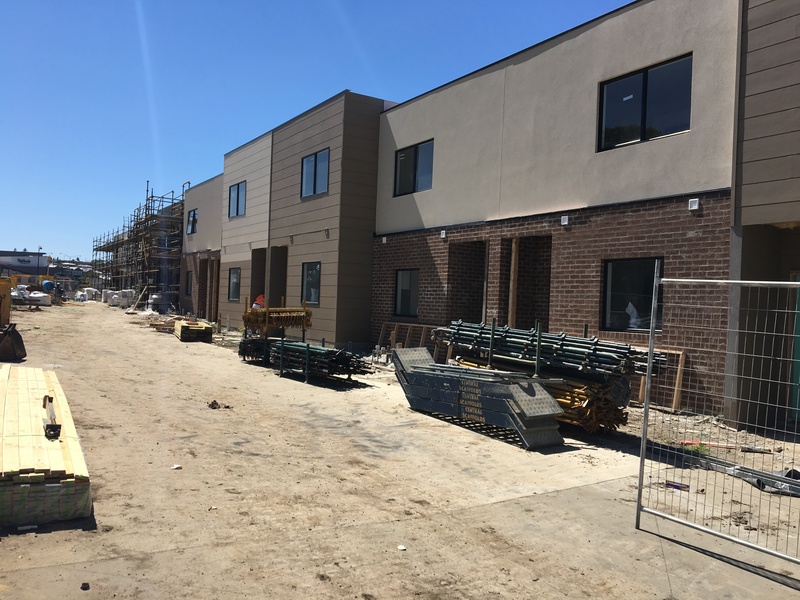 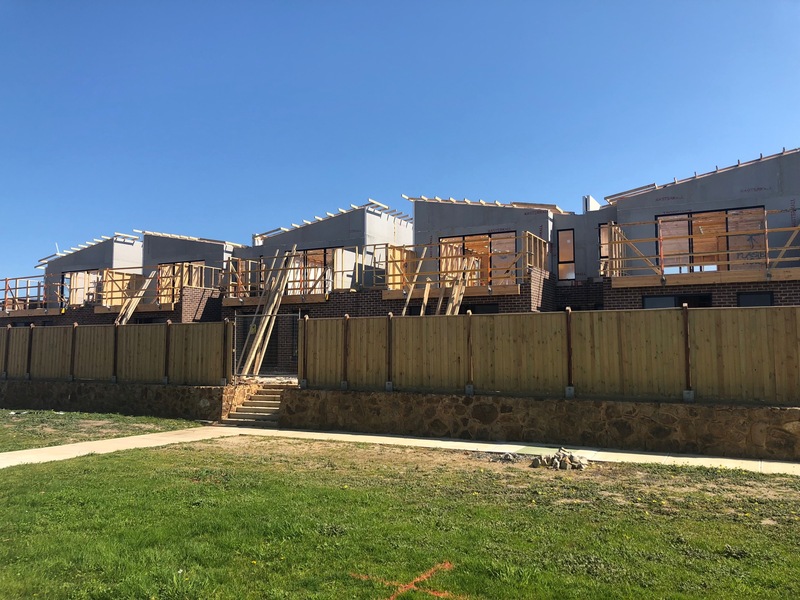 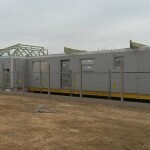 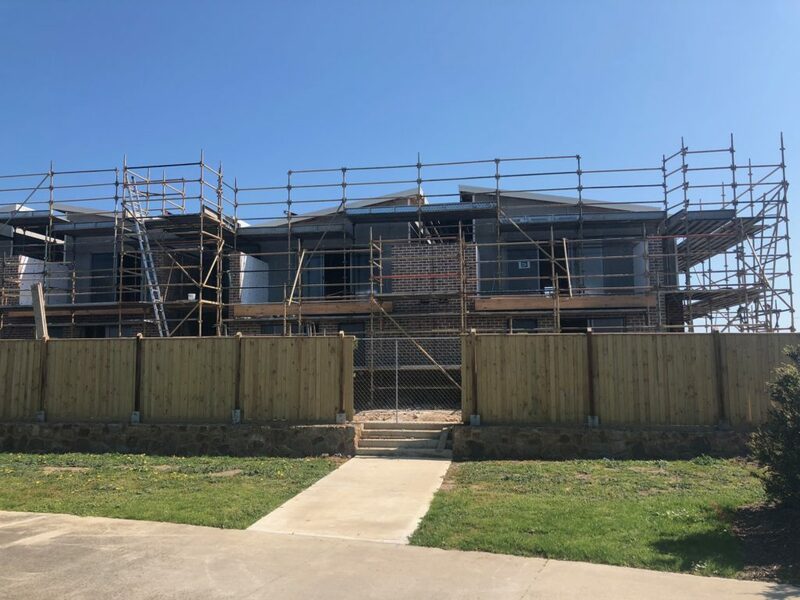 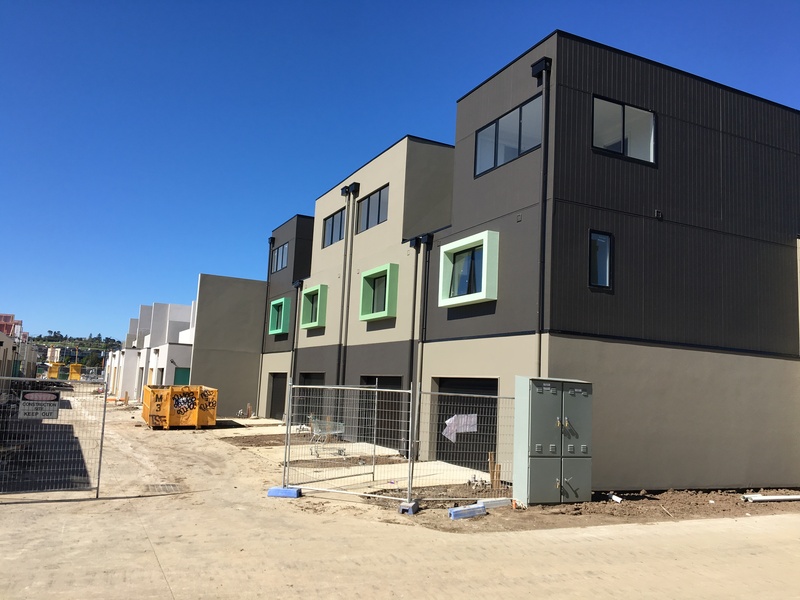 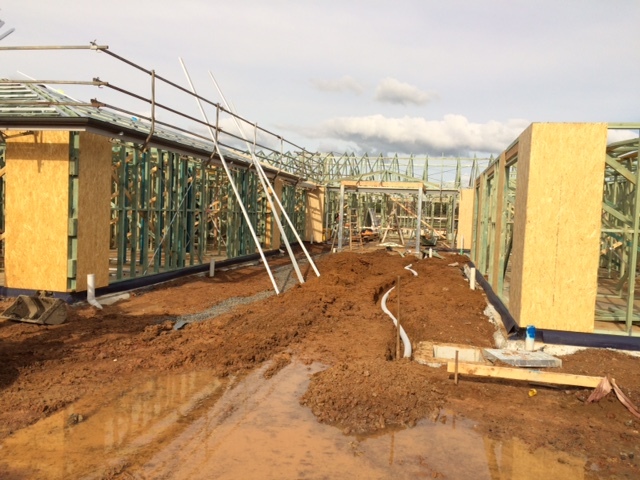 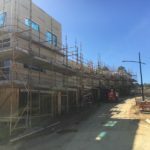 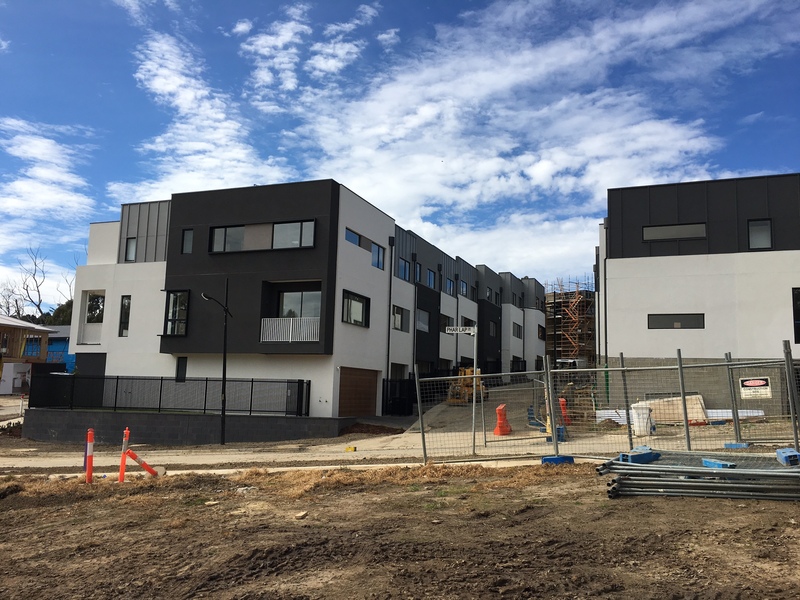 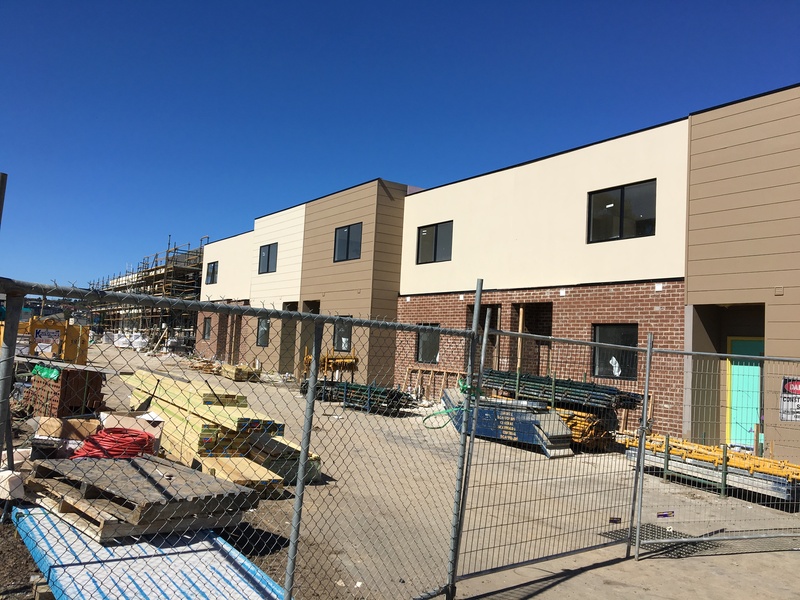 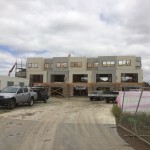 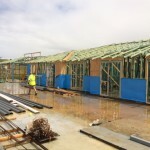 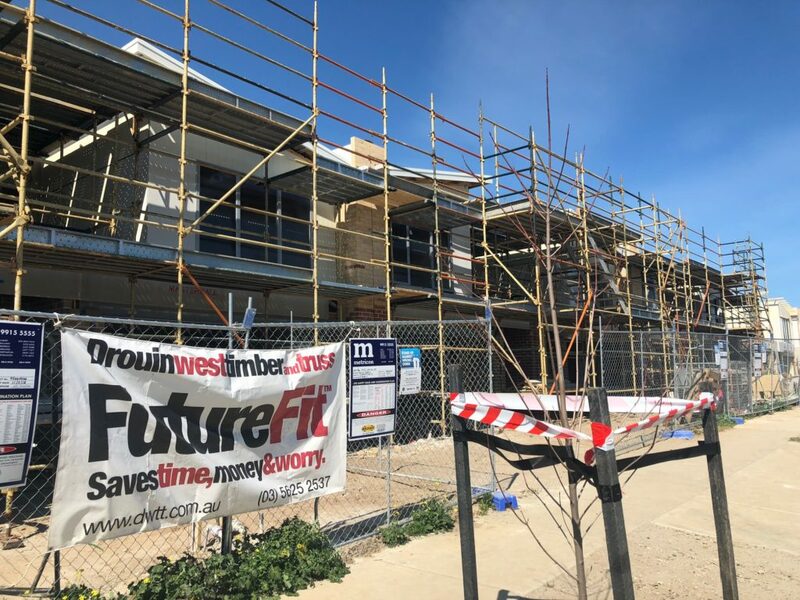 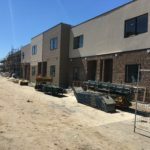 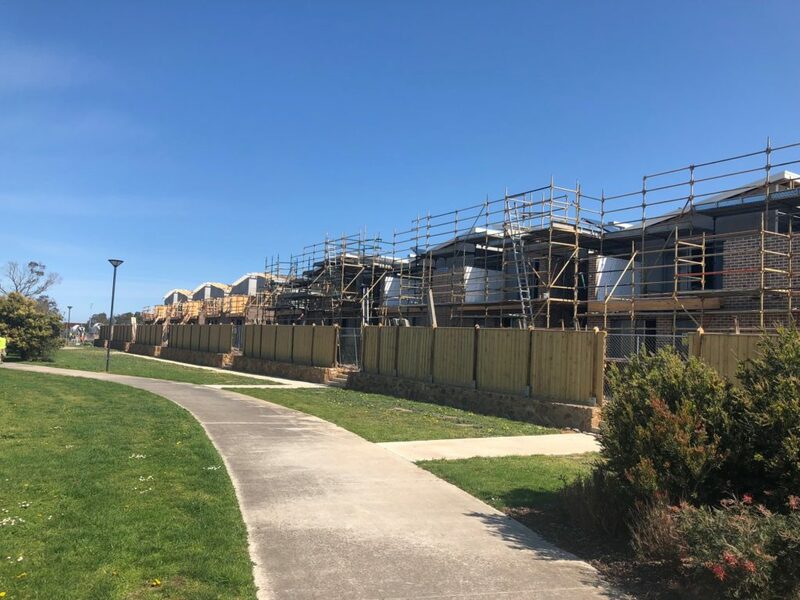 These two rows of near complete ‘Townhouses’ clearly illustrate the high quality finish able to be achieved by using FutureFit Panelised Building System. 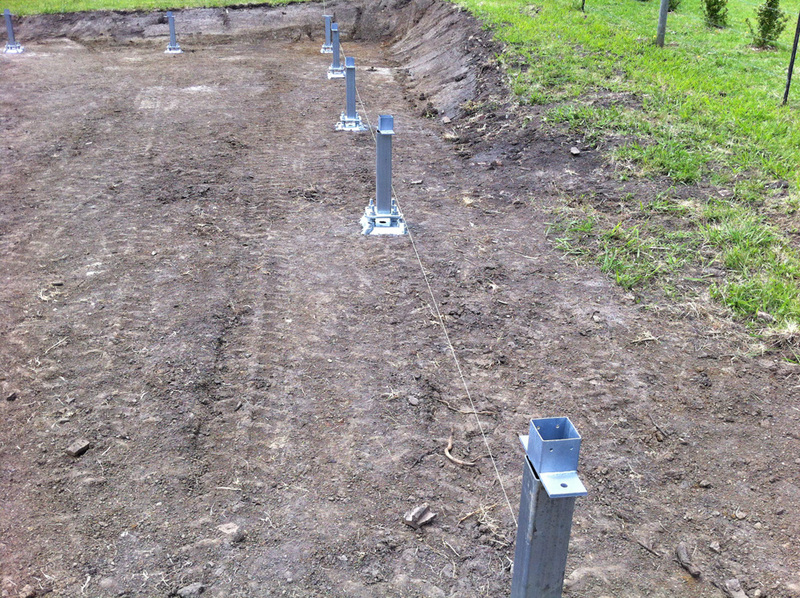 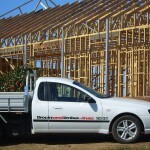 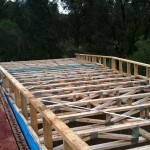 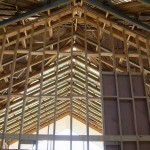 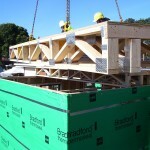 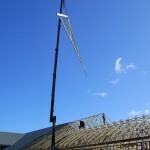 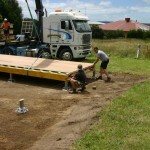 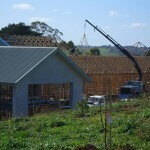 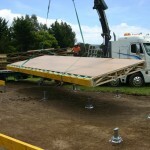 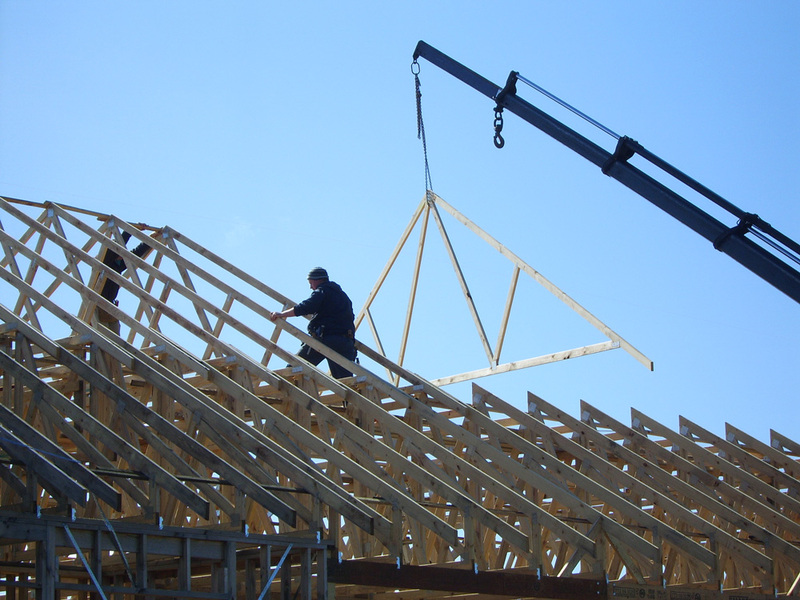 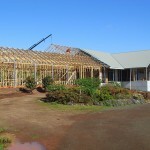 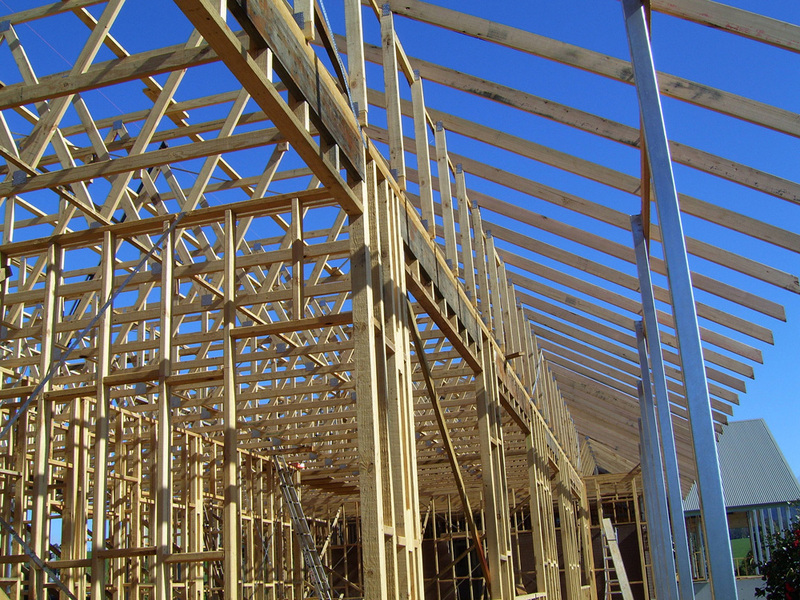 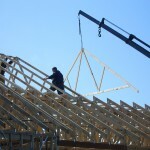 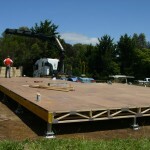 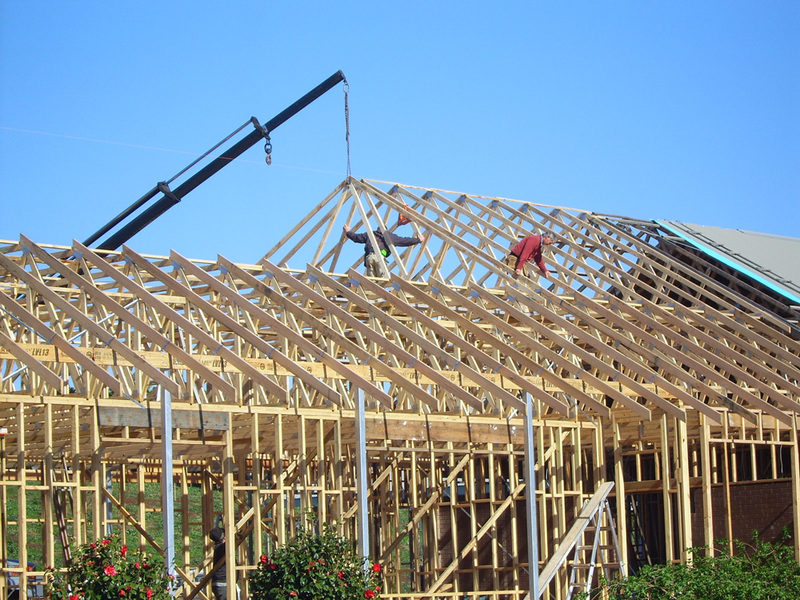 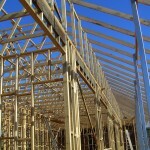 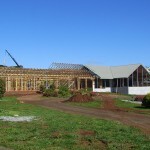 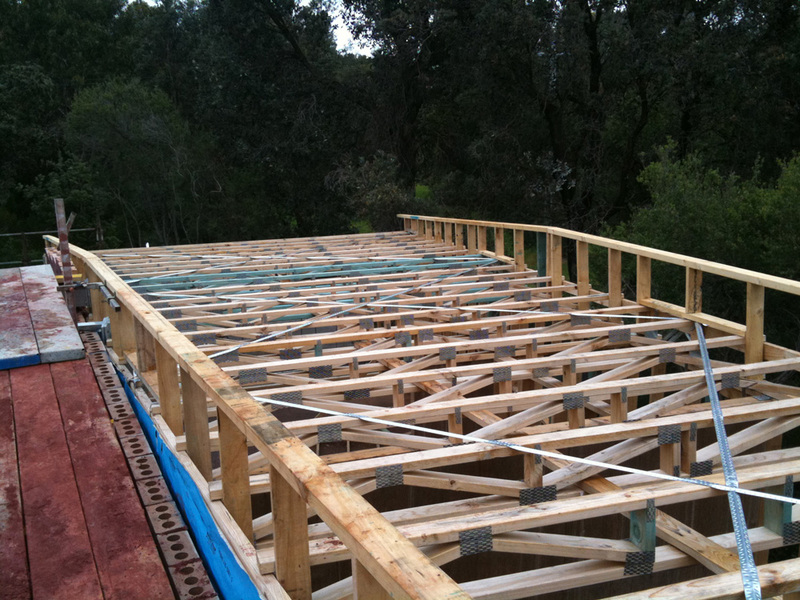 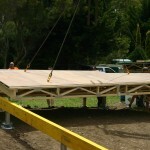 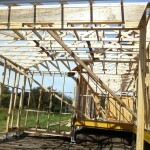 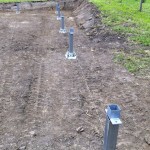 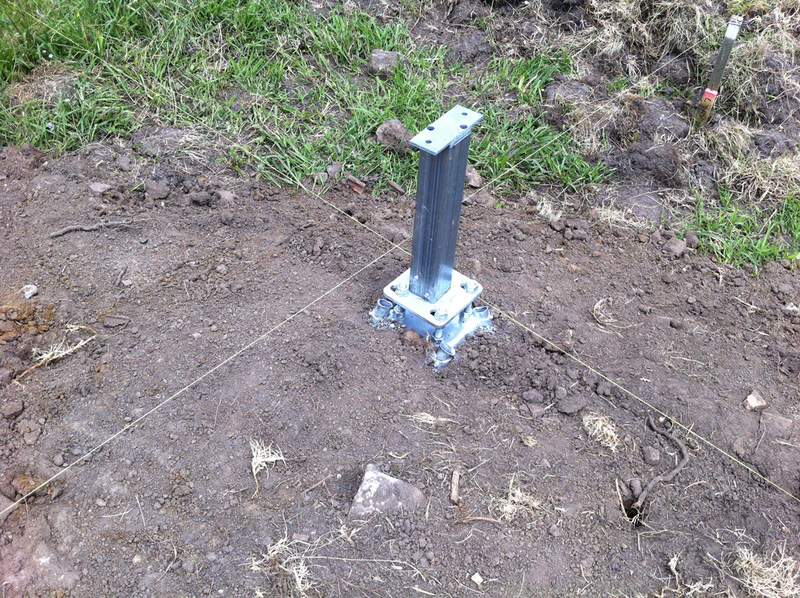 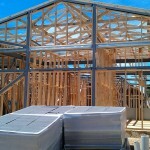 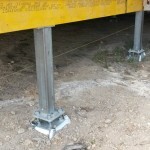 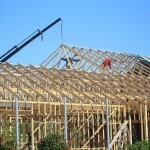 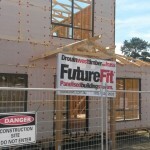 Quality and speed of construct are cornerstones of the DWTT – FutureFit system. 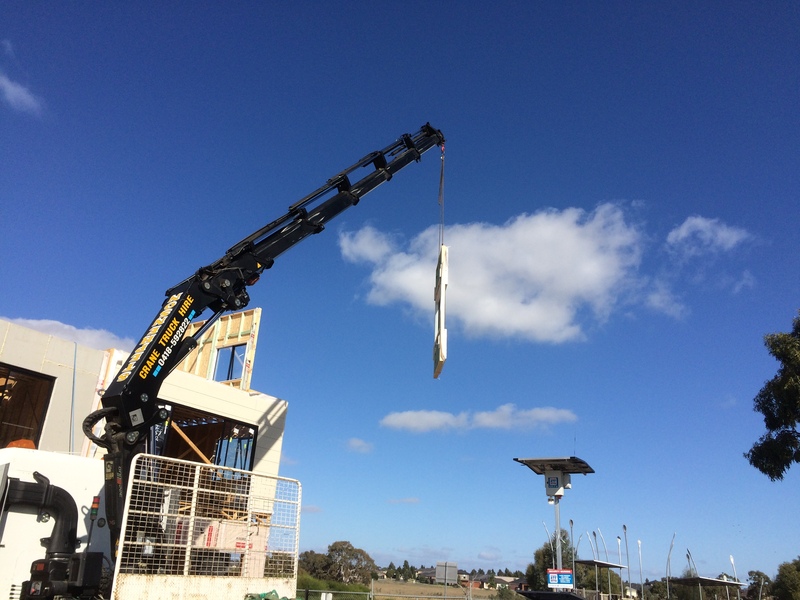 Installation commenced on the 1st of February 2016. 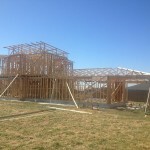 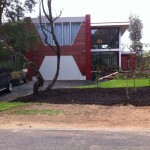 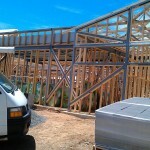 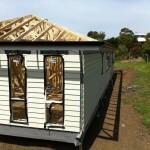 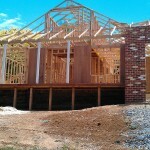 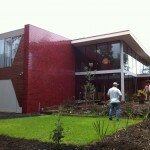 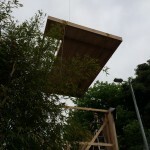 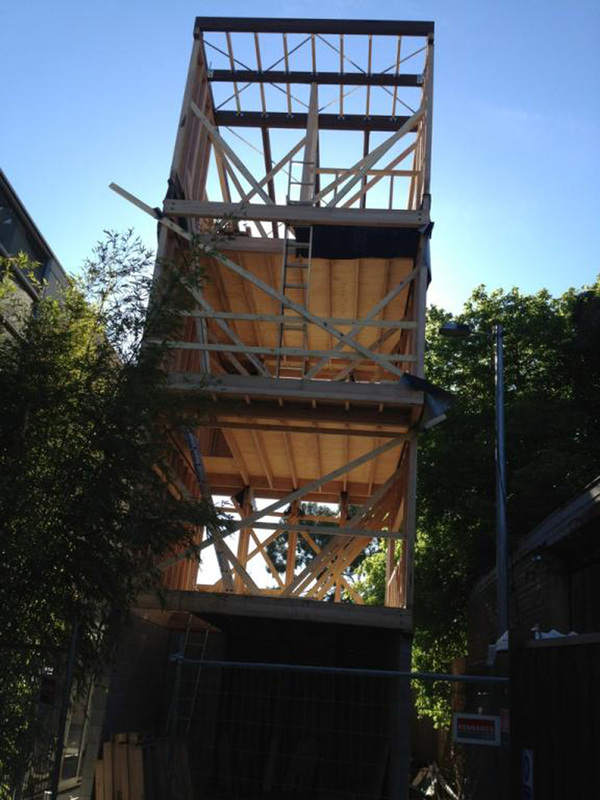 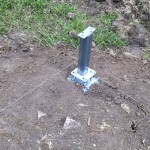 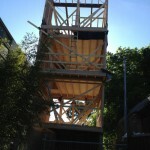 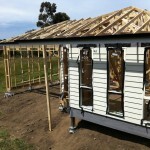 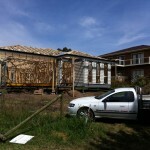 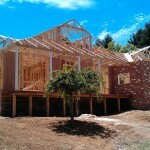 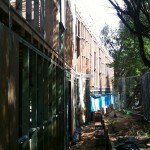 More photos will be added as the project progresses. 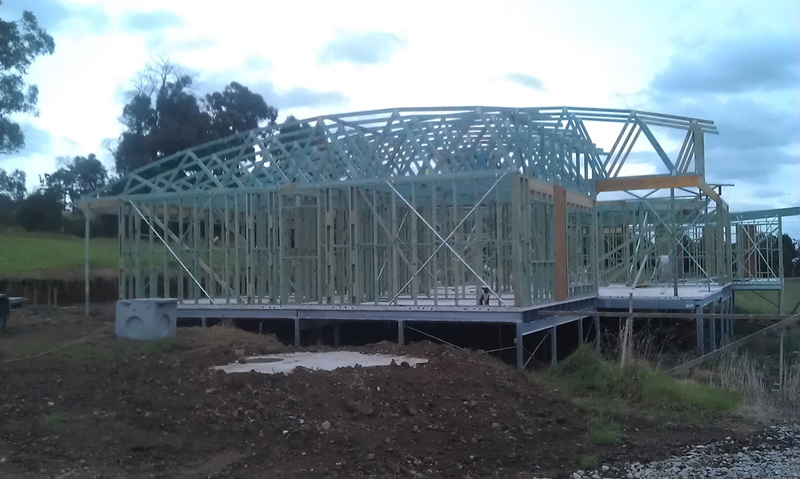 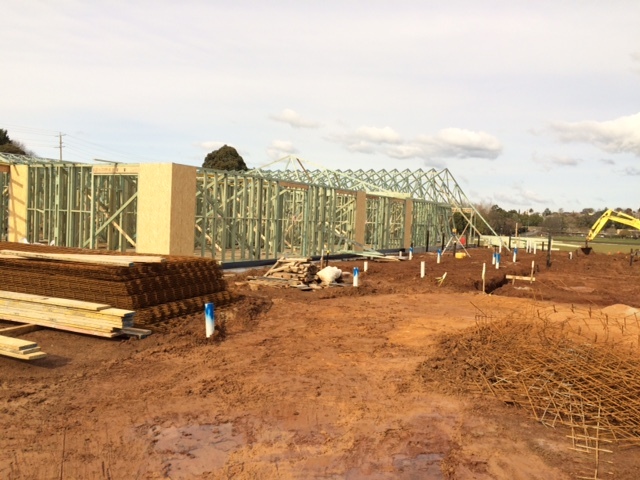 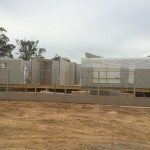 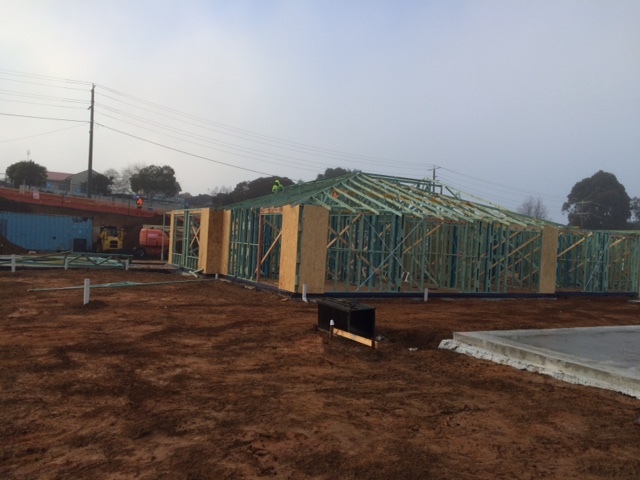 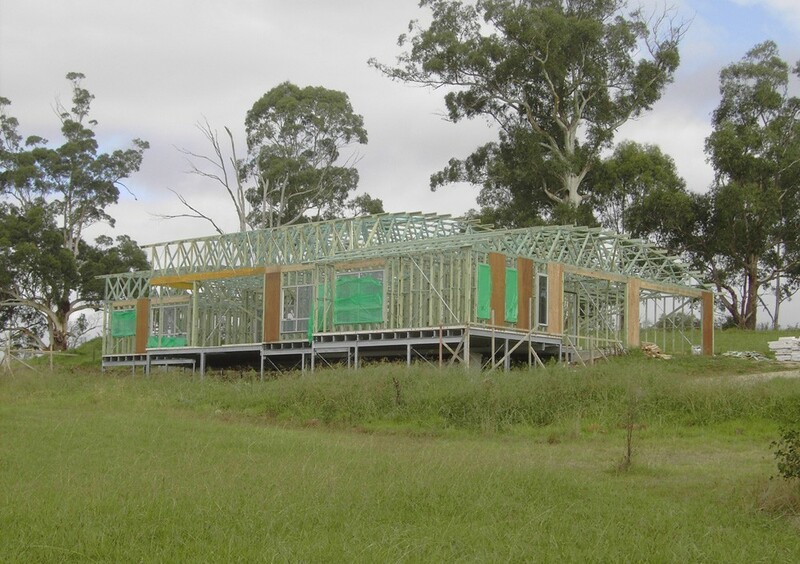 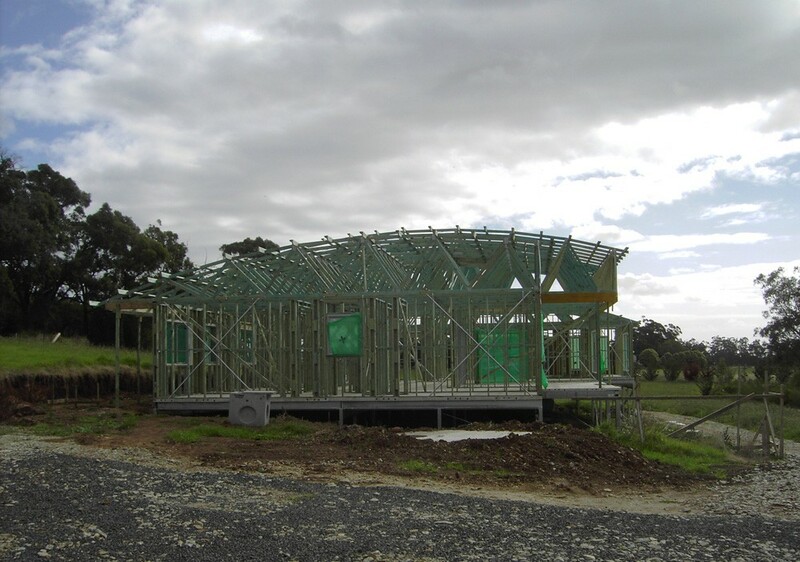 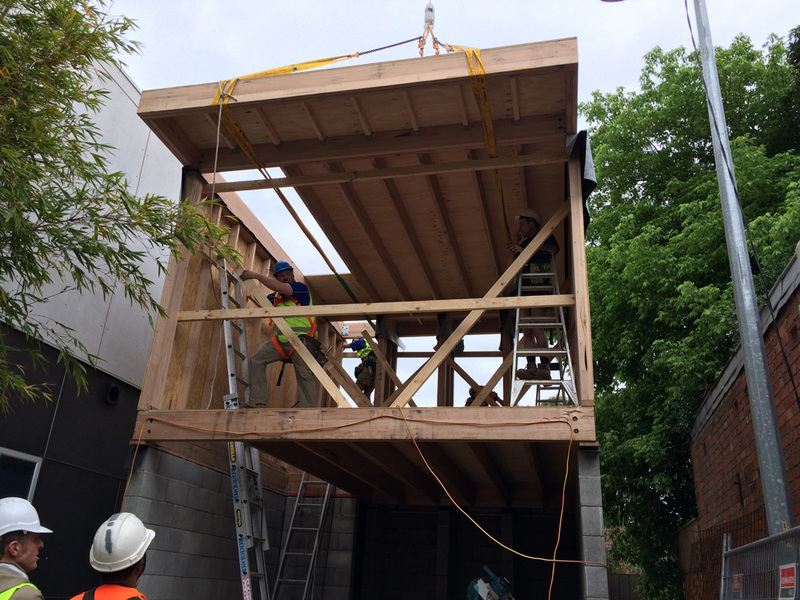 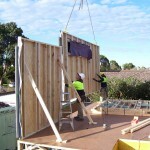 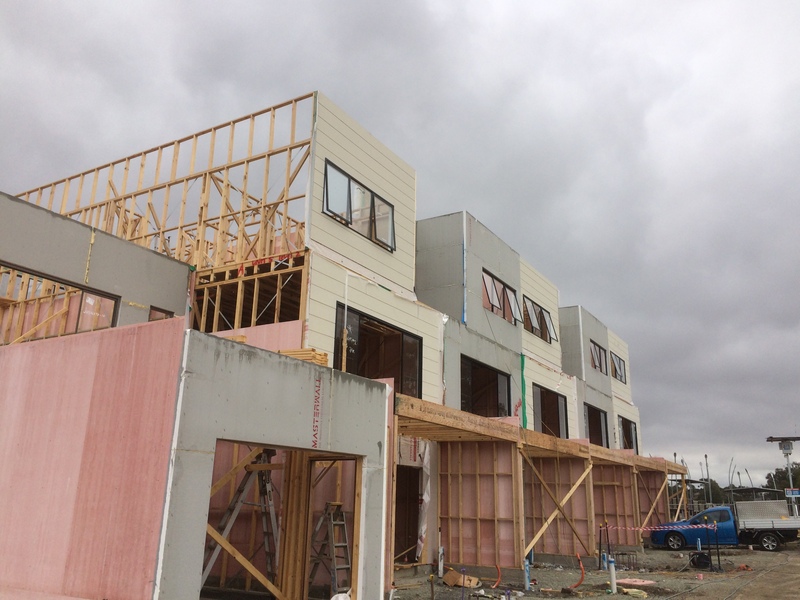 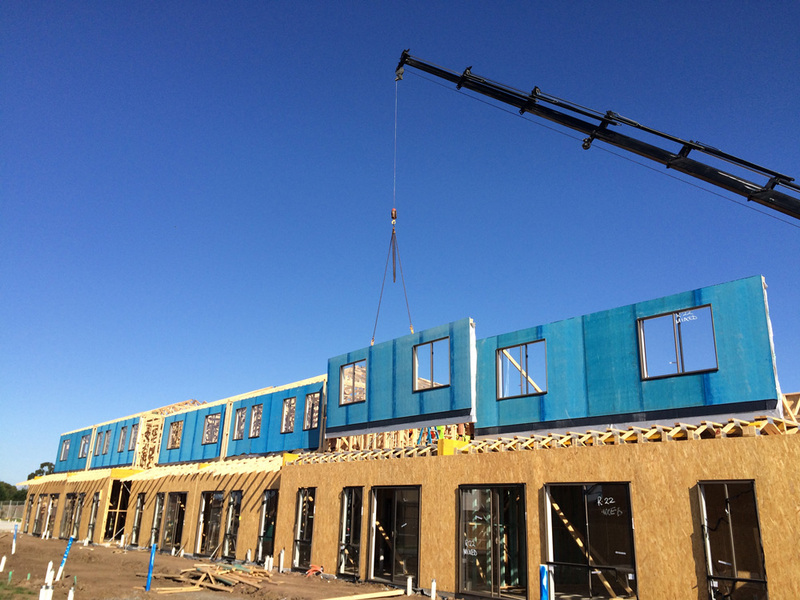 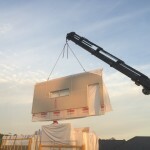 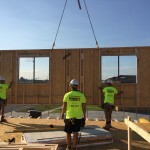 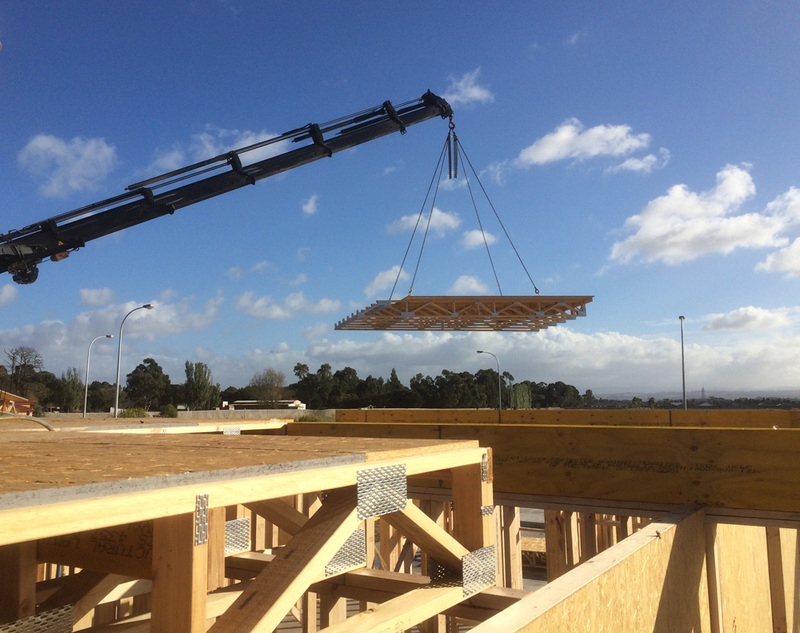 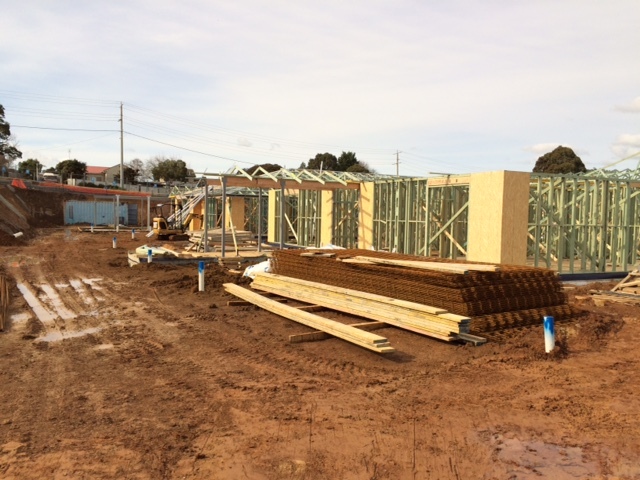 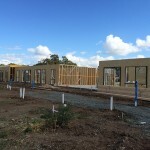 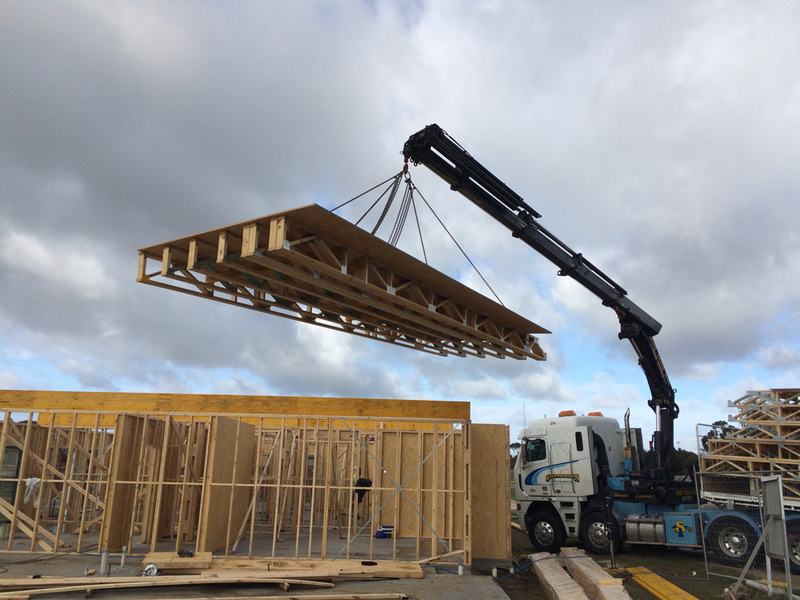 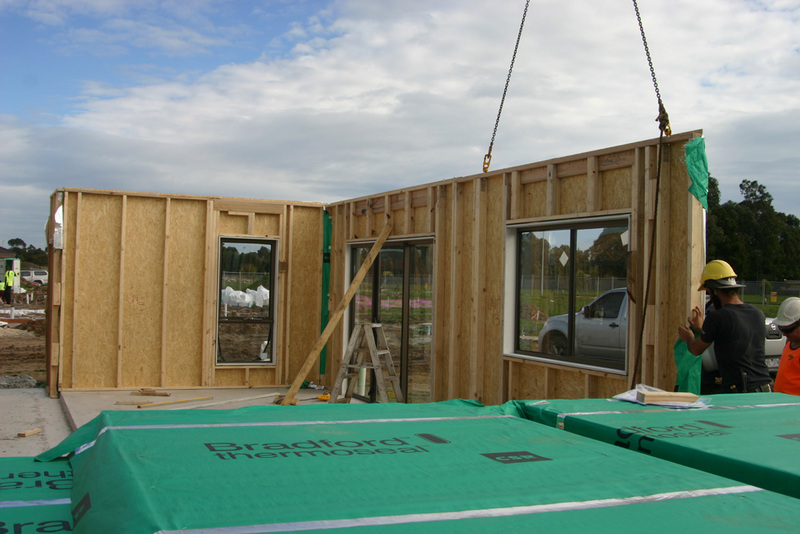 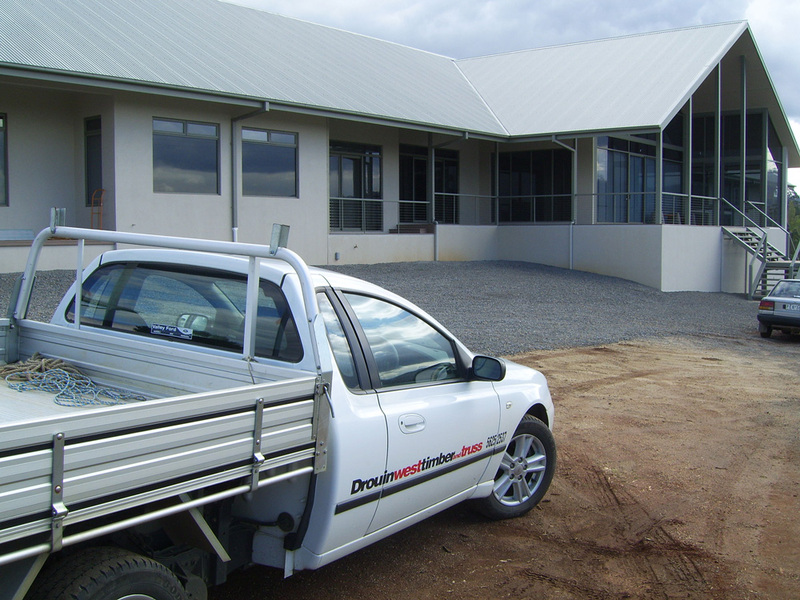 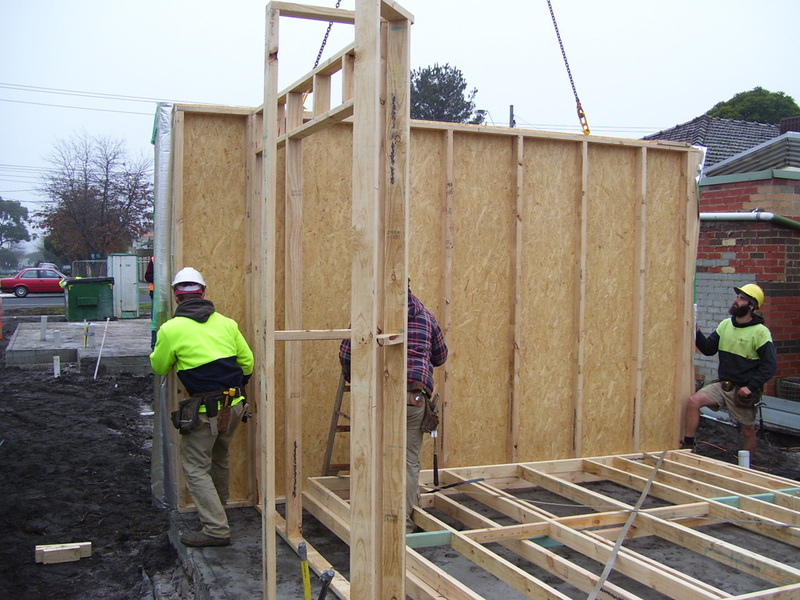 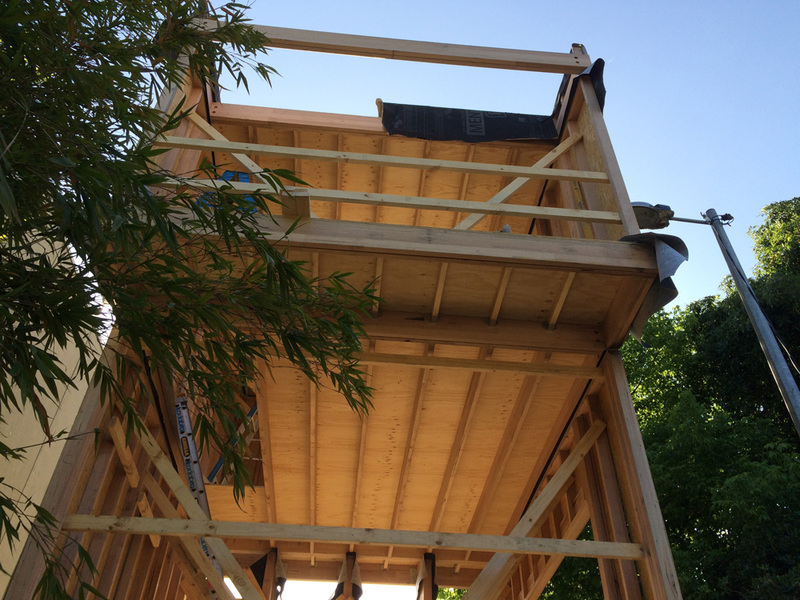 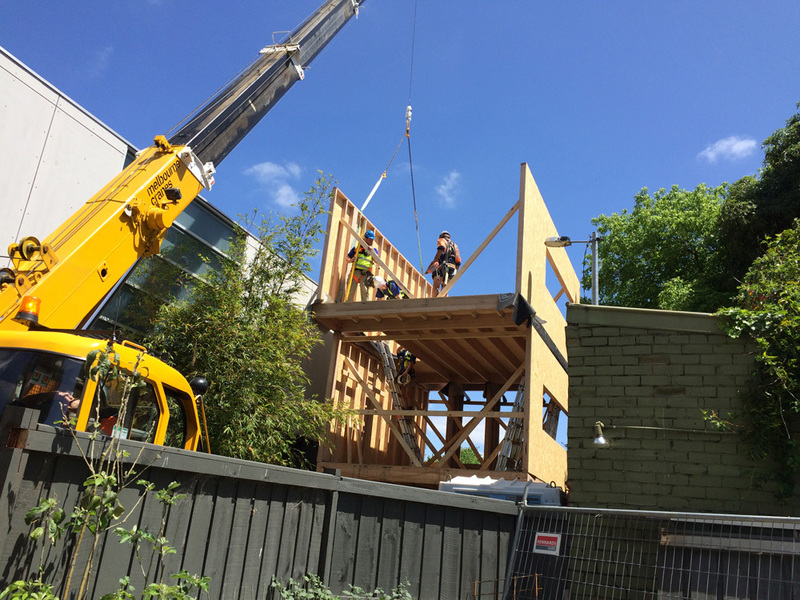 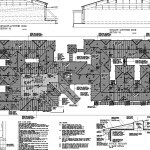 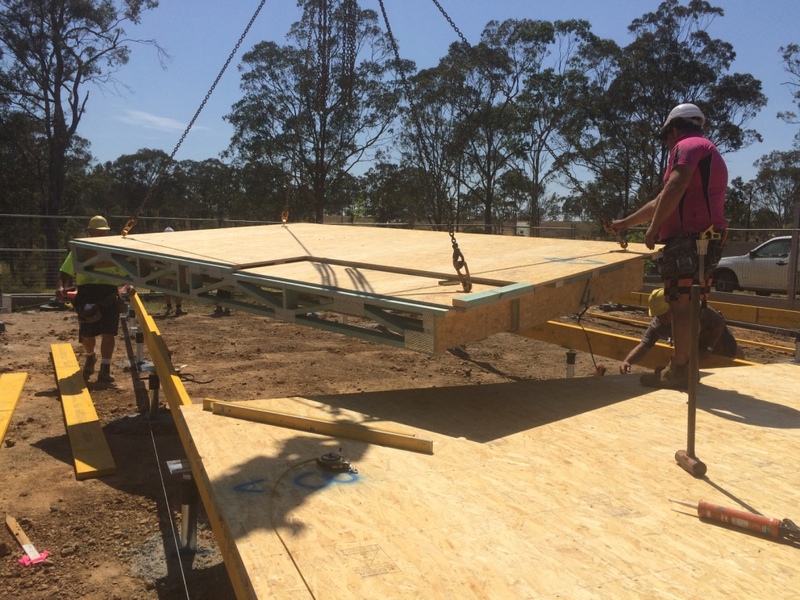 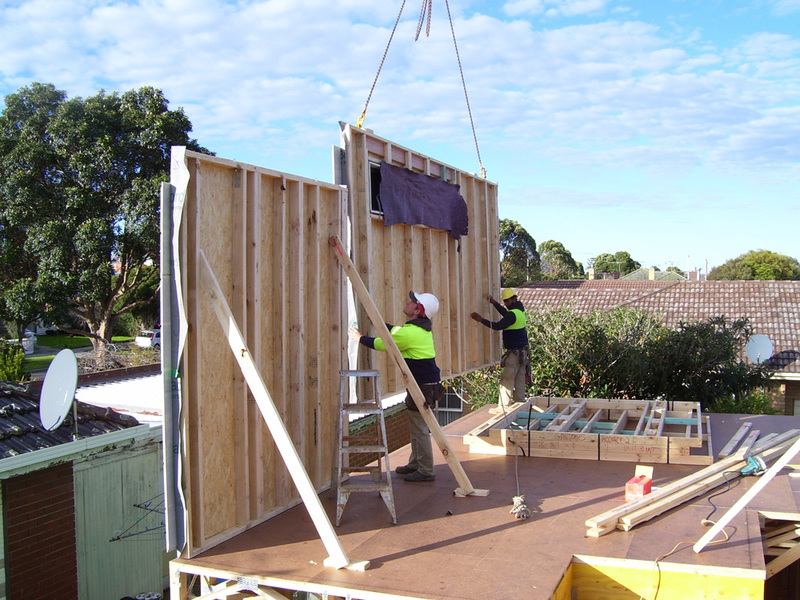 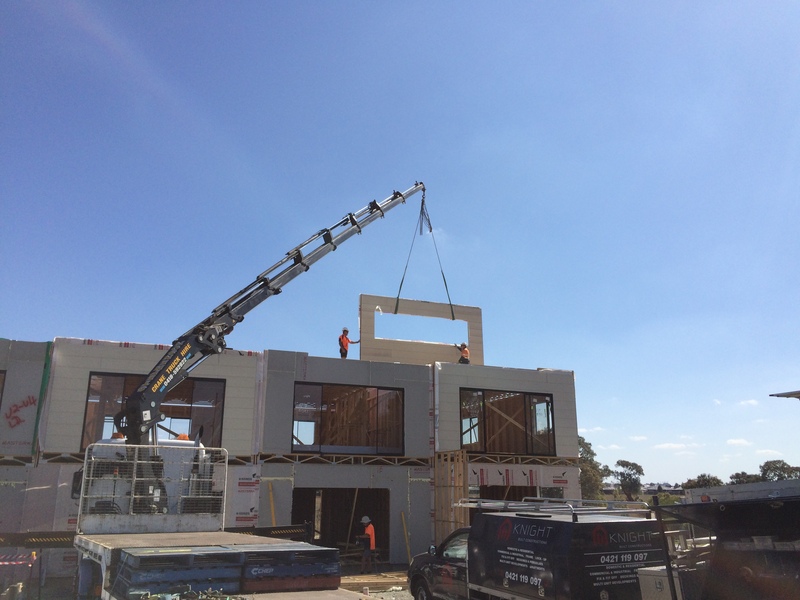 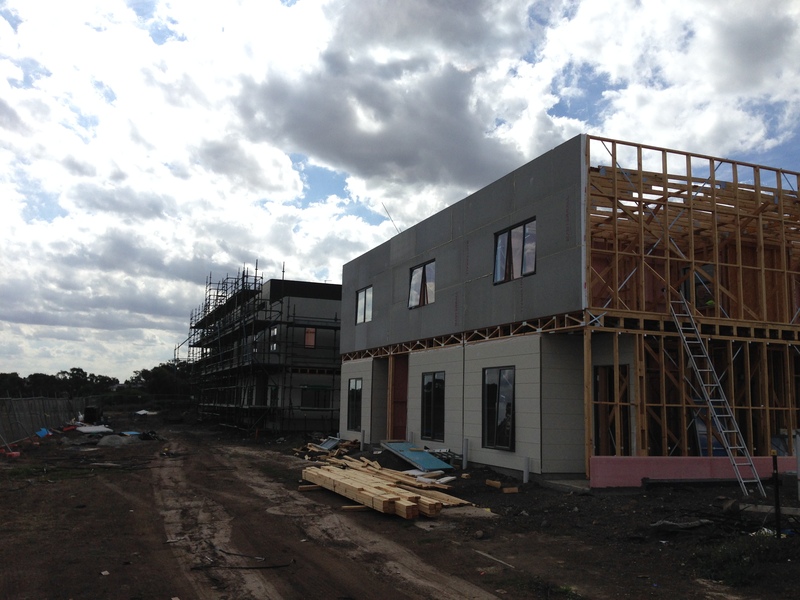 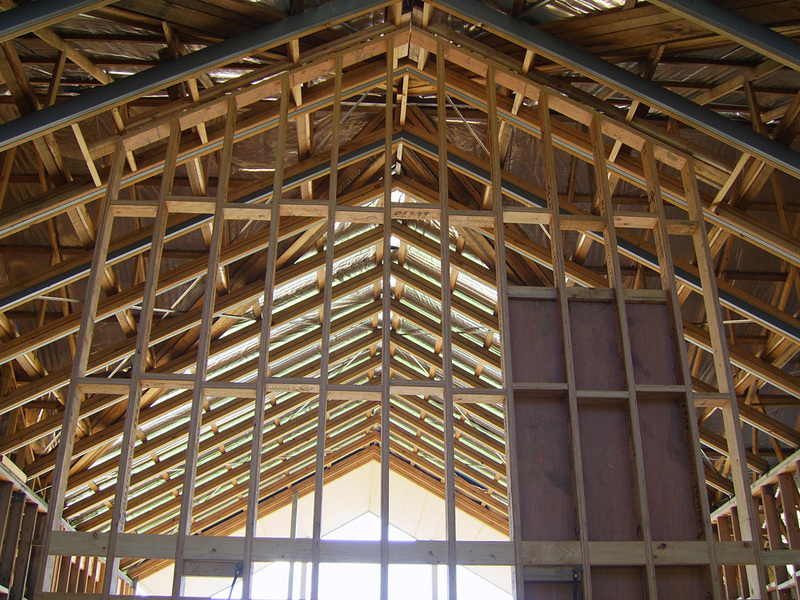 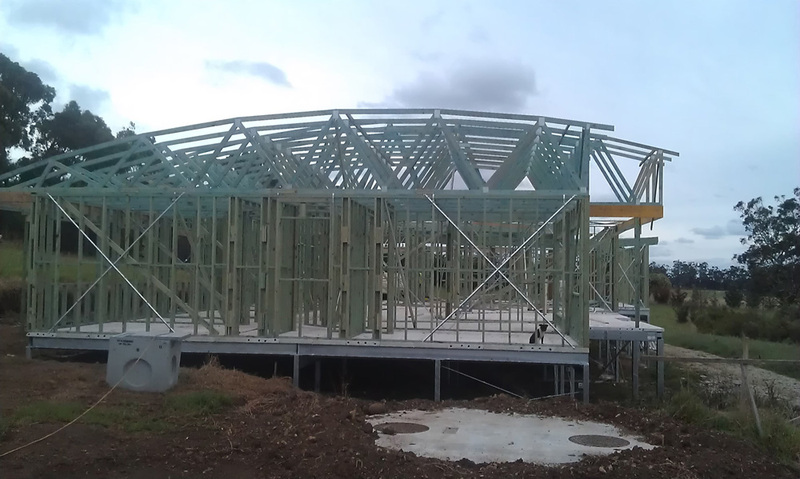 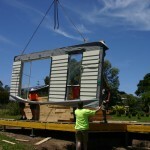 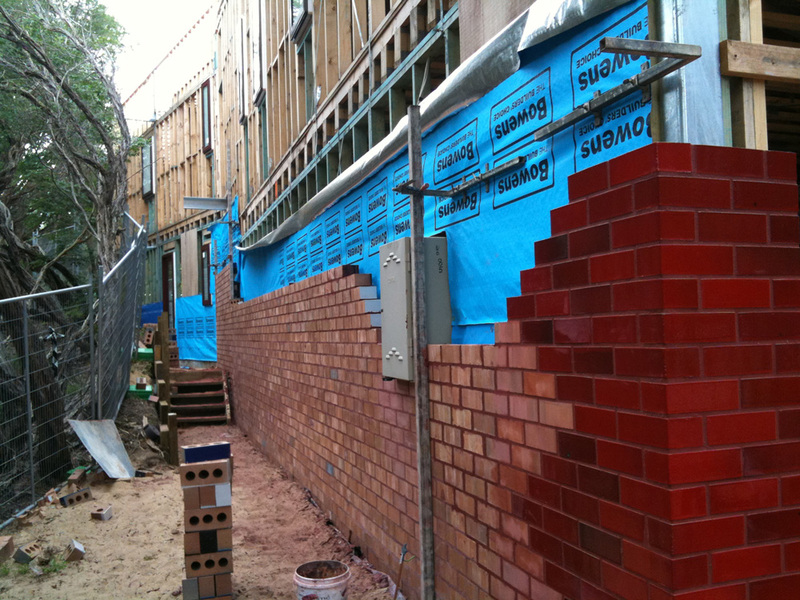 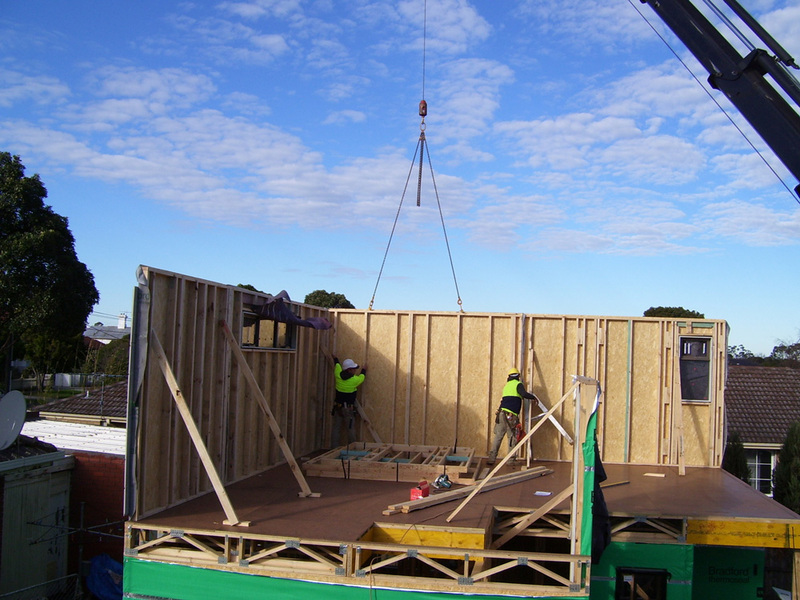 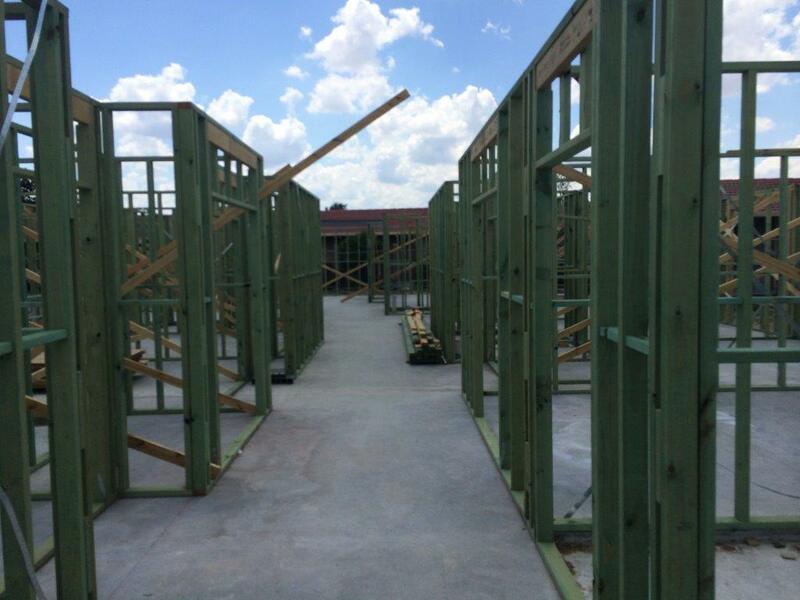 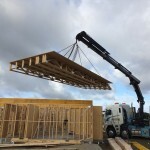 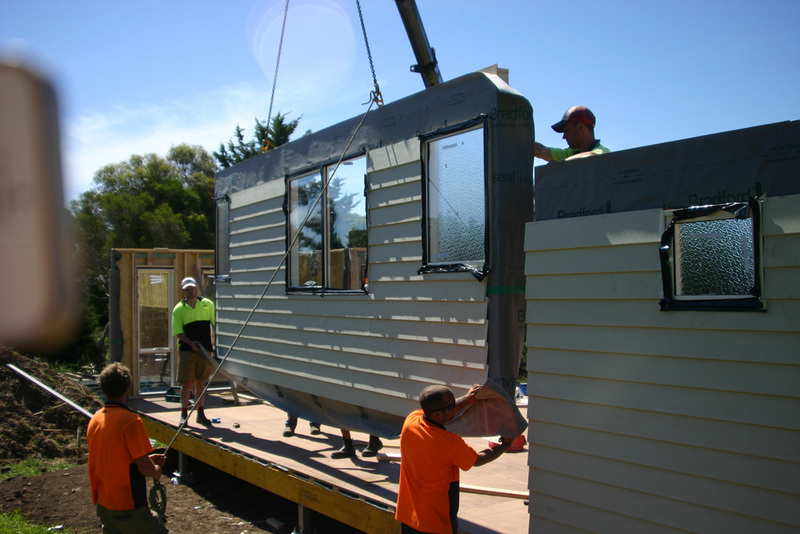 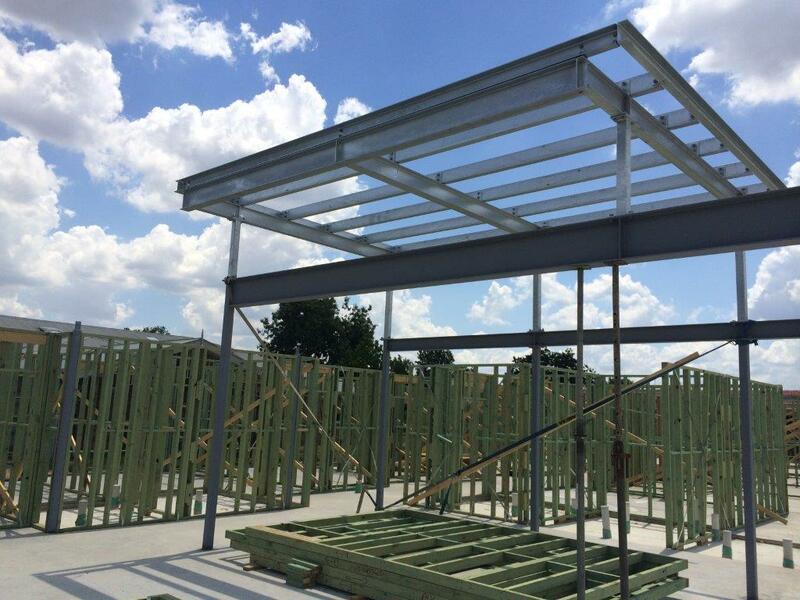 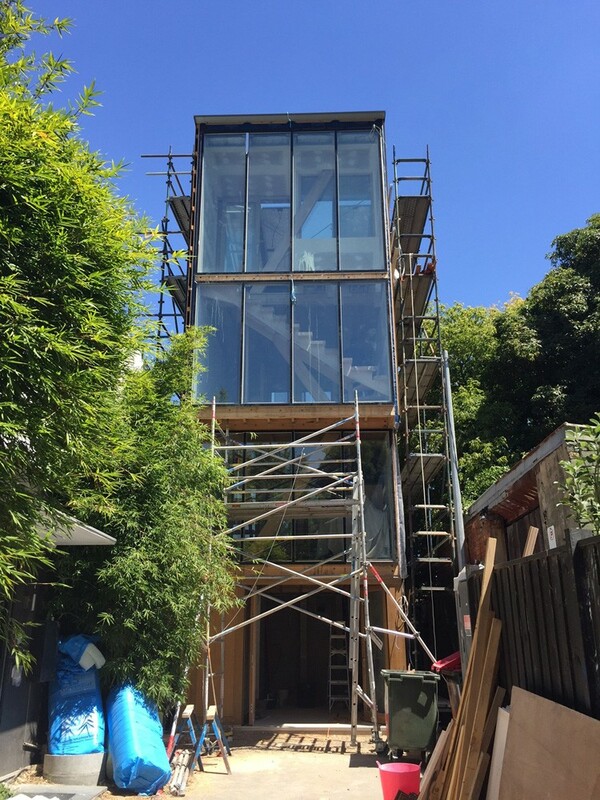 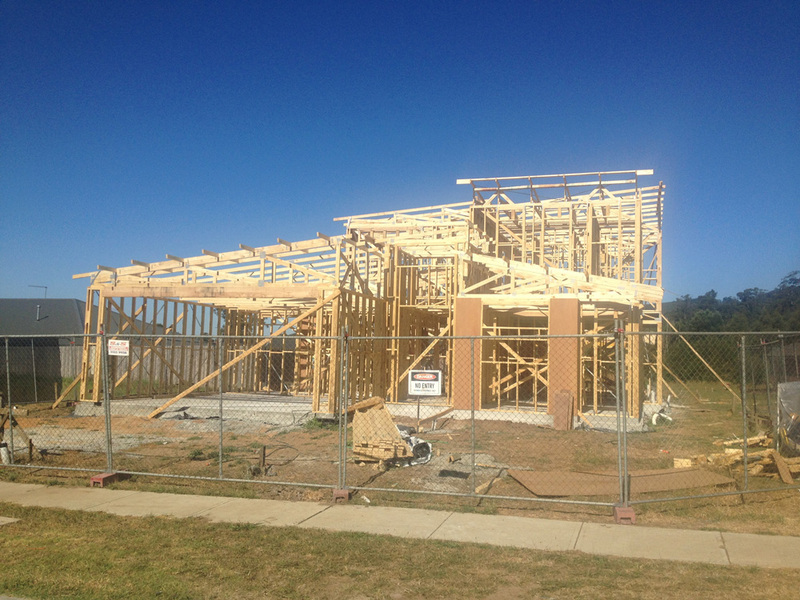 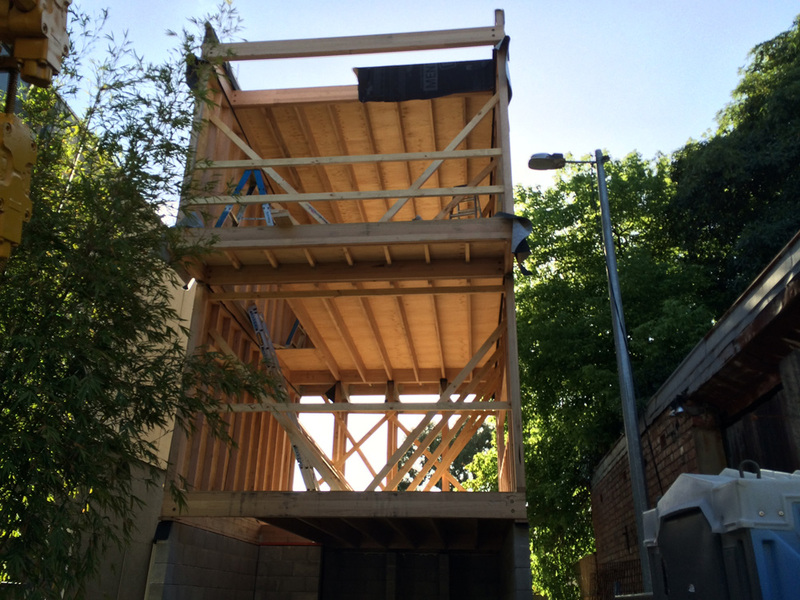 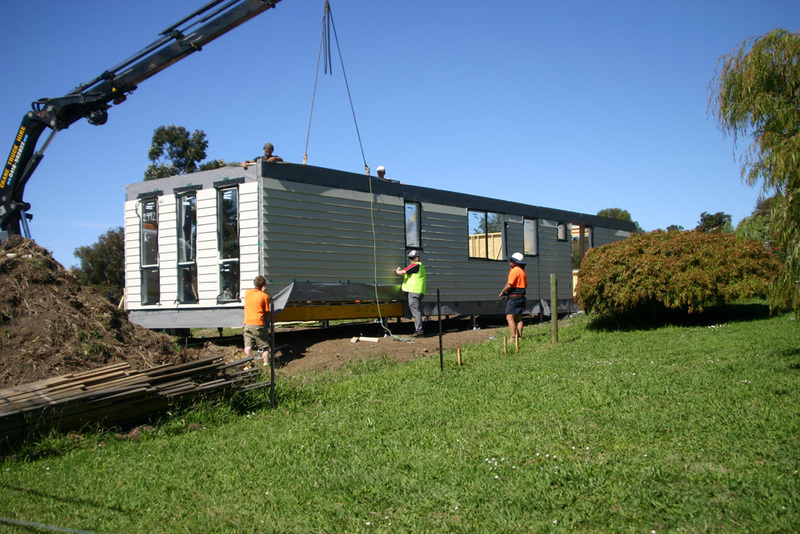 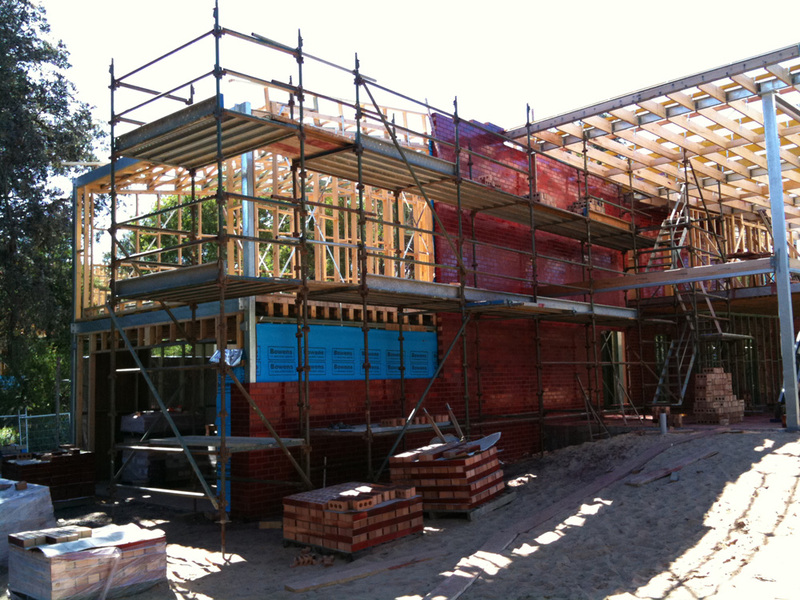 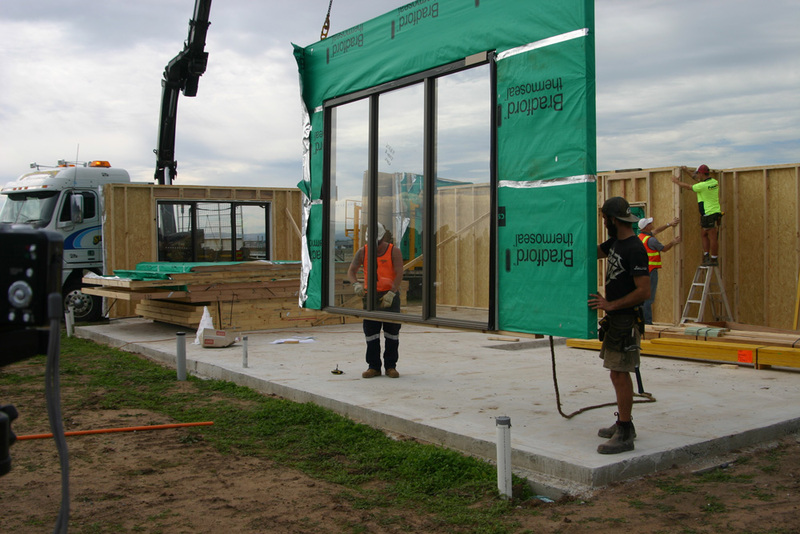 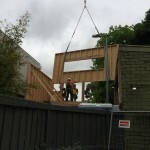 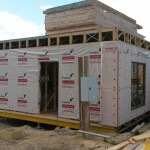 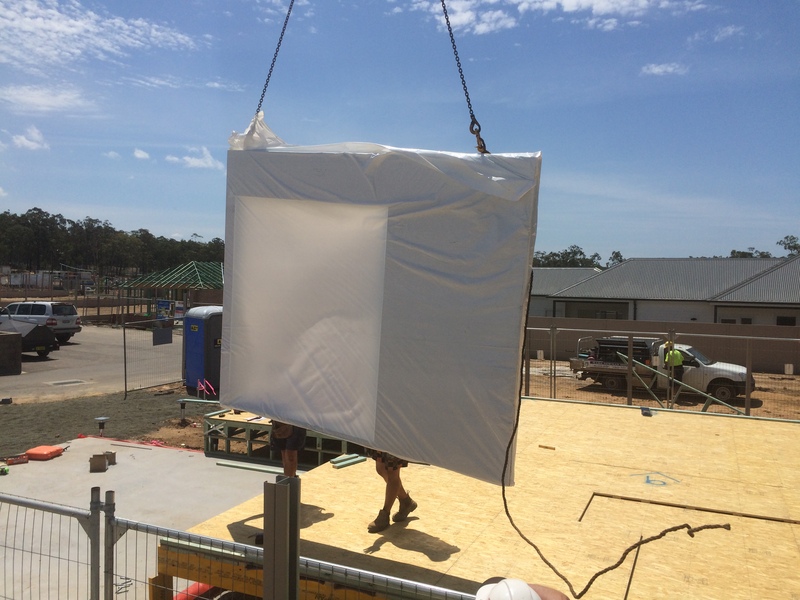 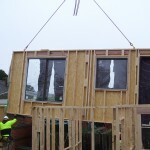 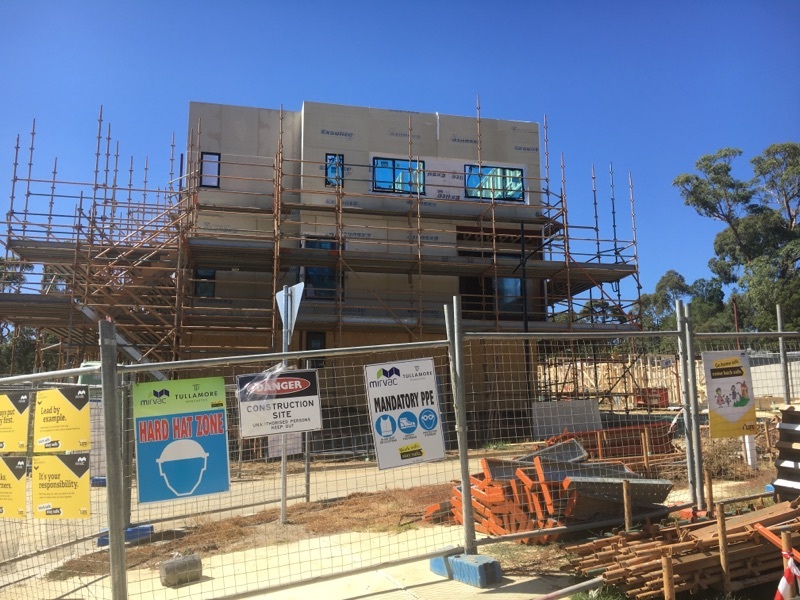 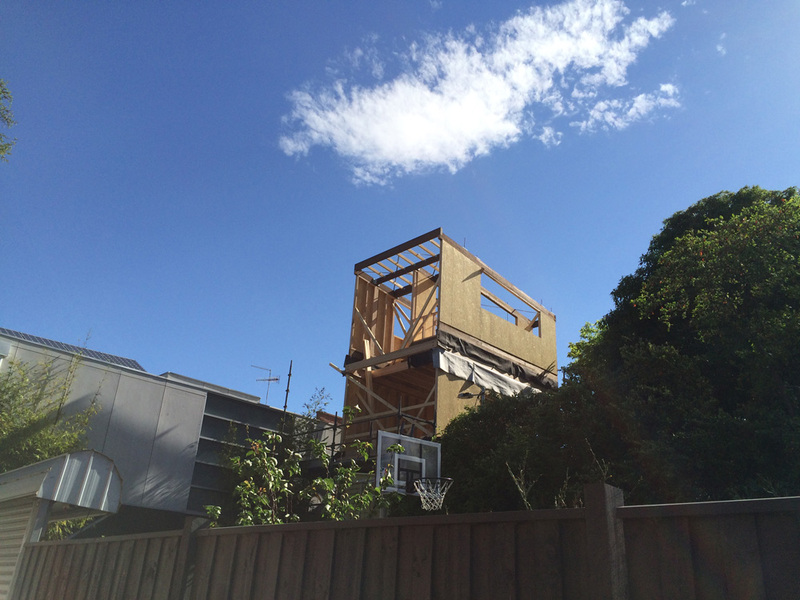 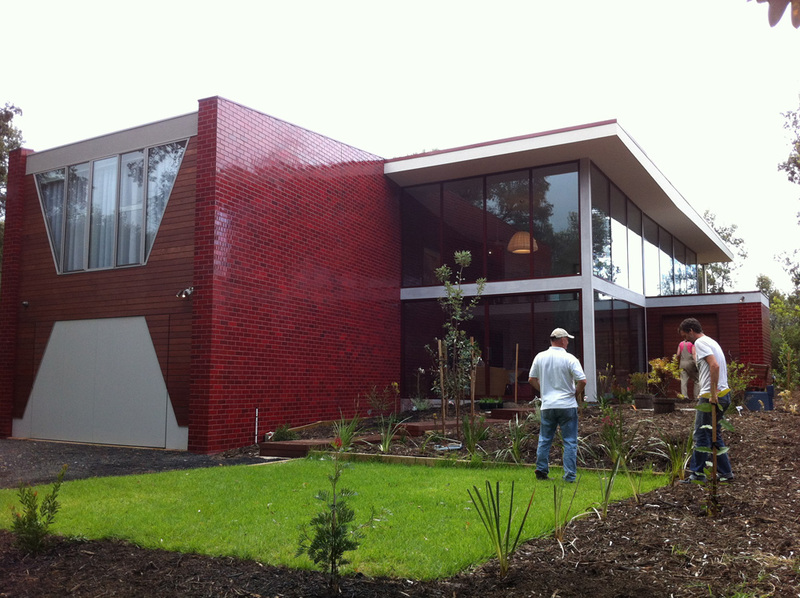 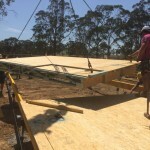 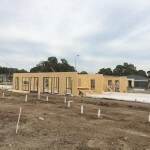 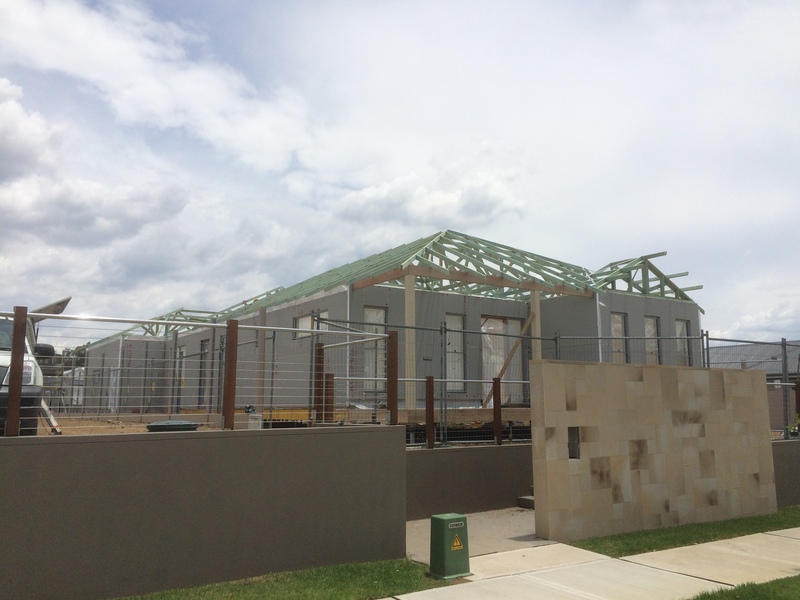 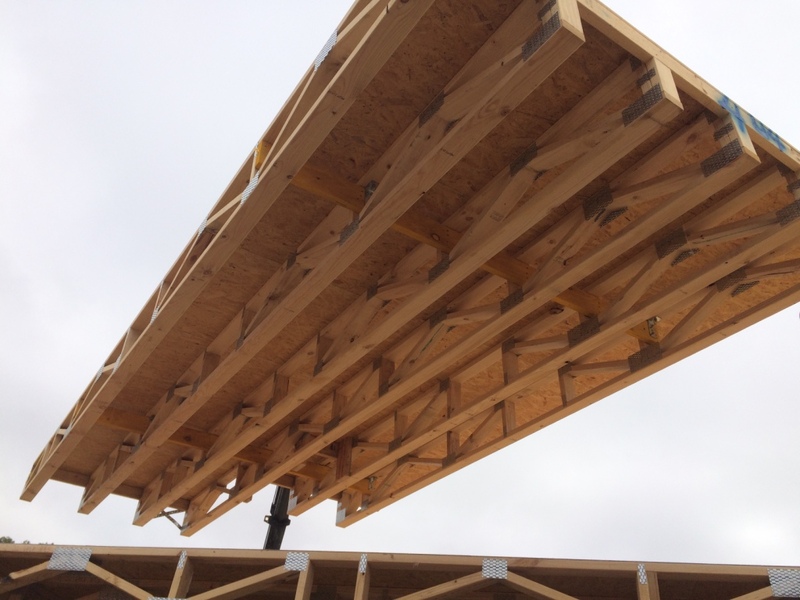 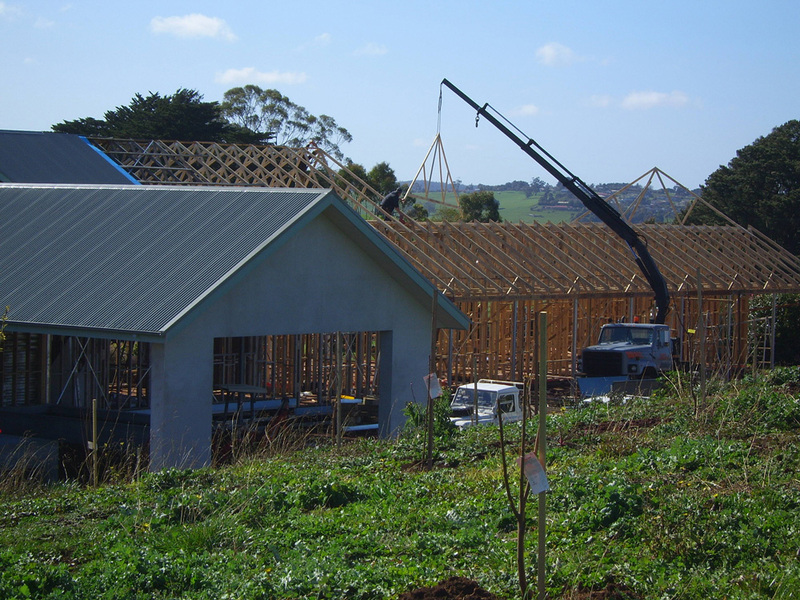 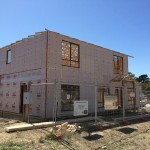 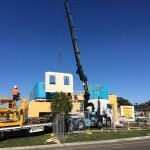 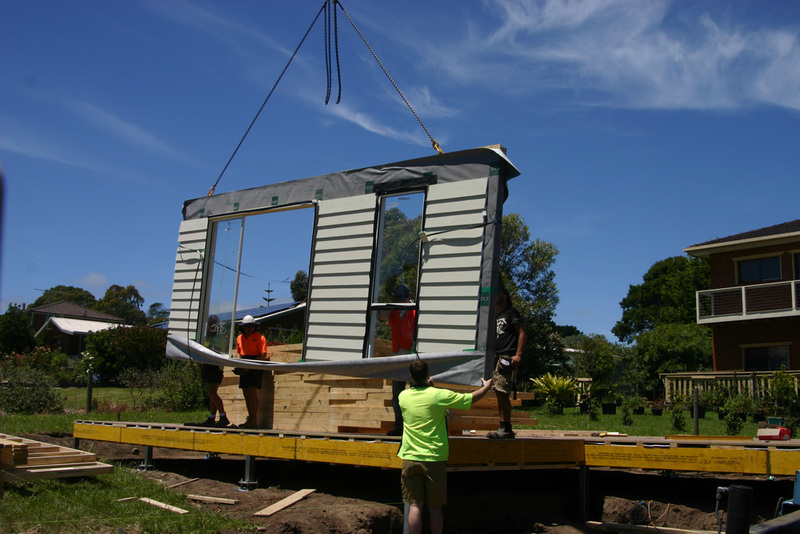 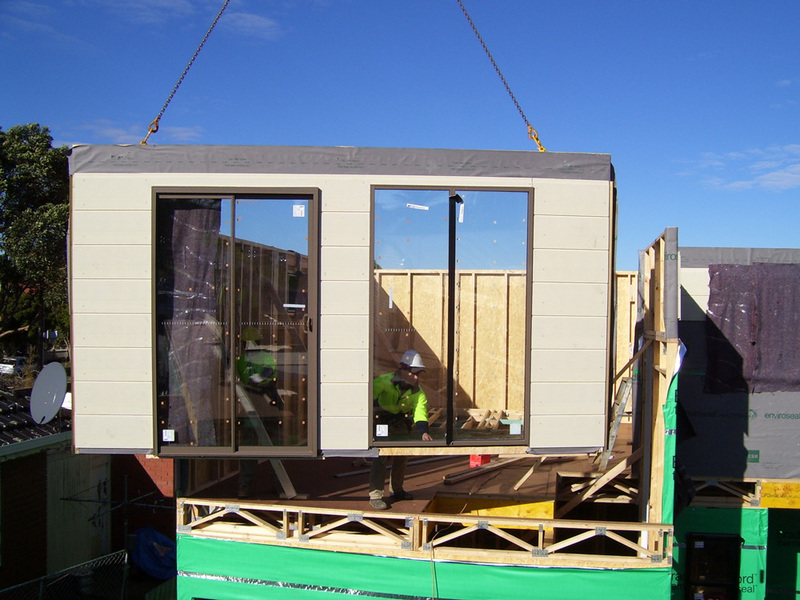 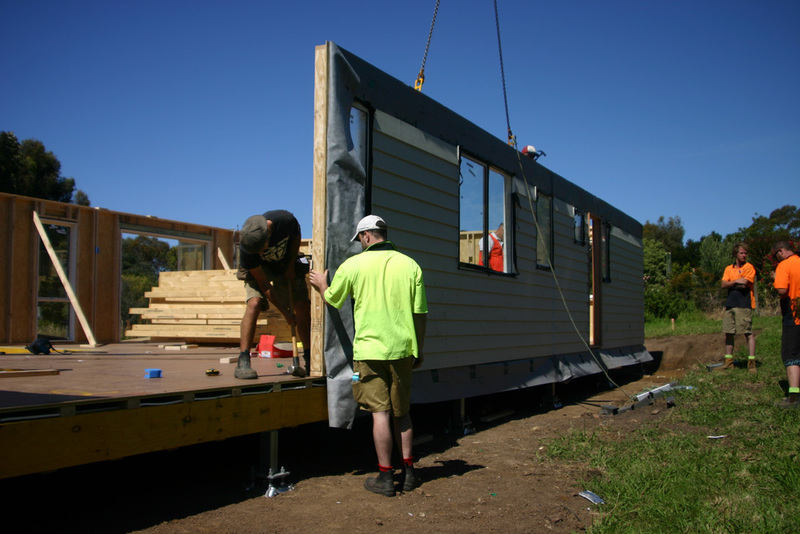 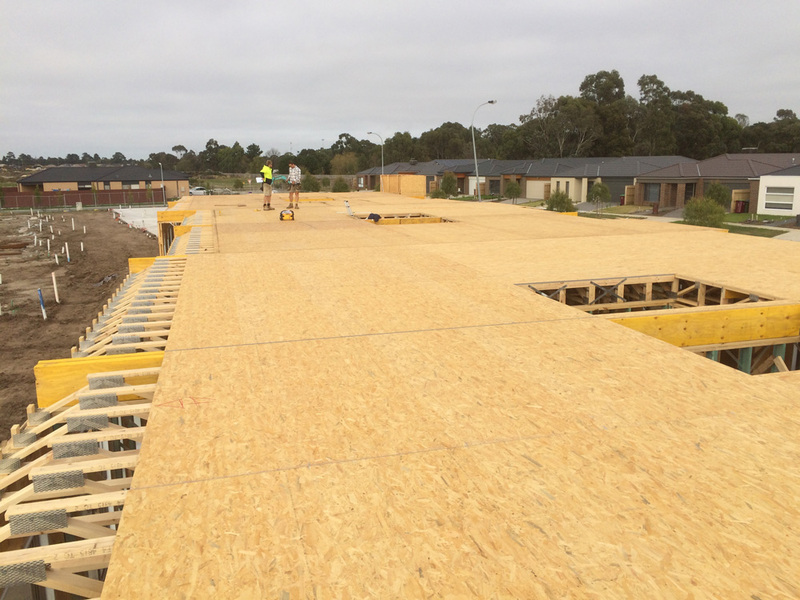 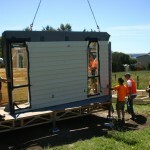 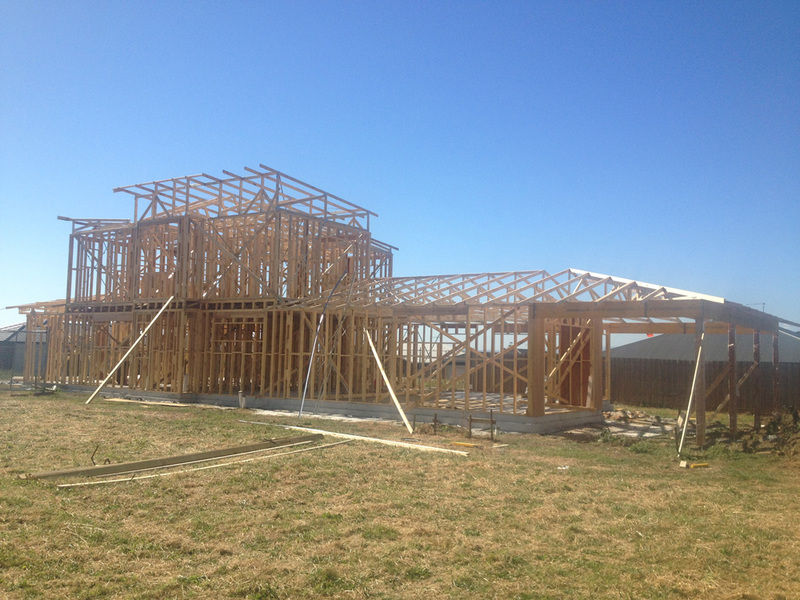 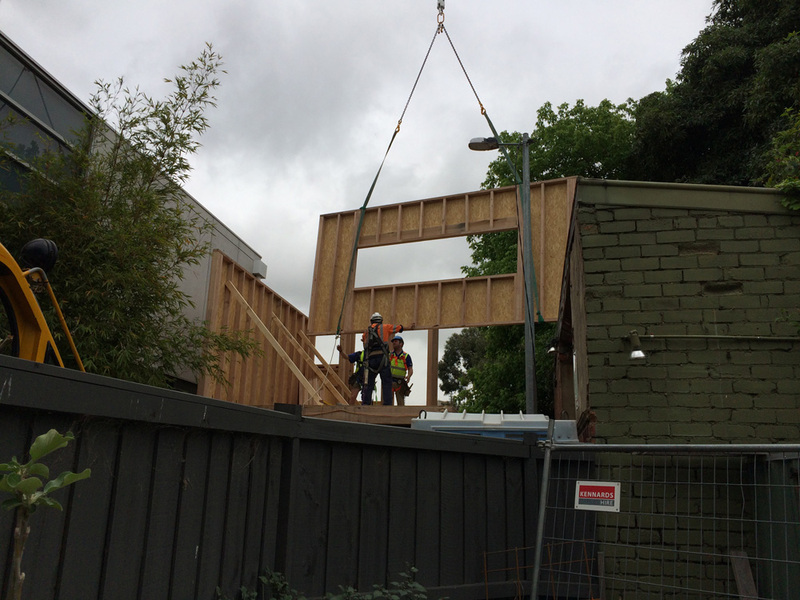 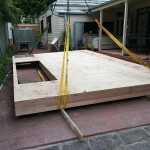 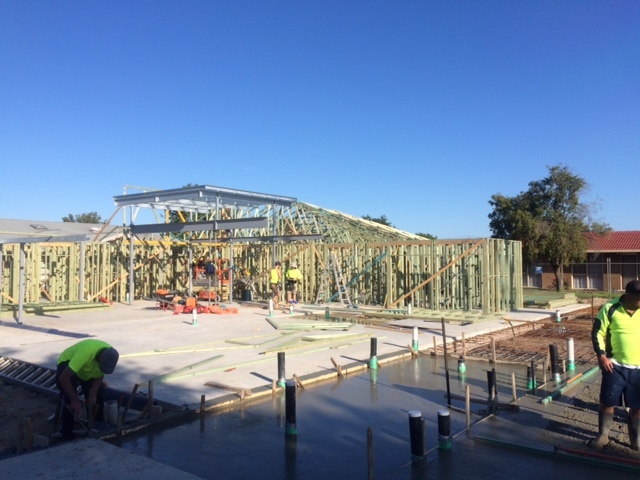 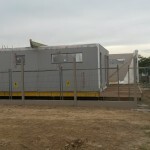 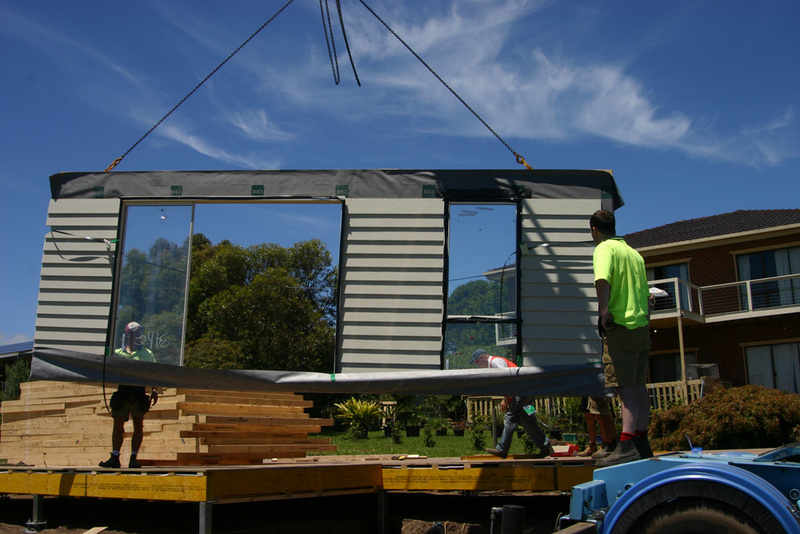 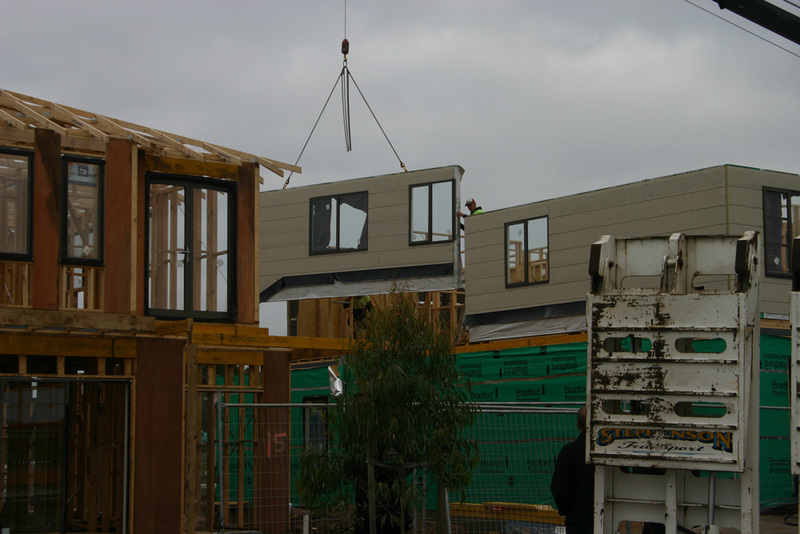 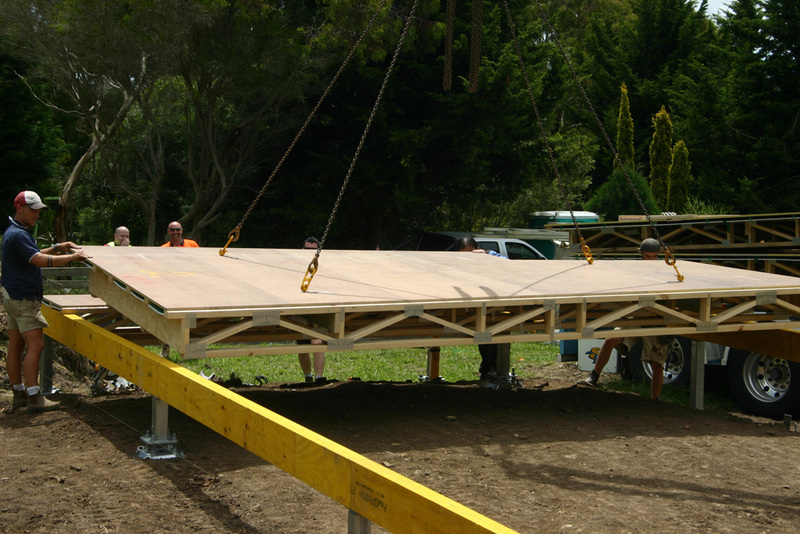 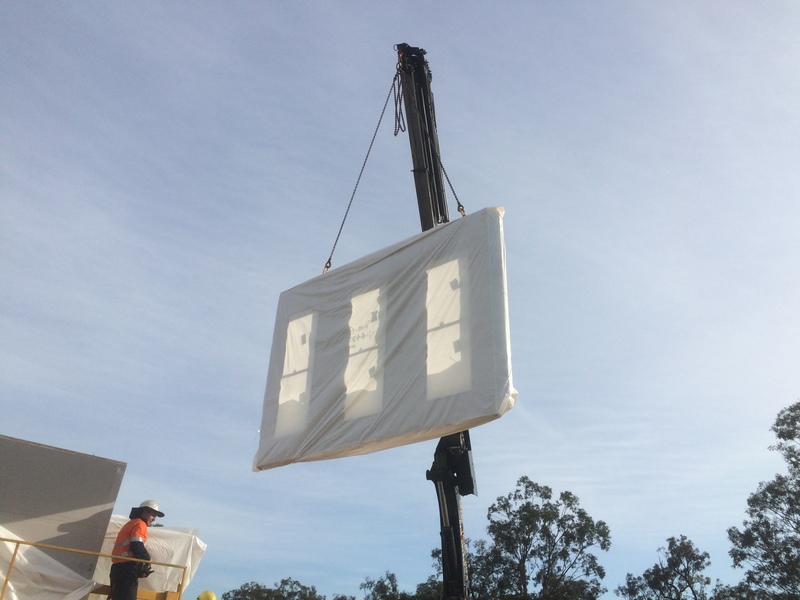 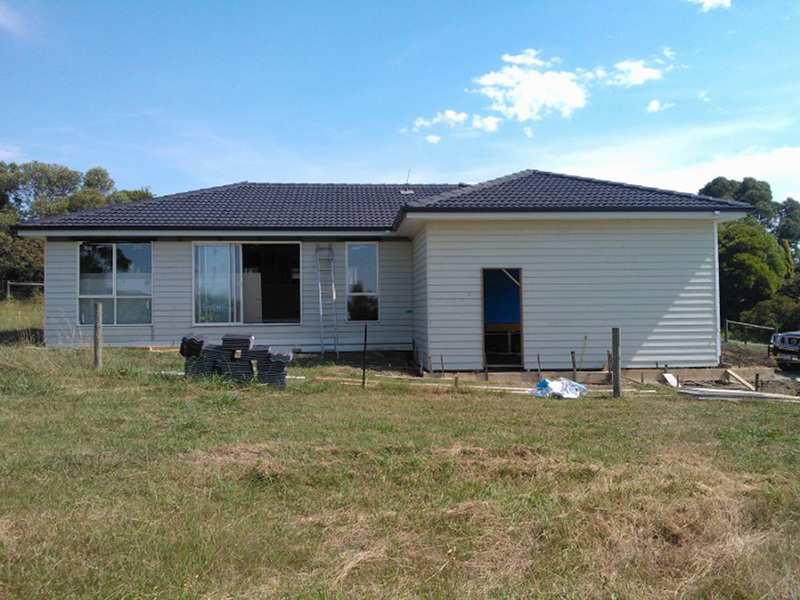 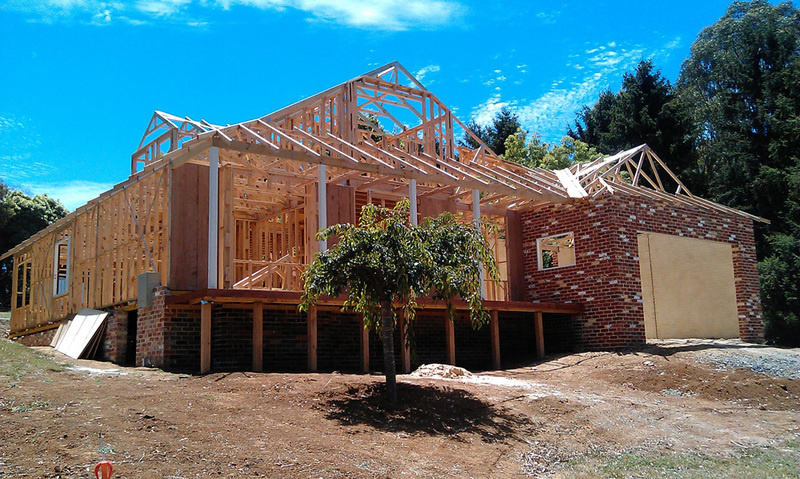 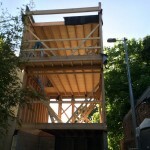 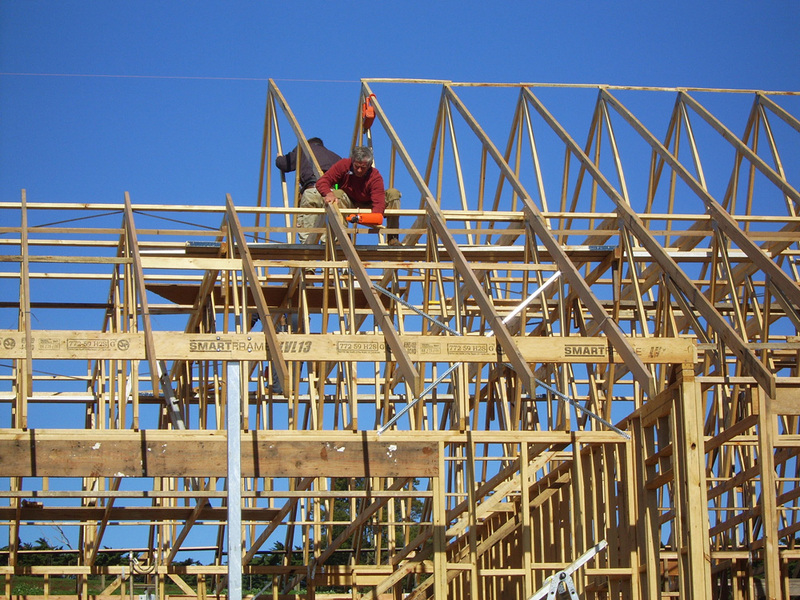 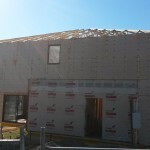 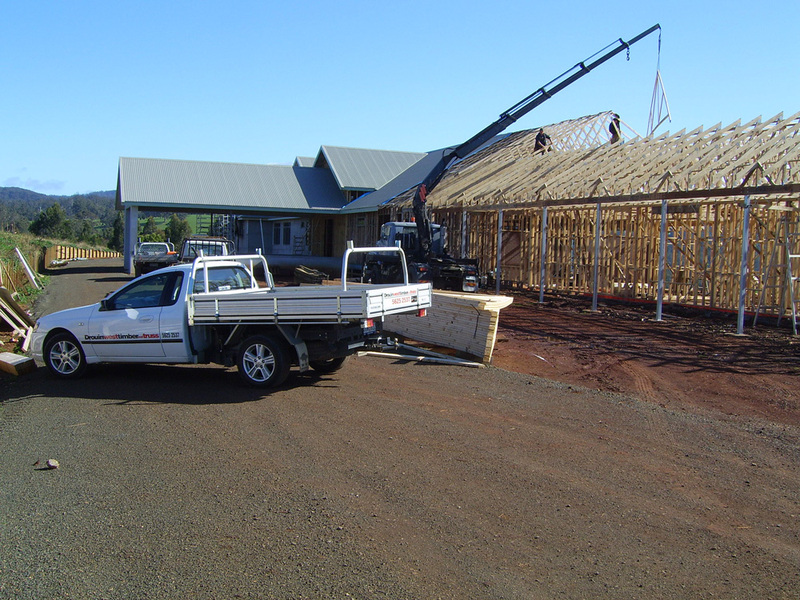 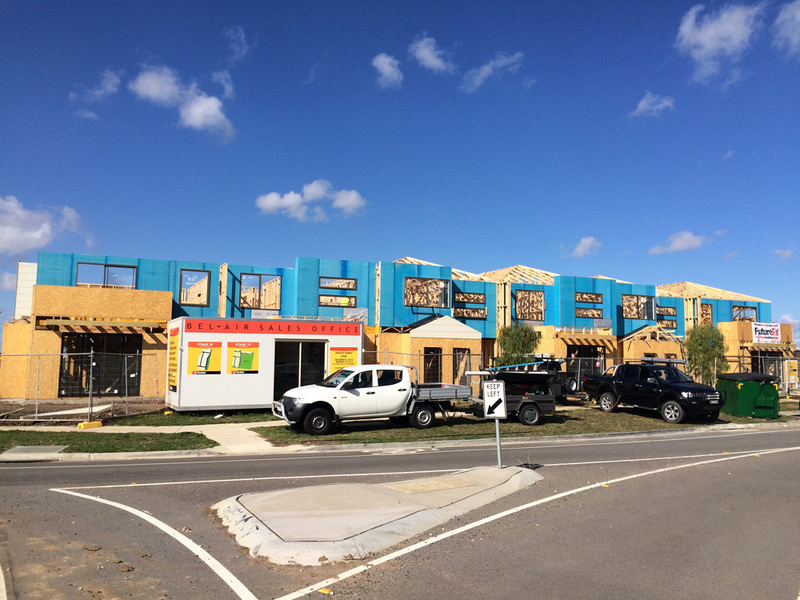 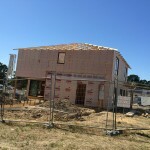 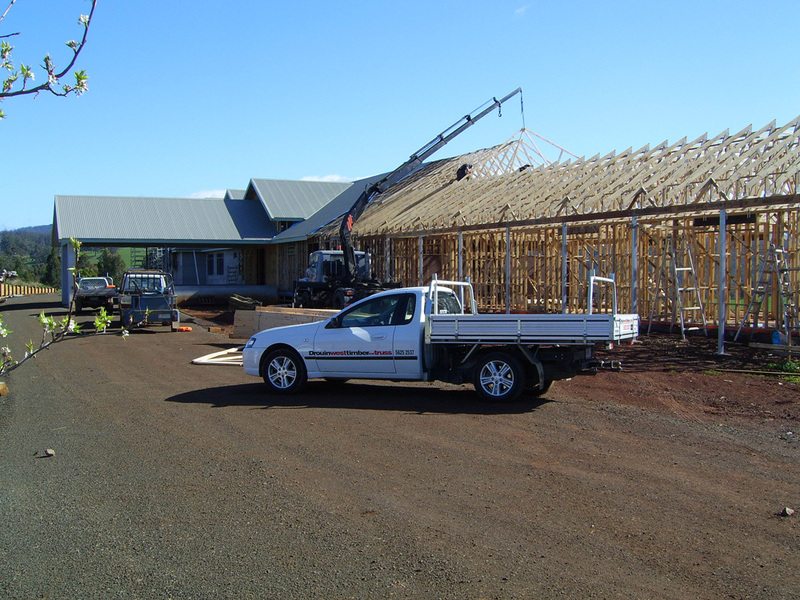 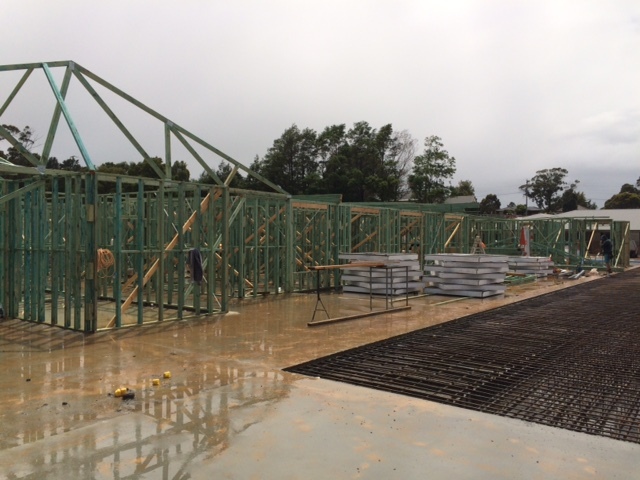 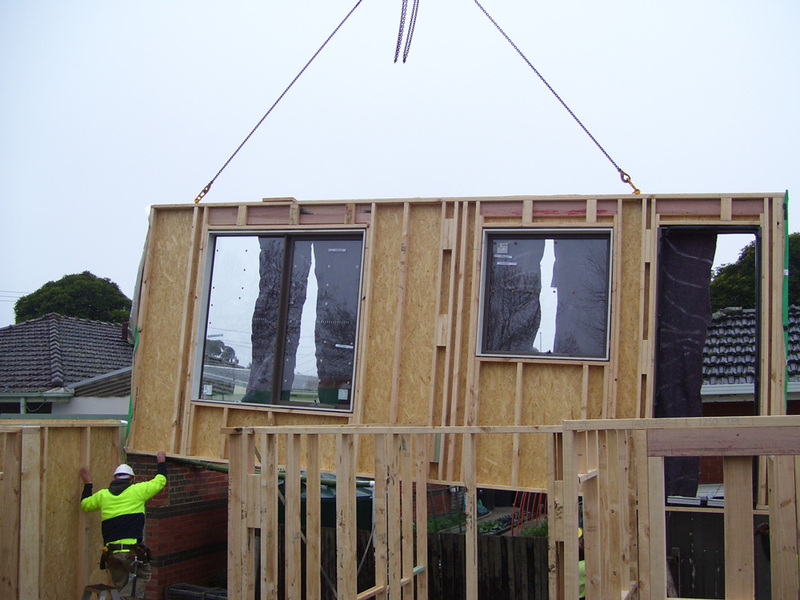 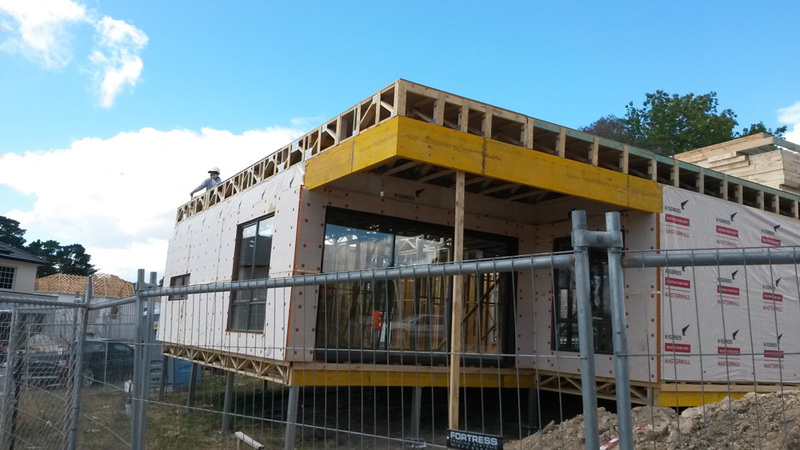 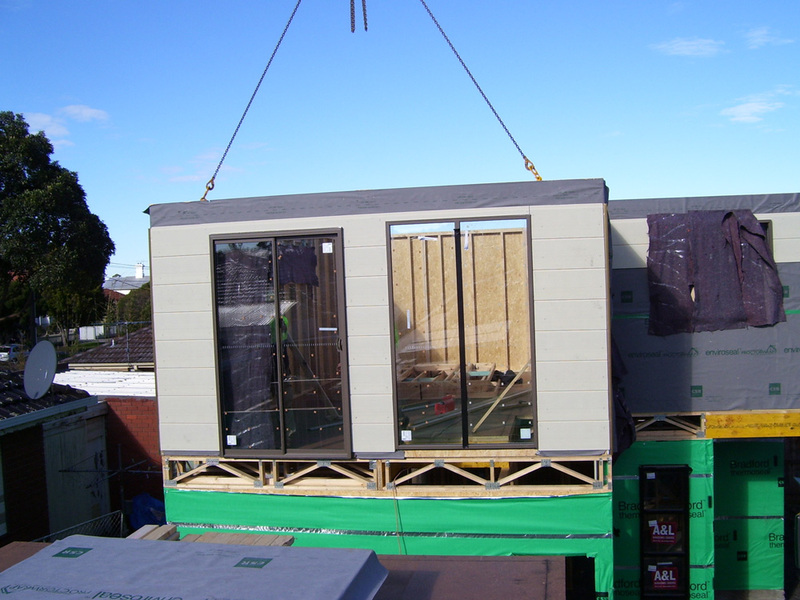 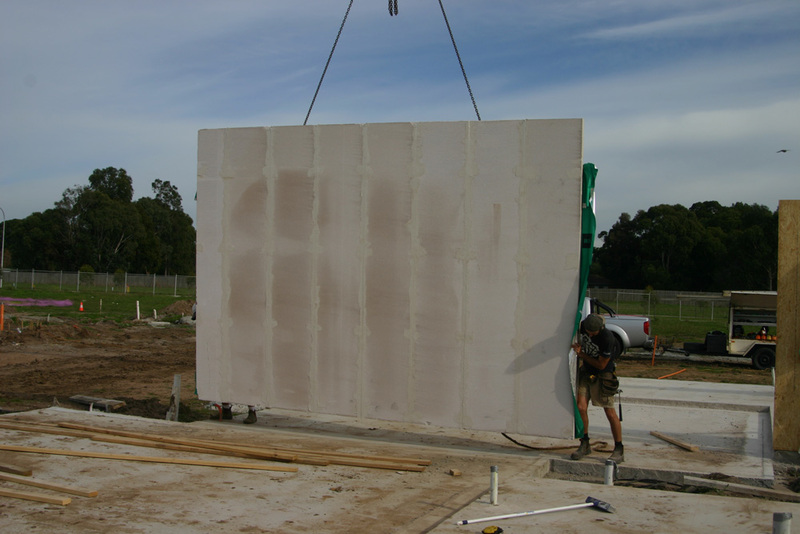 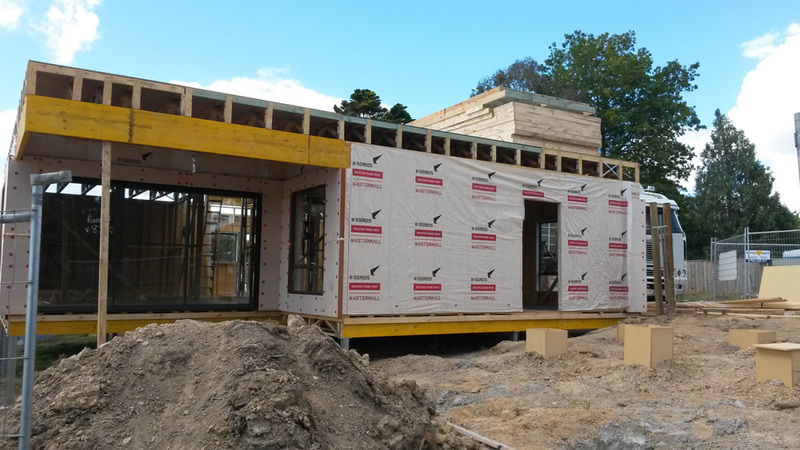 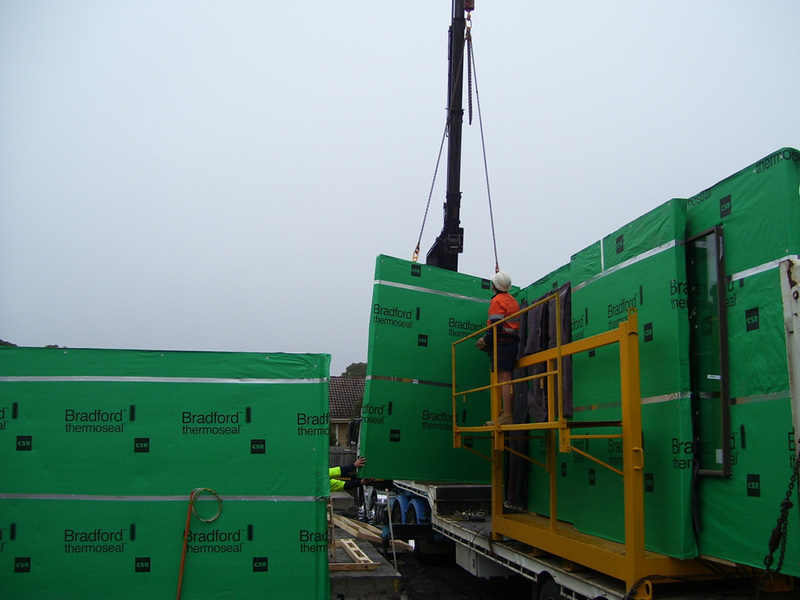 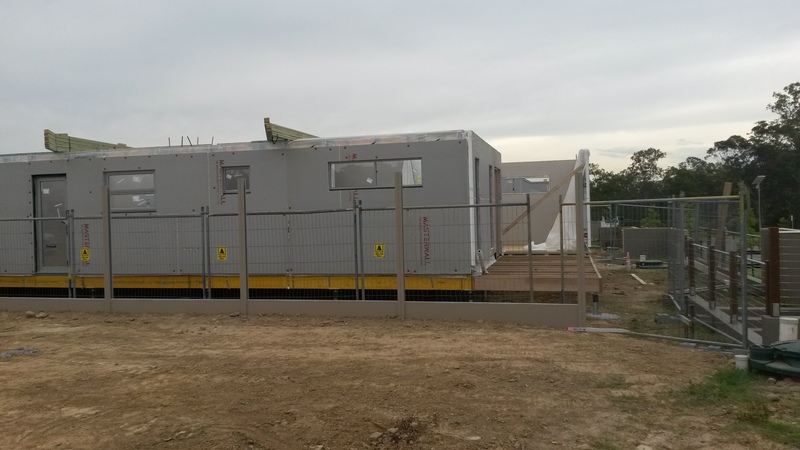 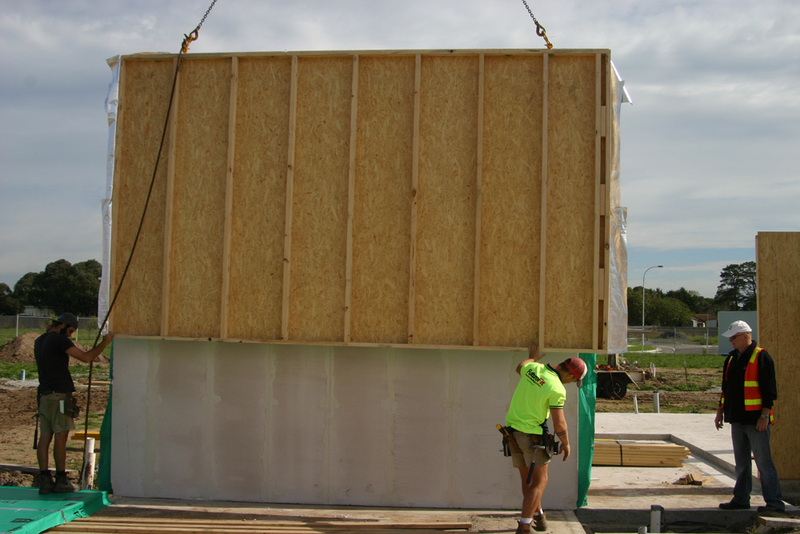 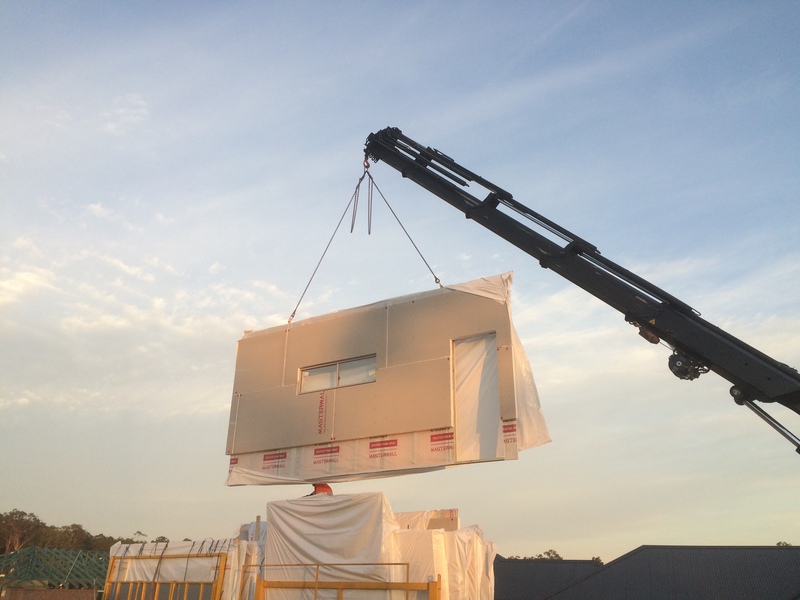 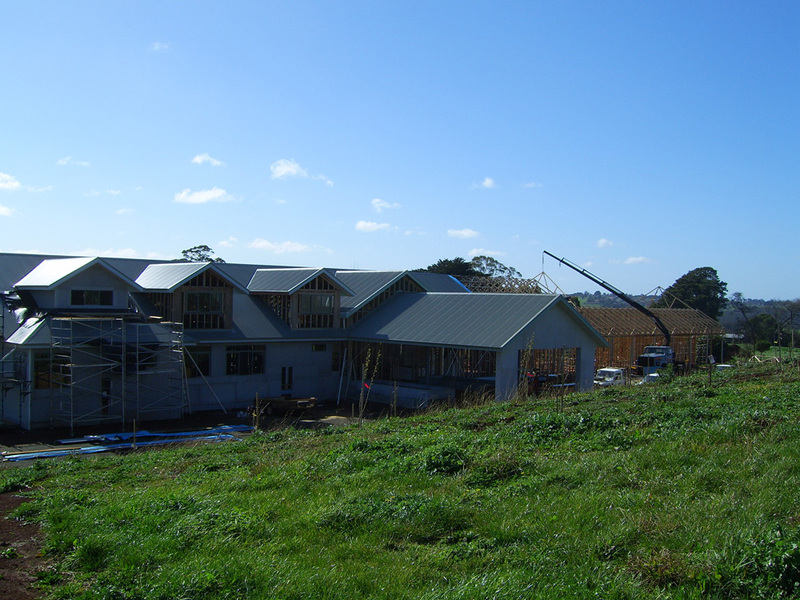 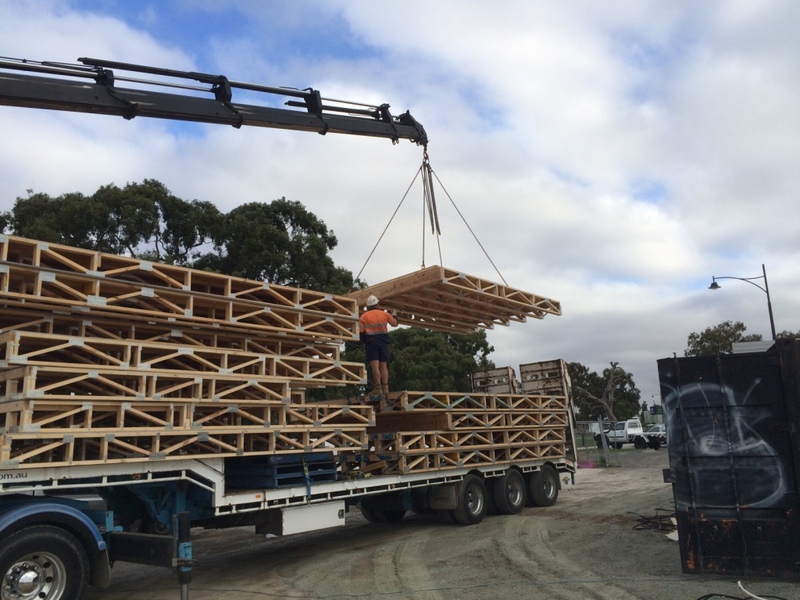 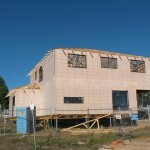 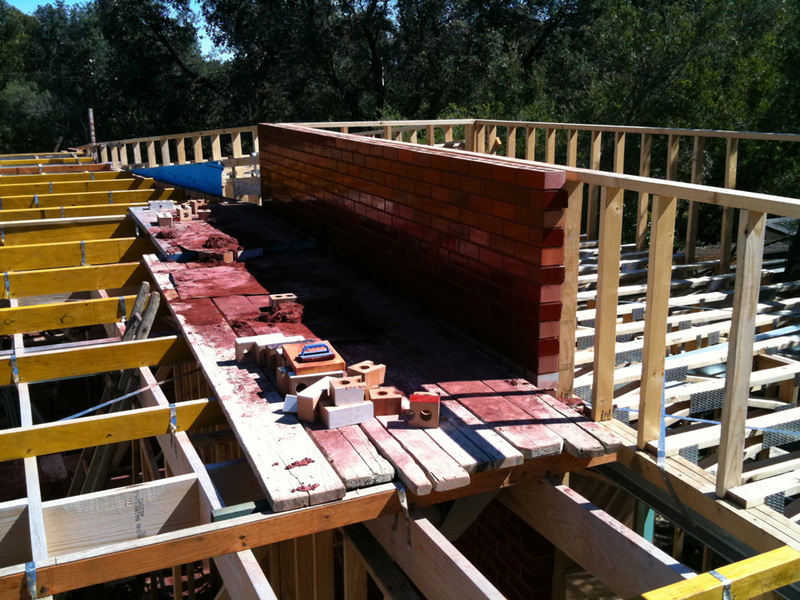 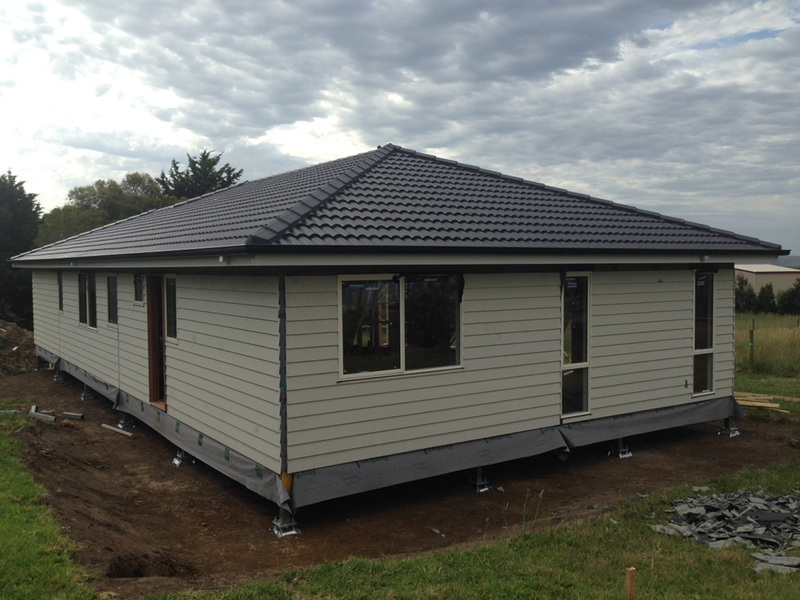 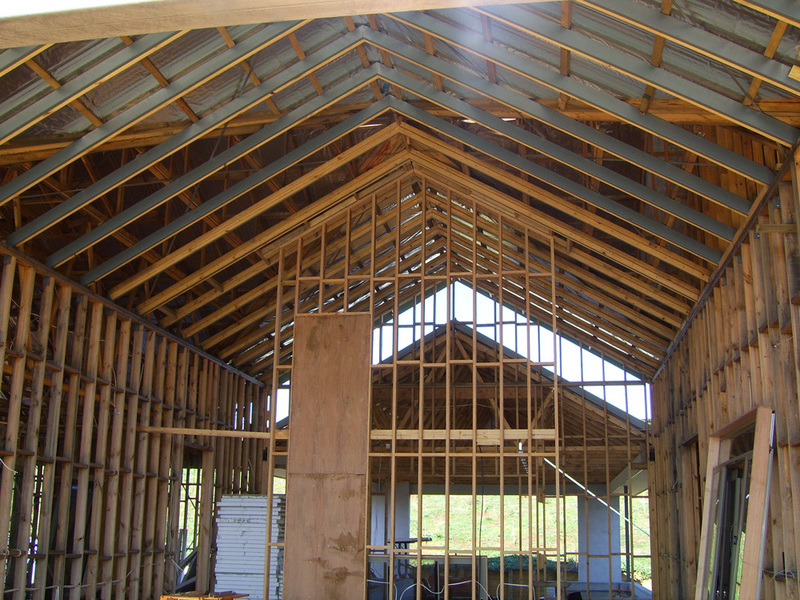 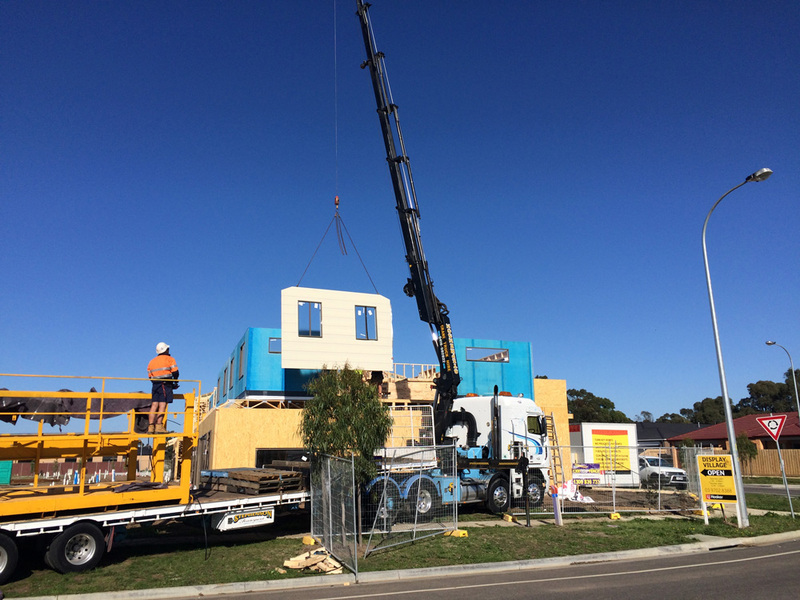 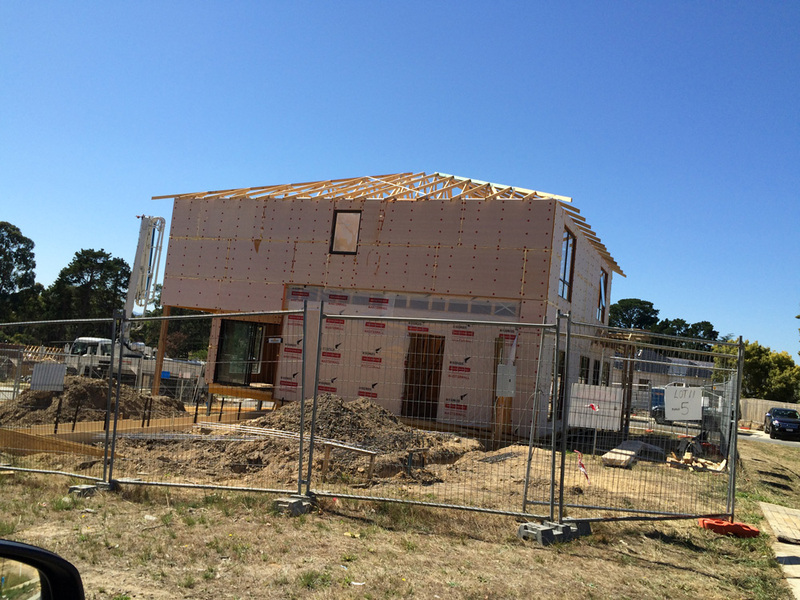 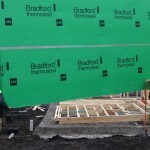 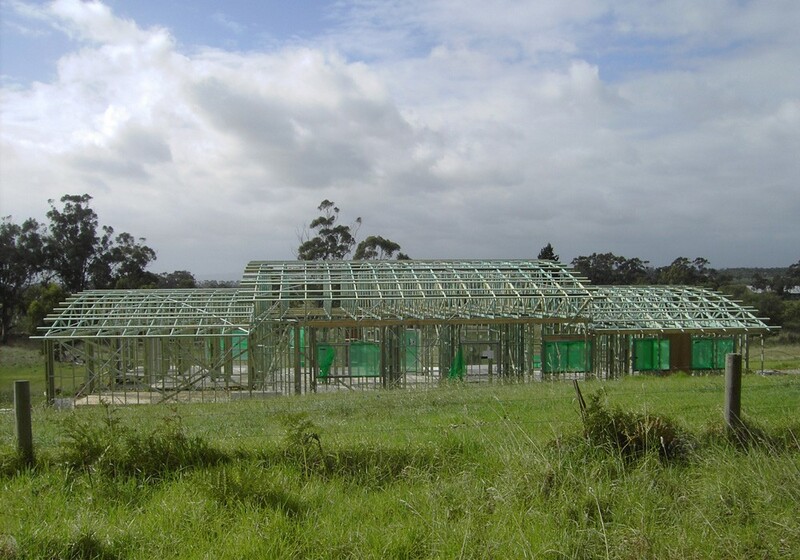 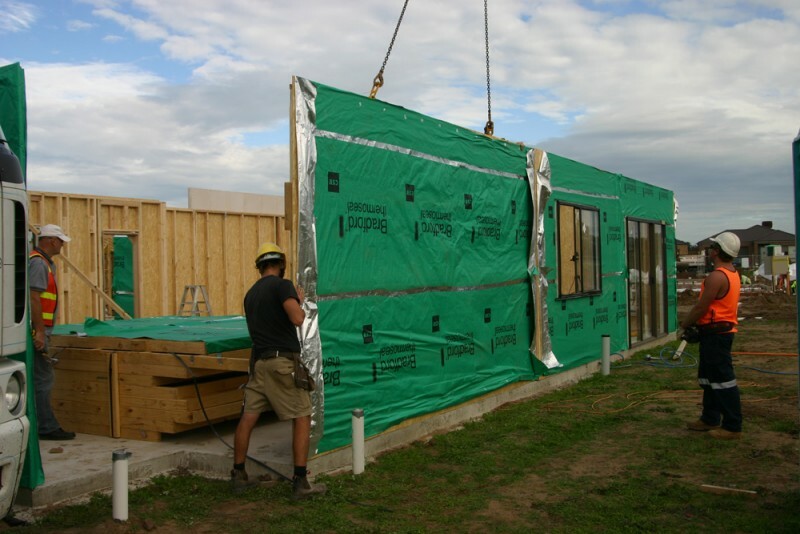 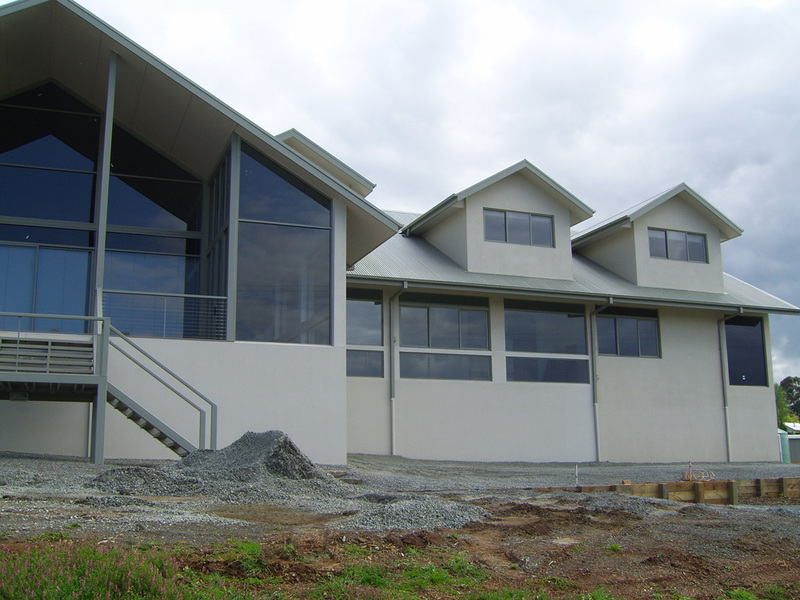 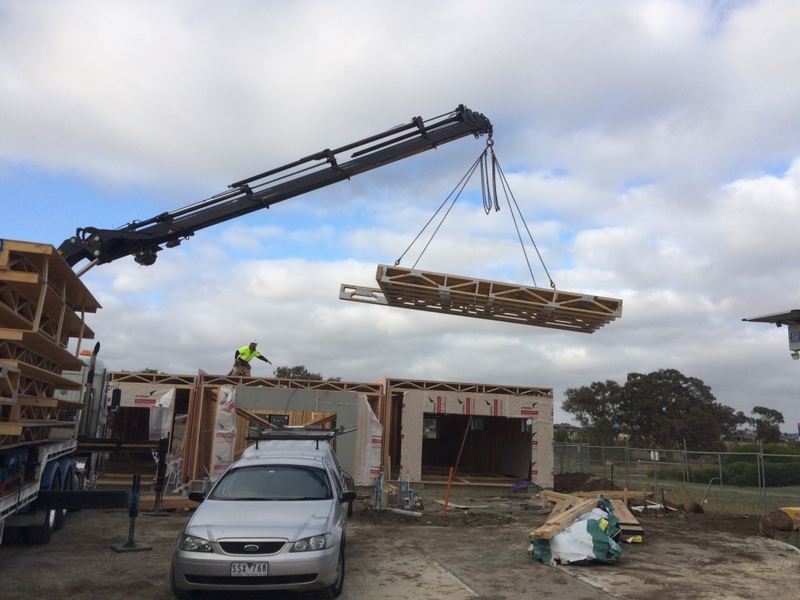 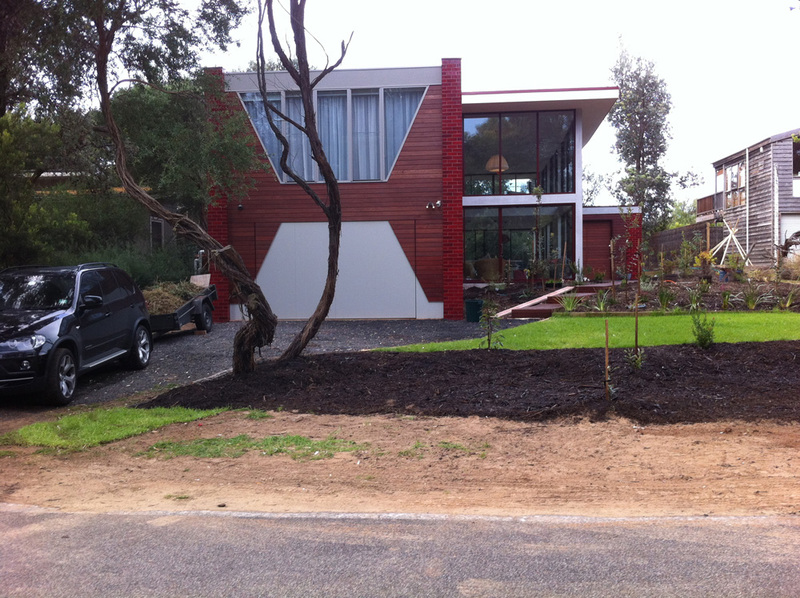 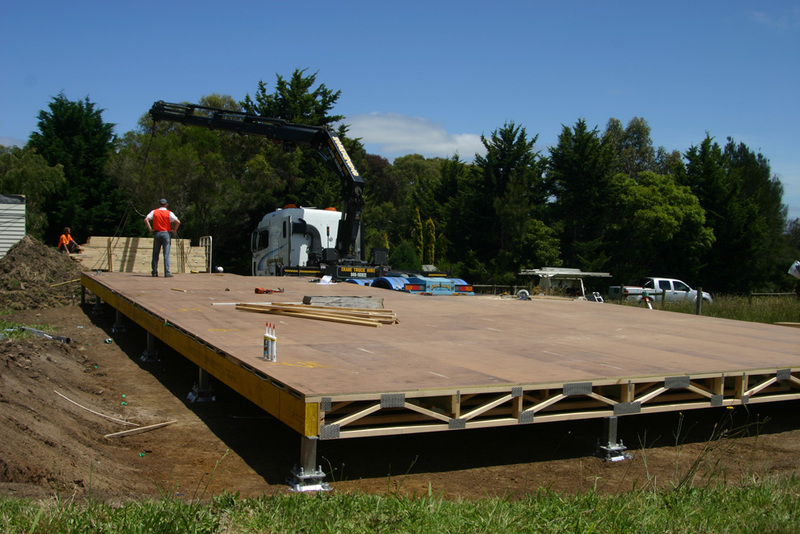 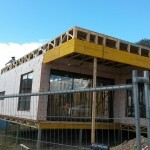 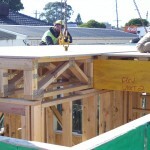 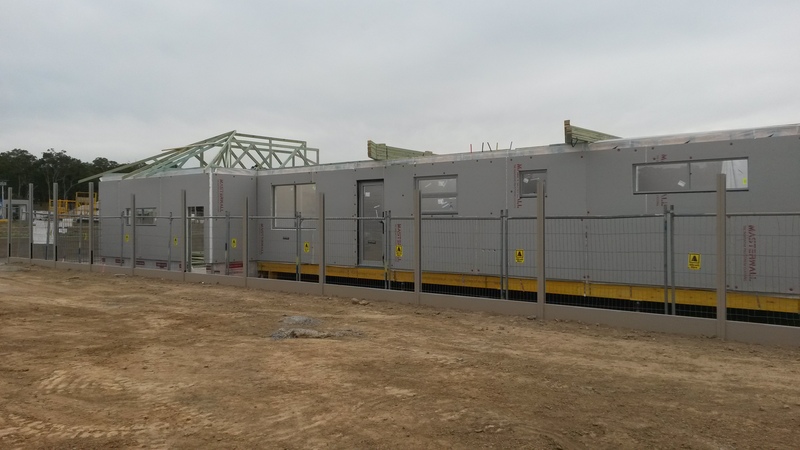 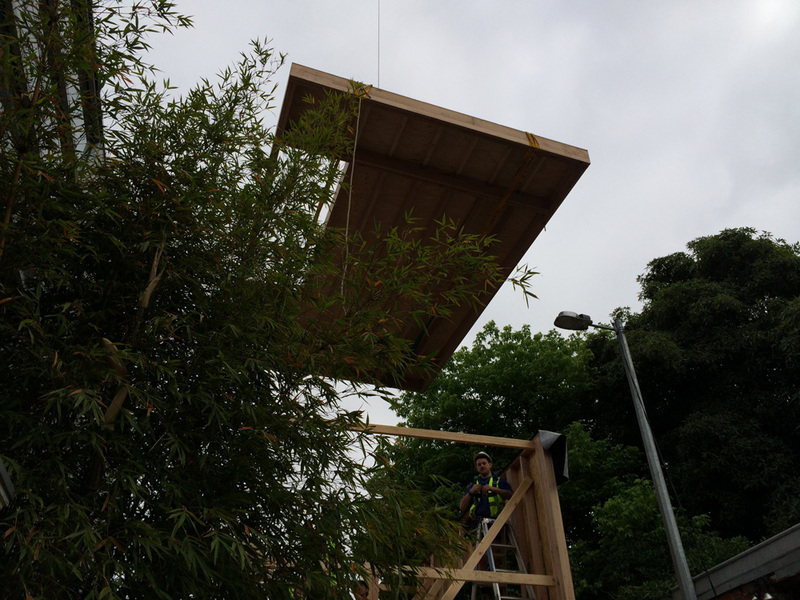 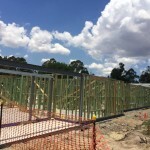 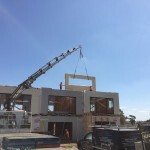 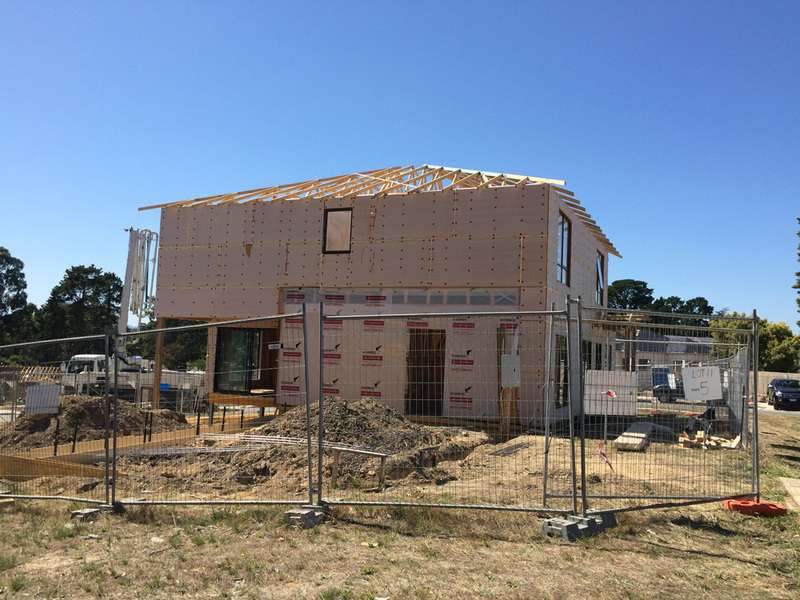 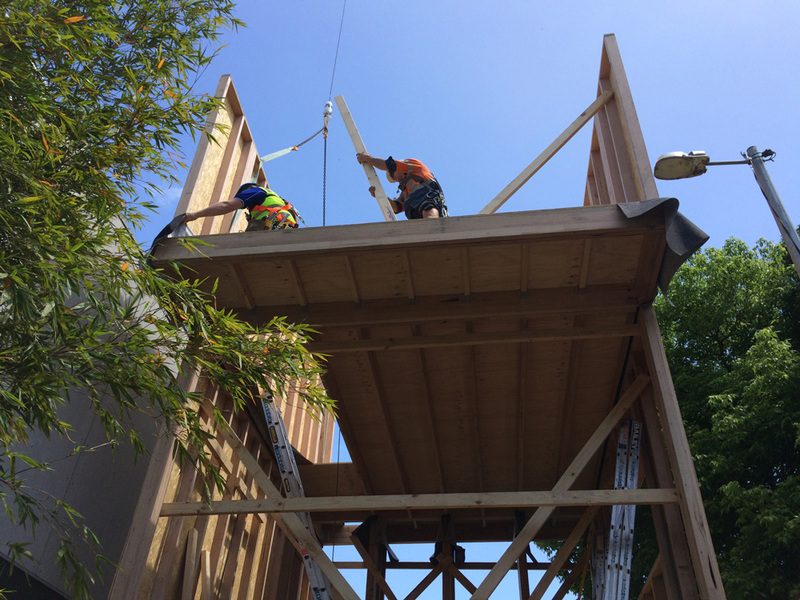 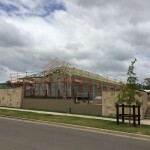 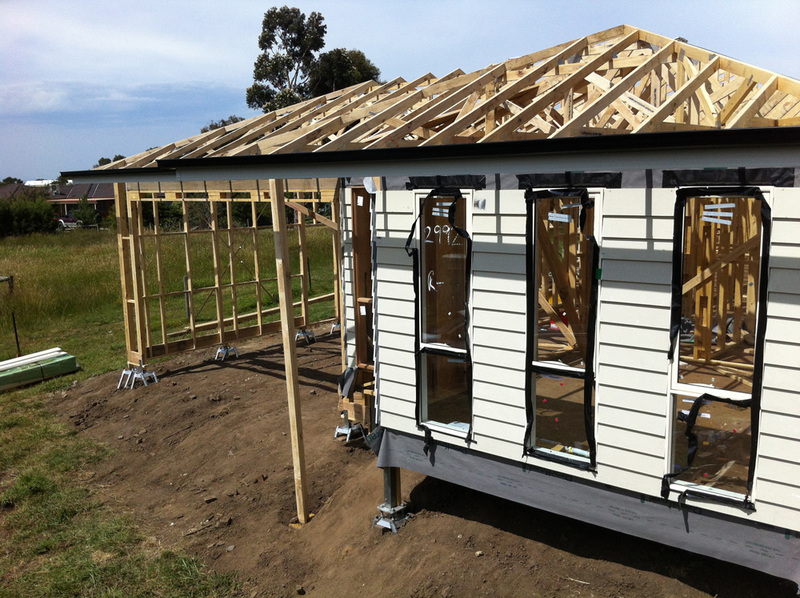 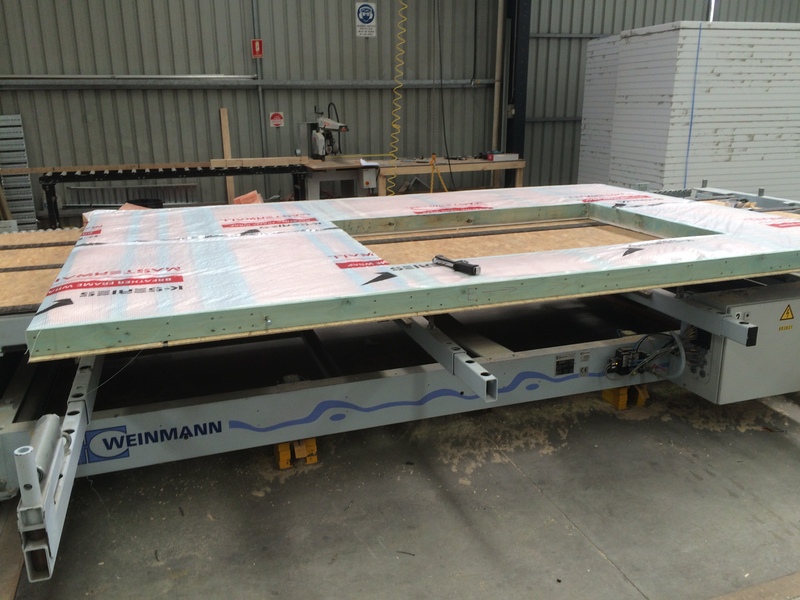 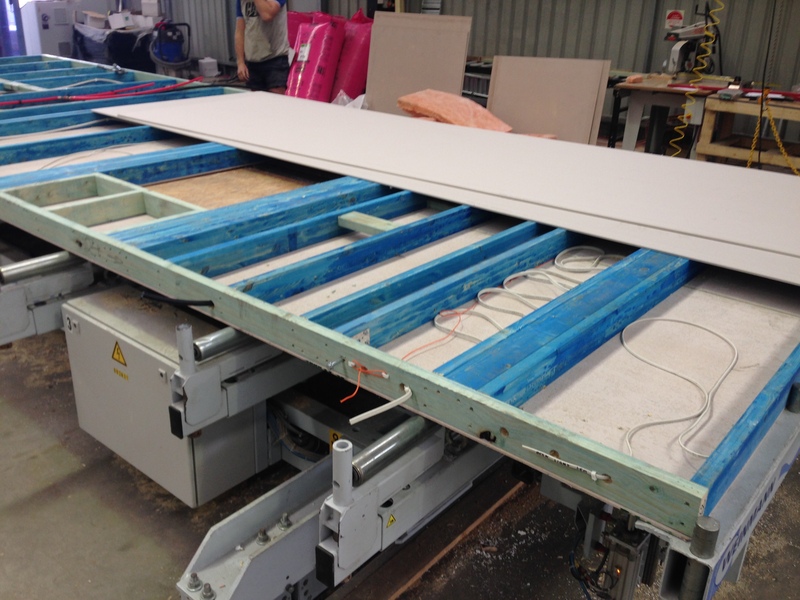 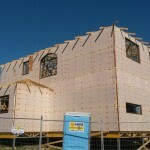 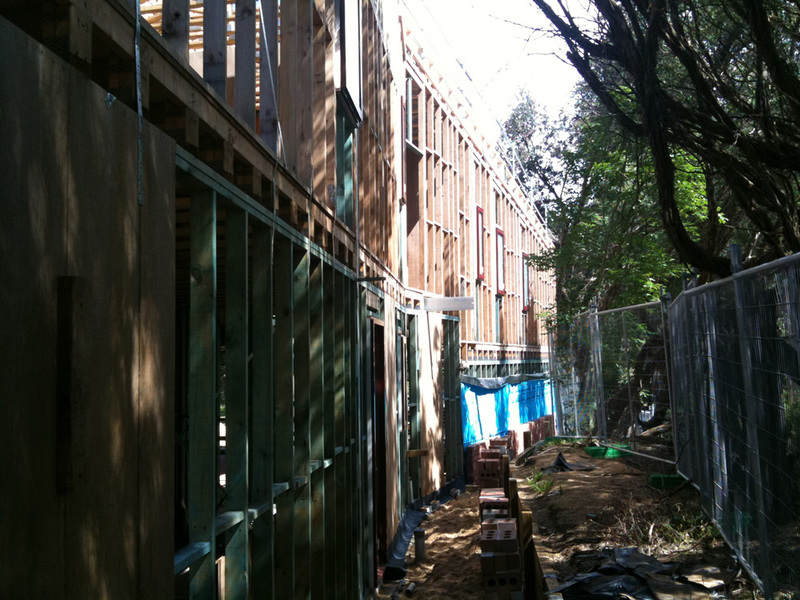 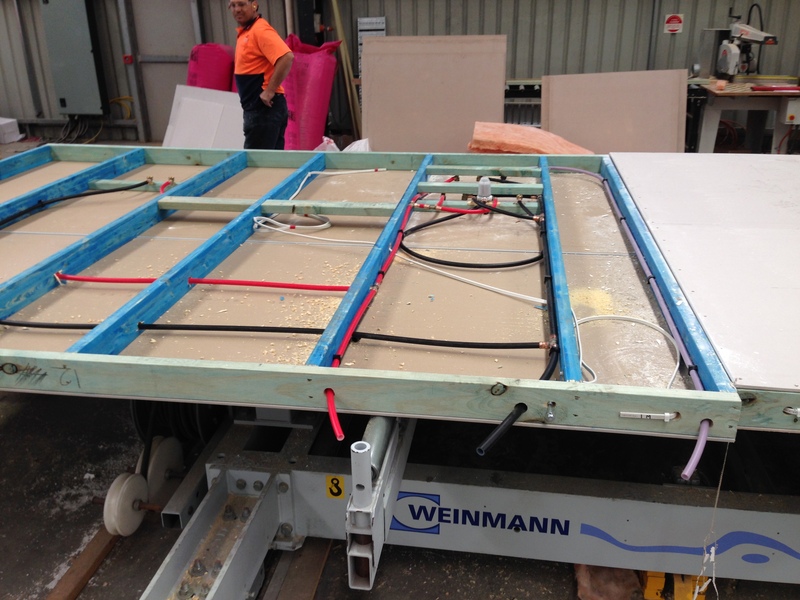 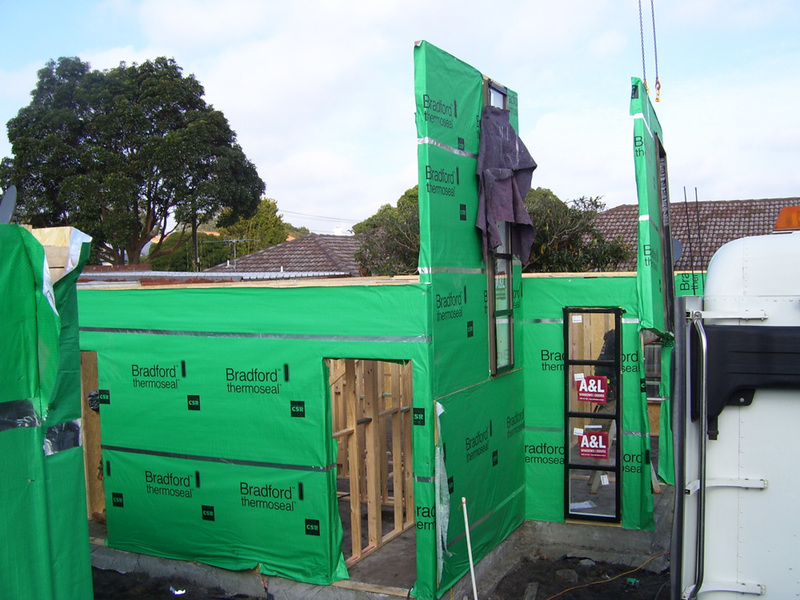 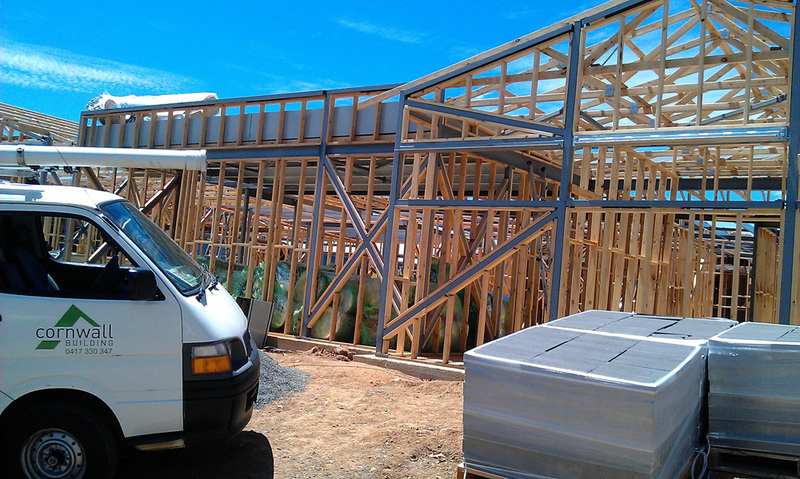 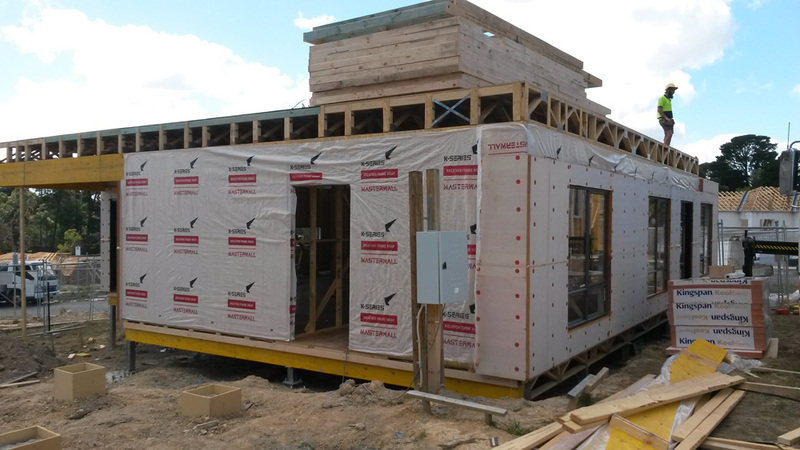 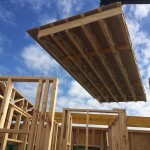 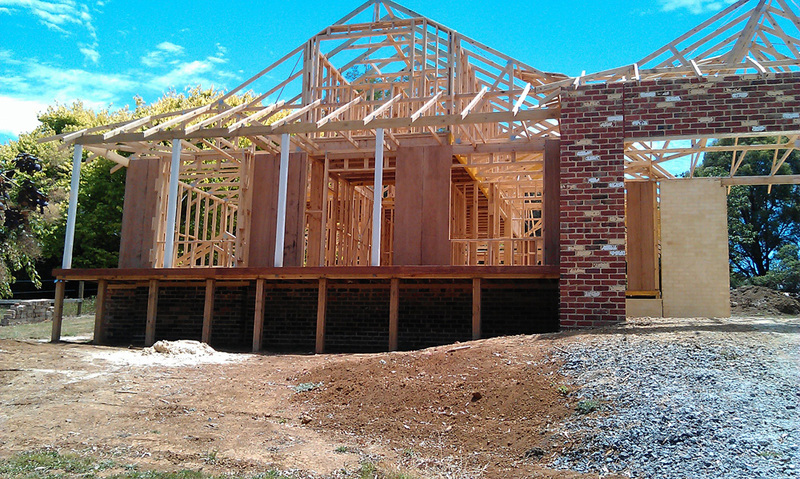 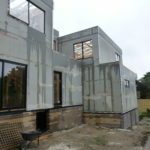 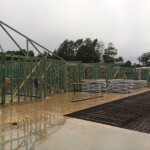 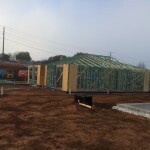 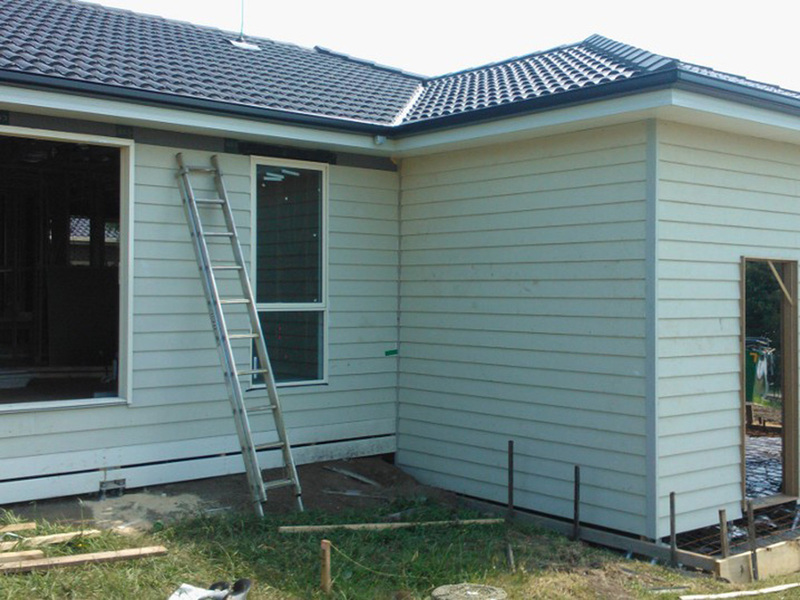 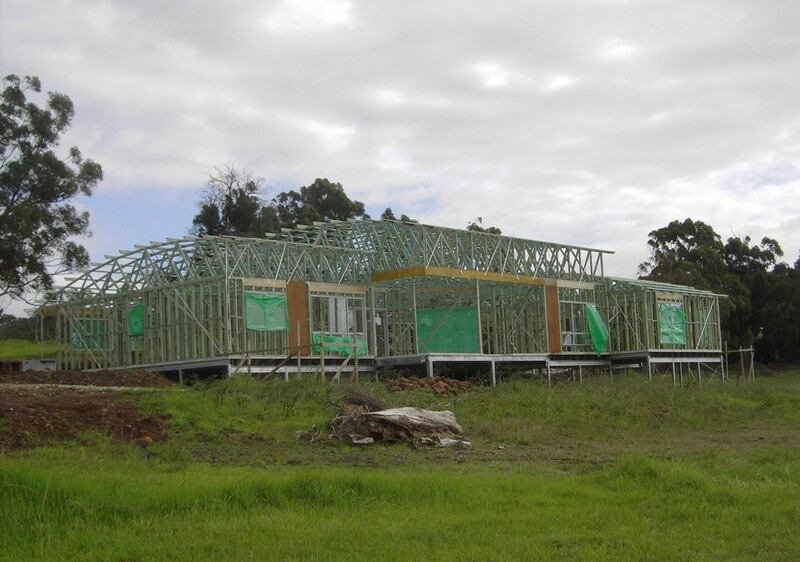 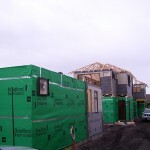 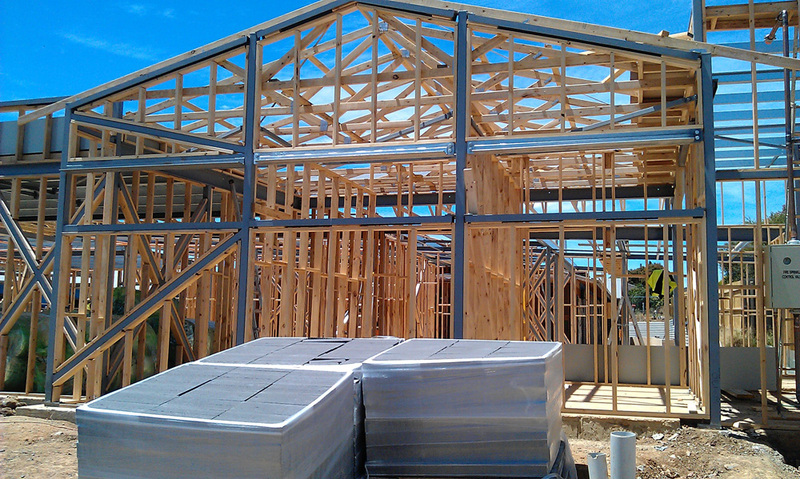 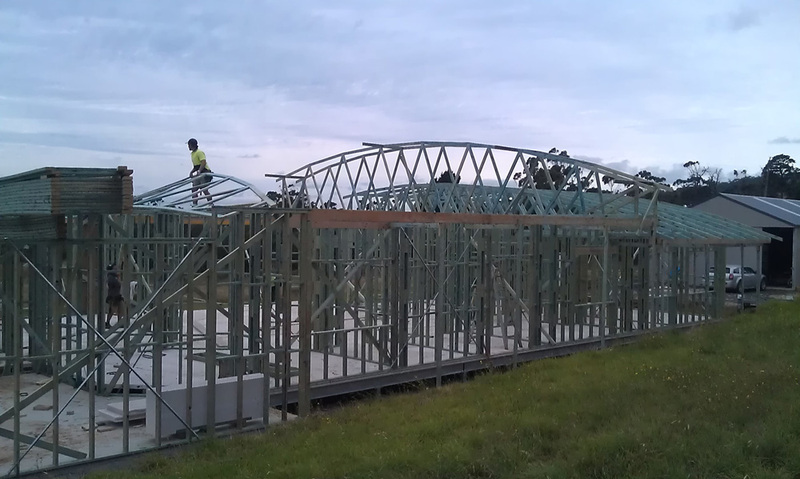 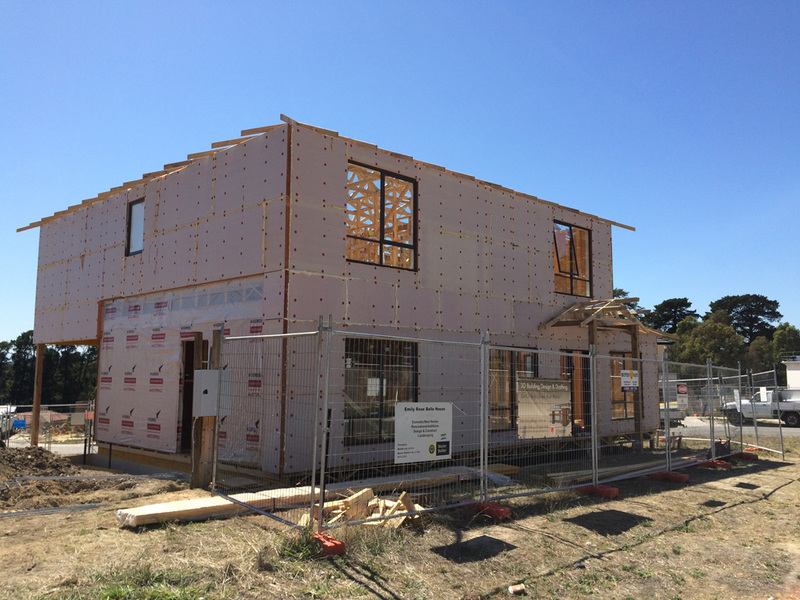 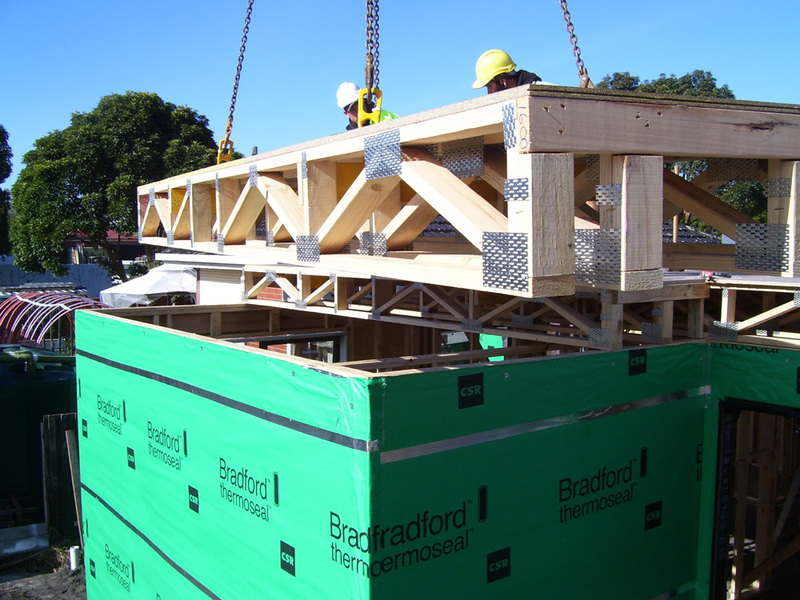 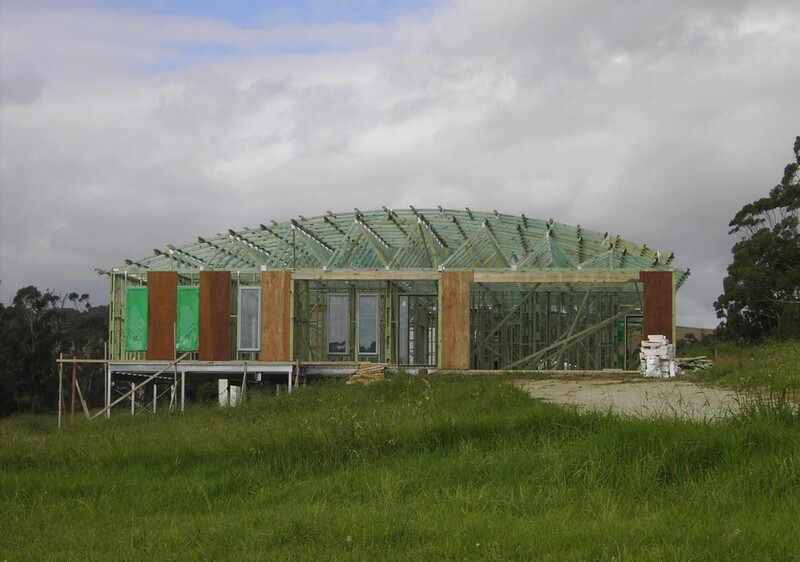 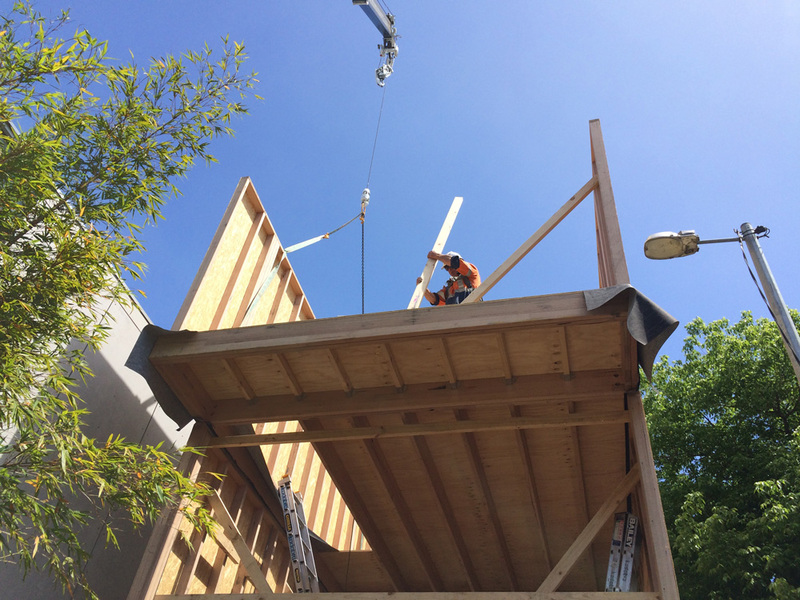 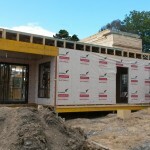 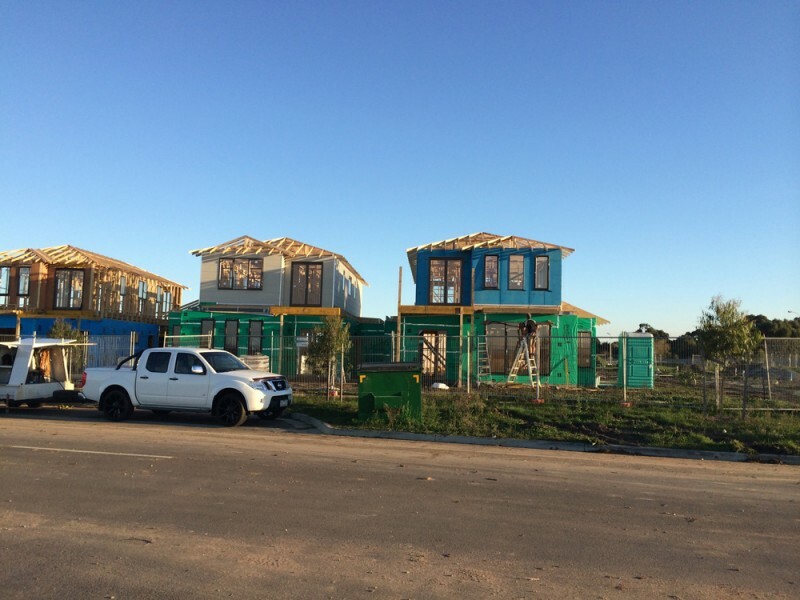 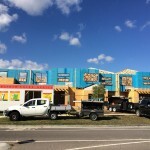 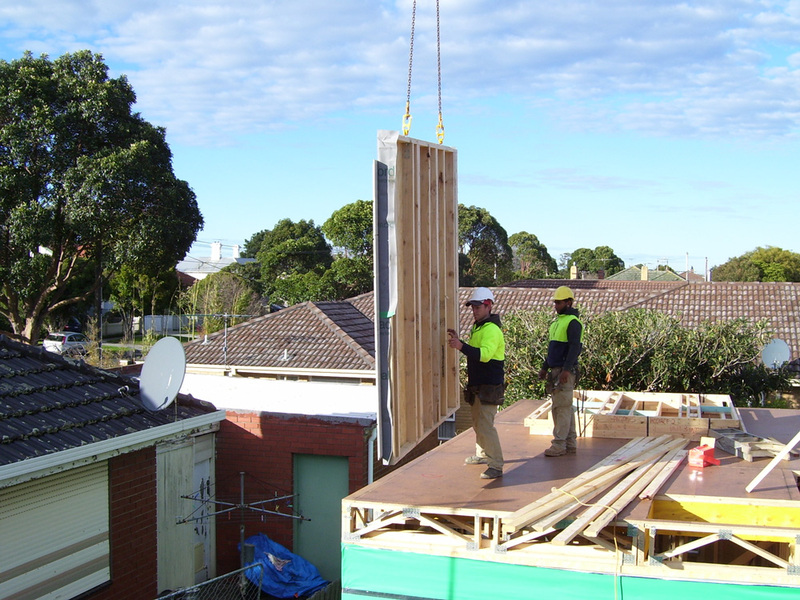 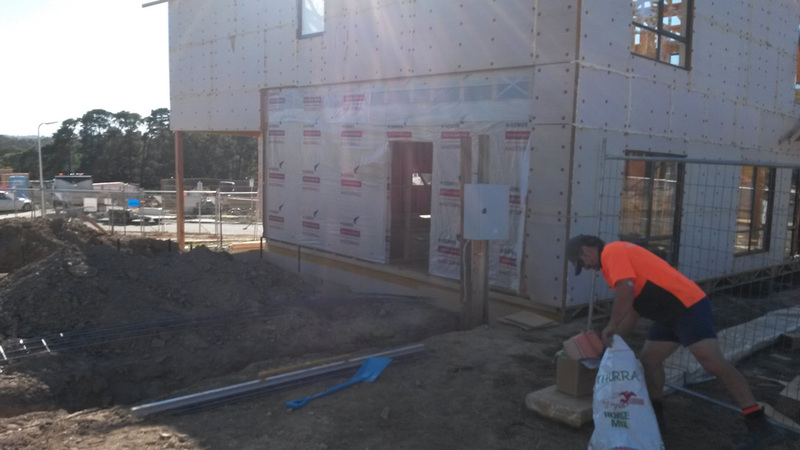 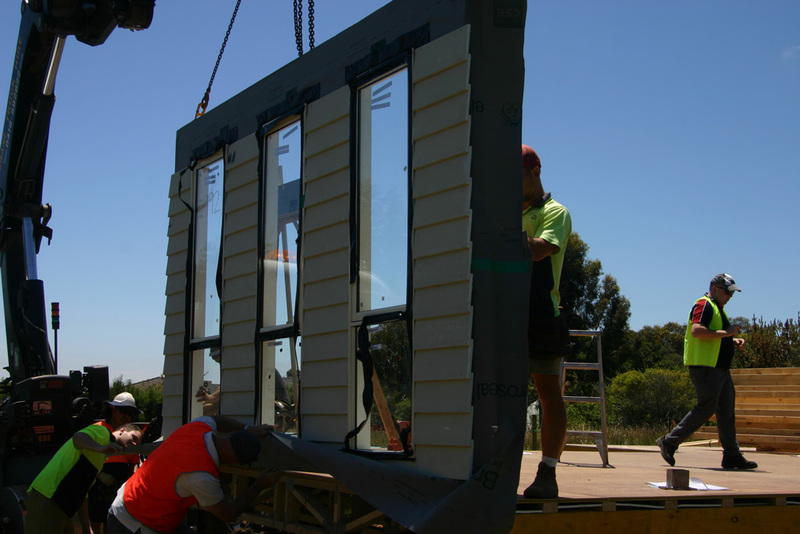 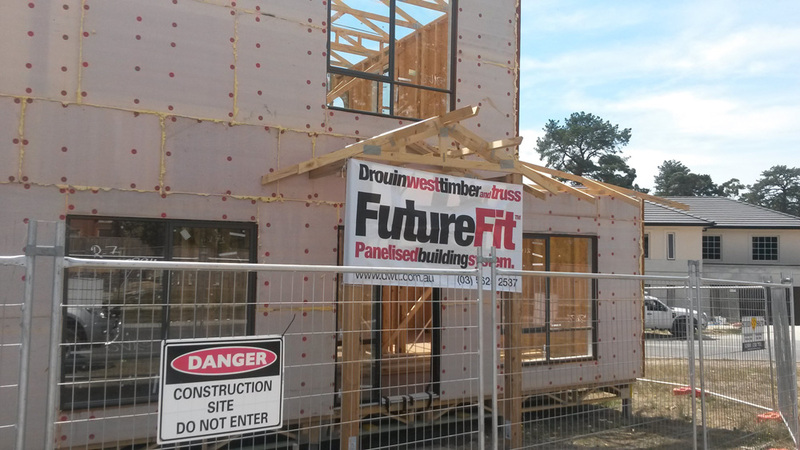 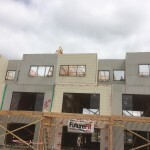 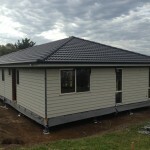 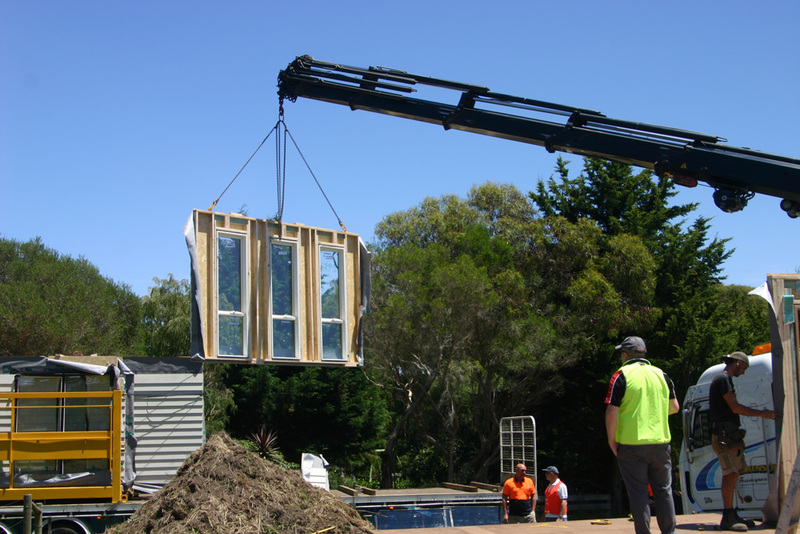 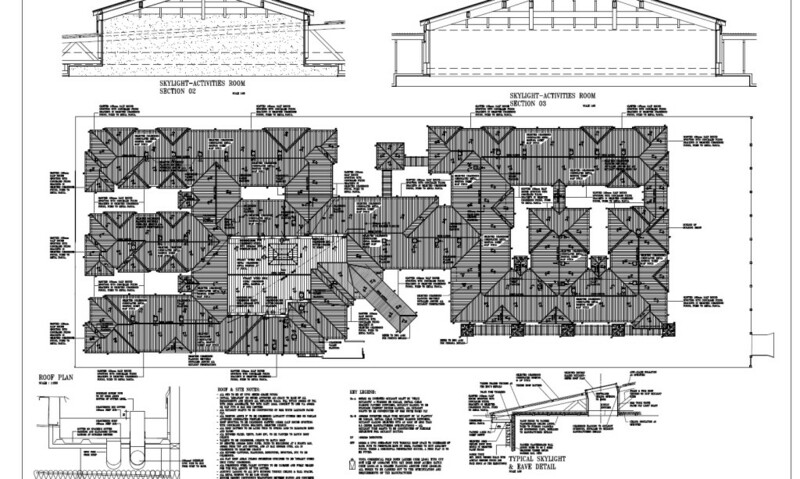 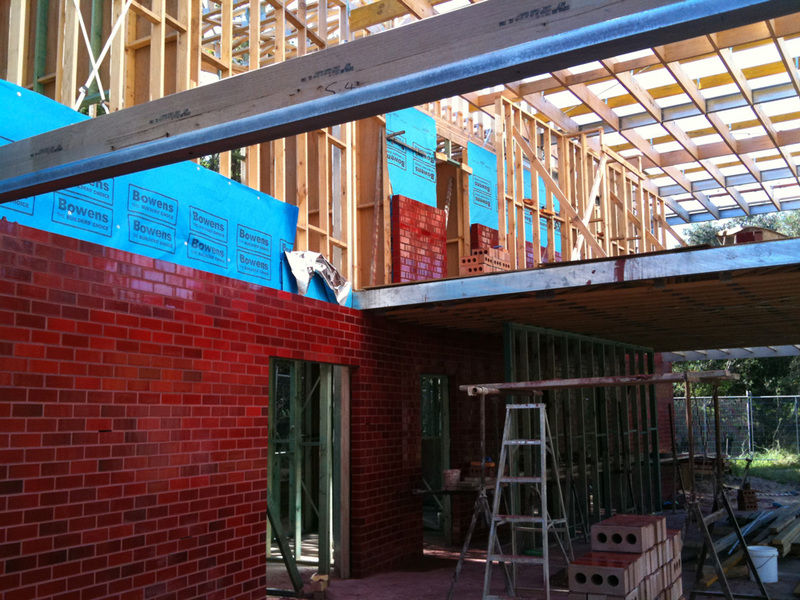 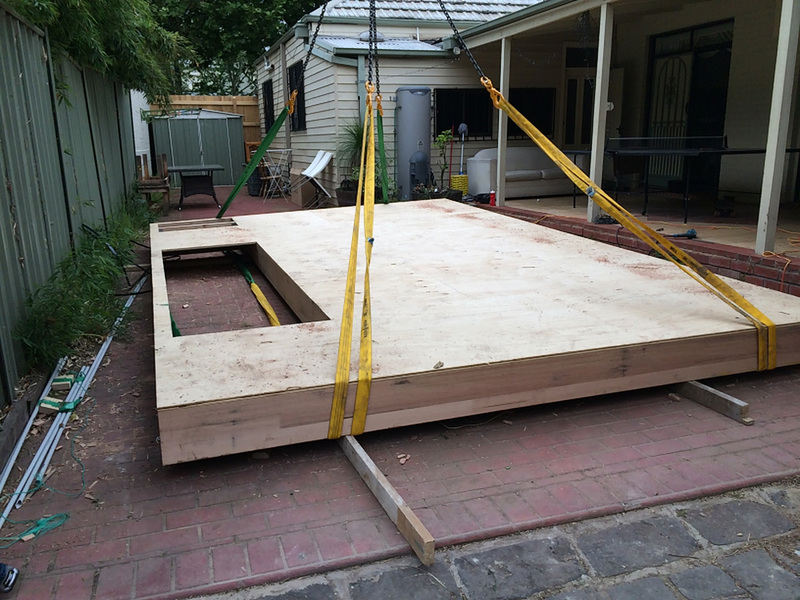 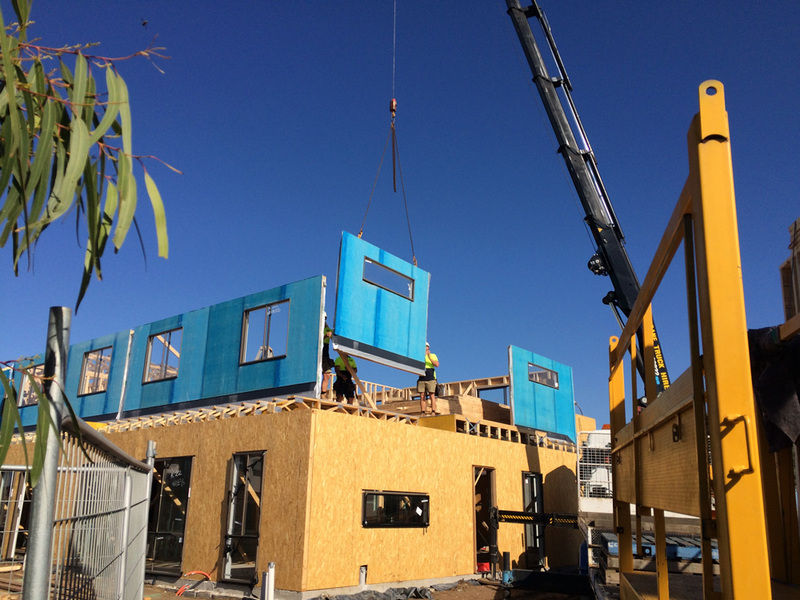 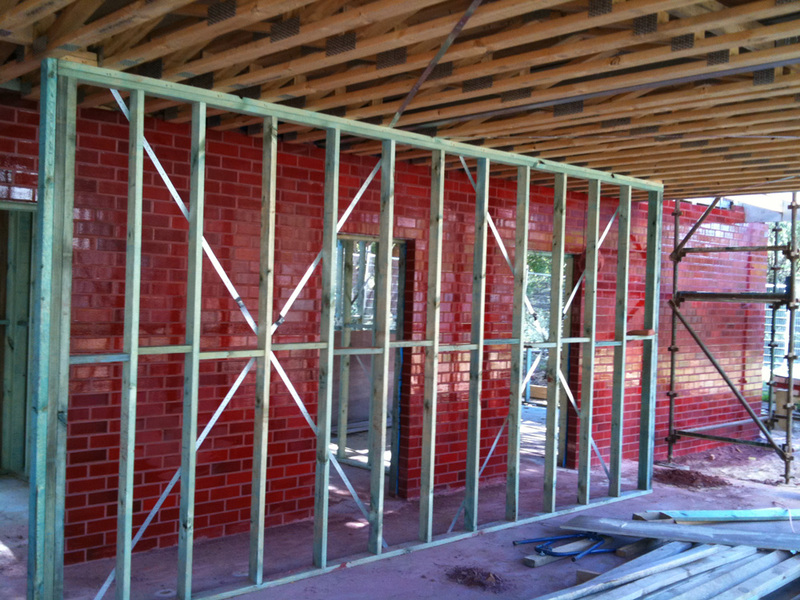 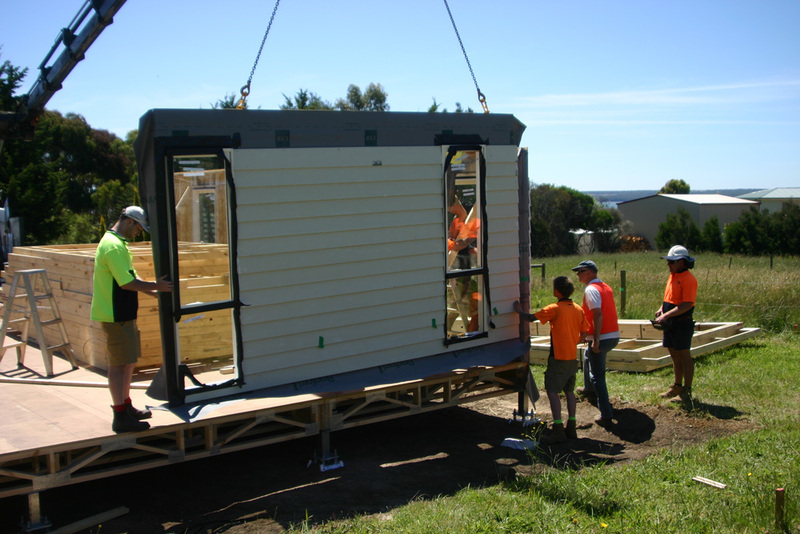 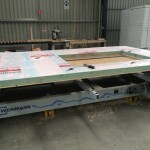 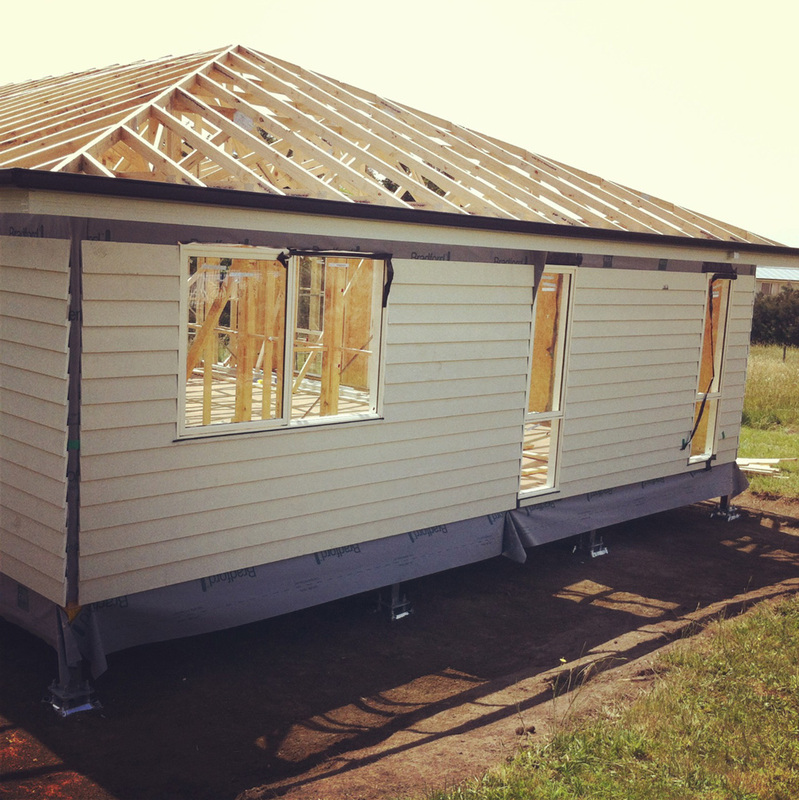 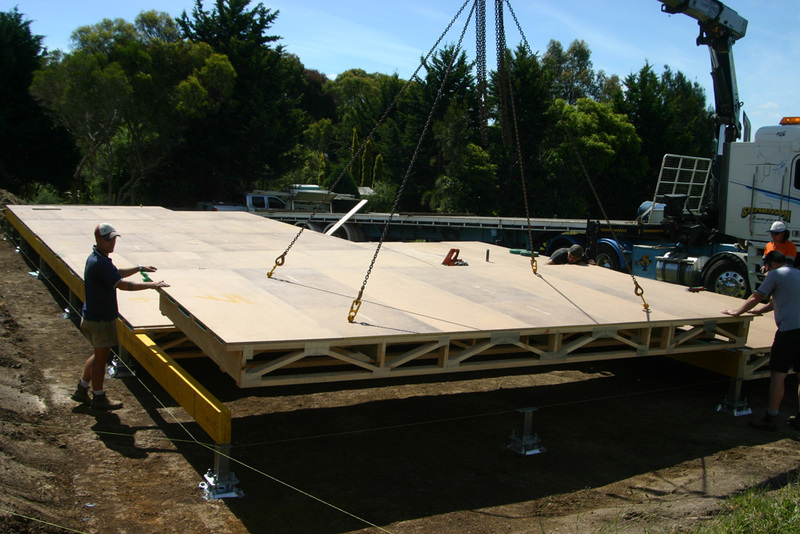 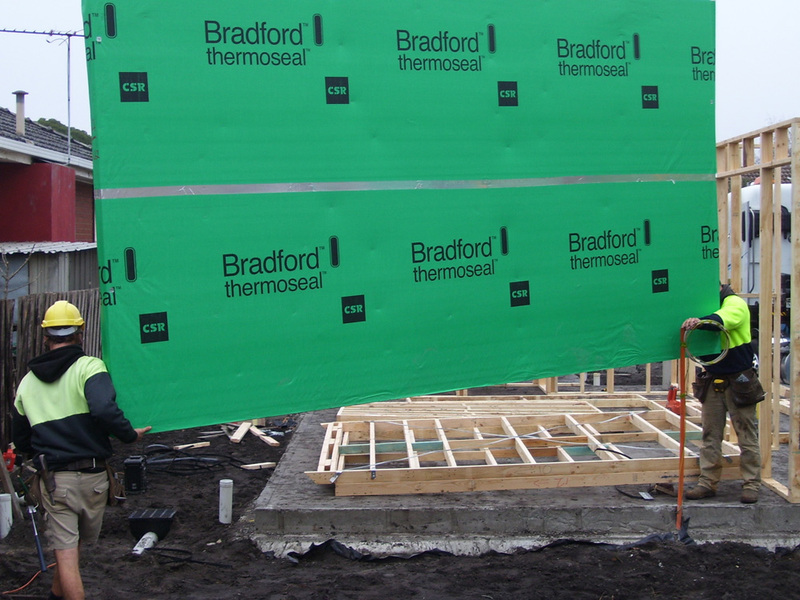 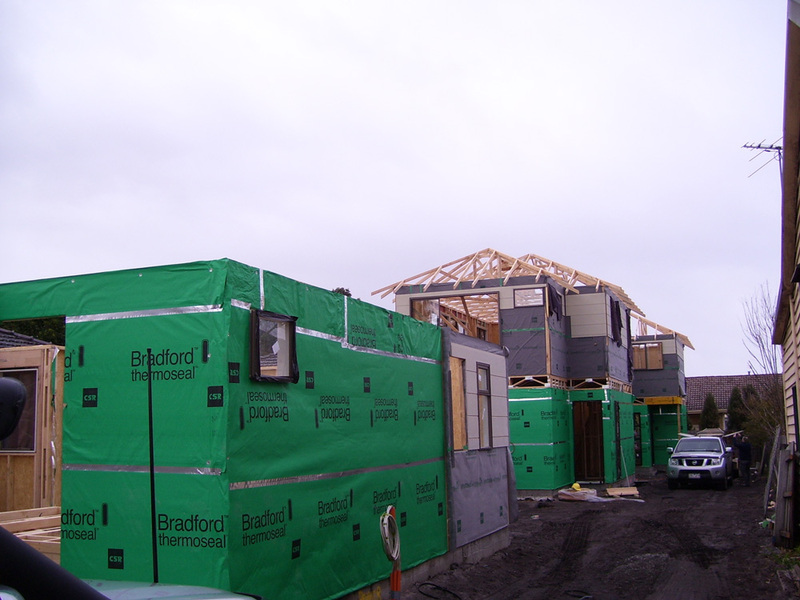 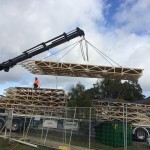 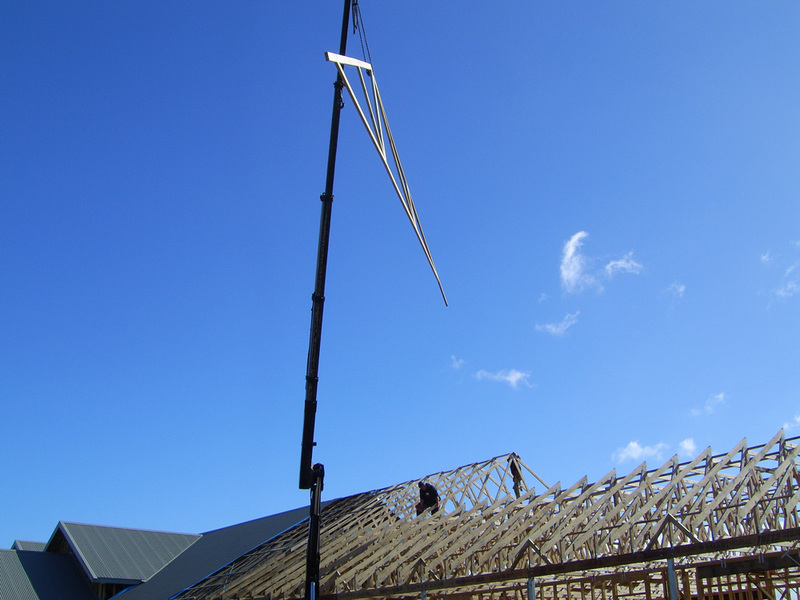 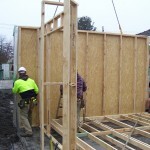 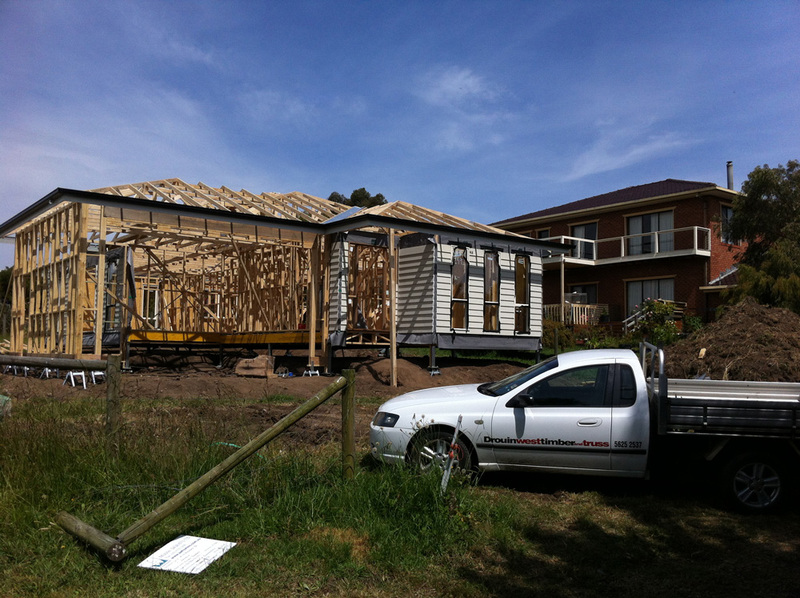 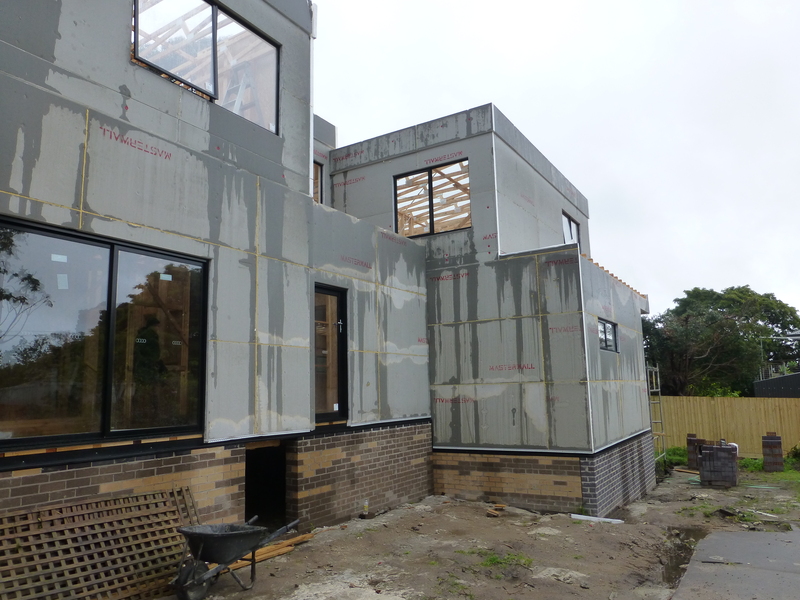 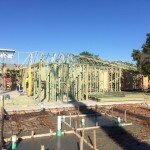 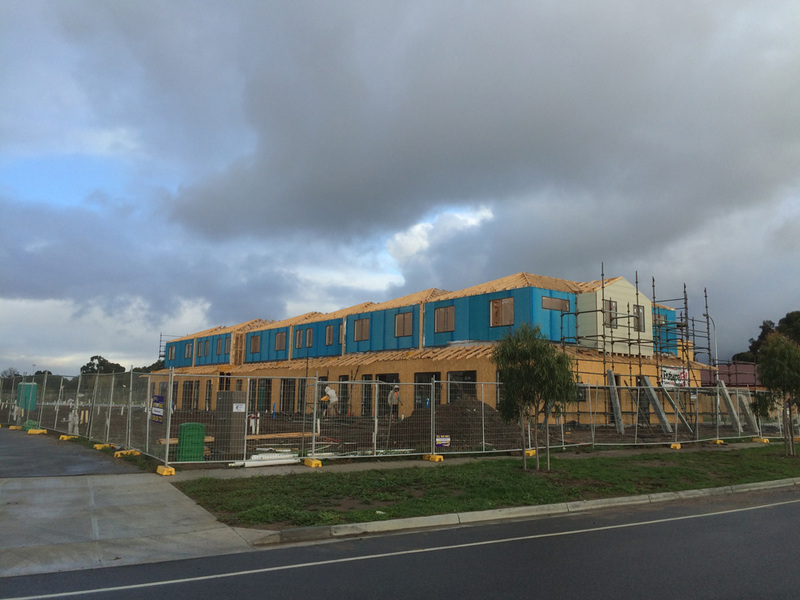 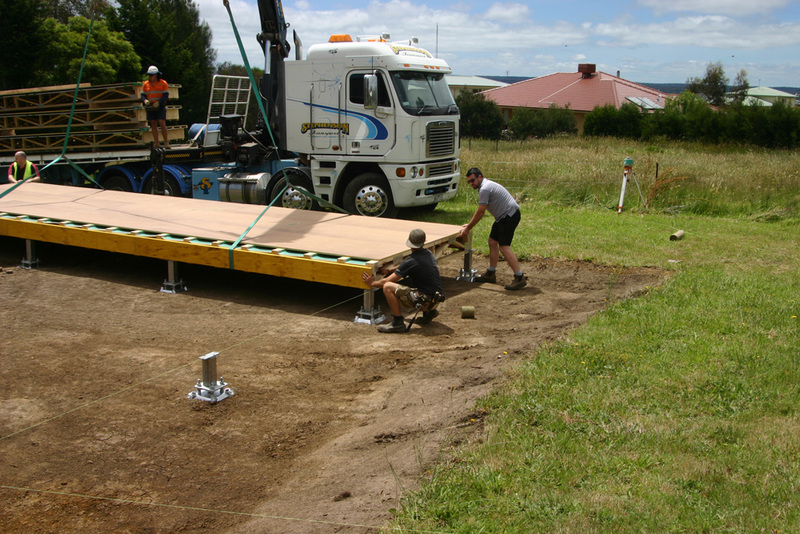 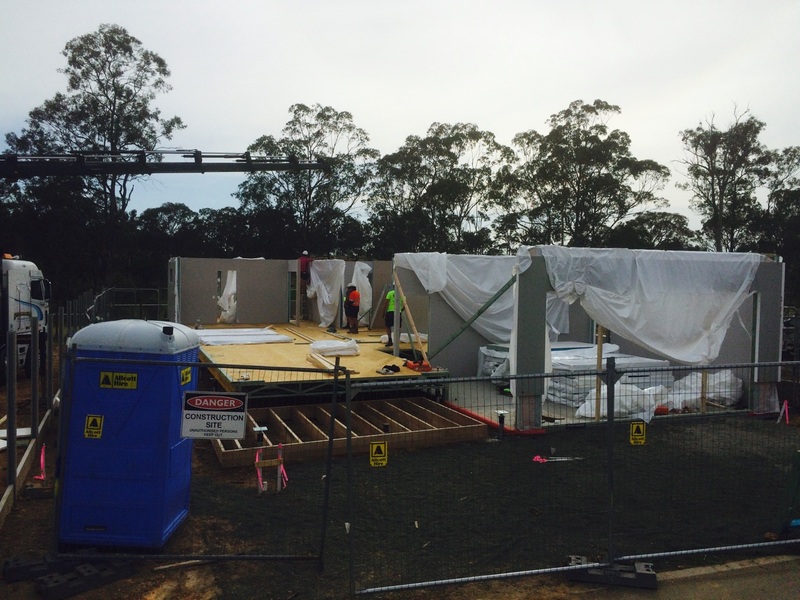 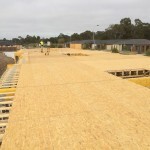 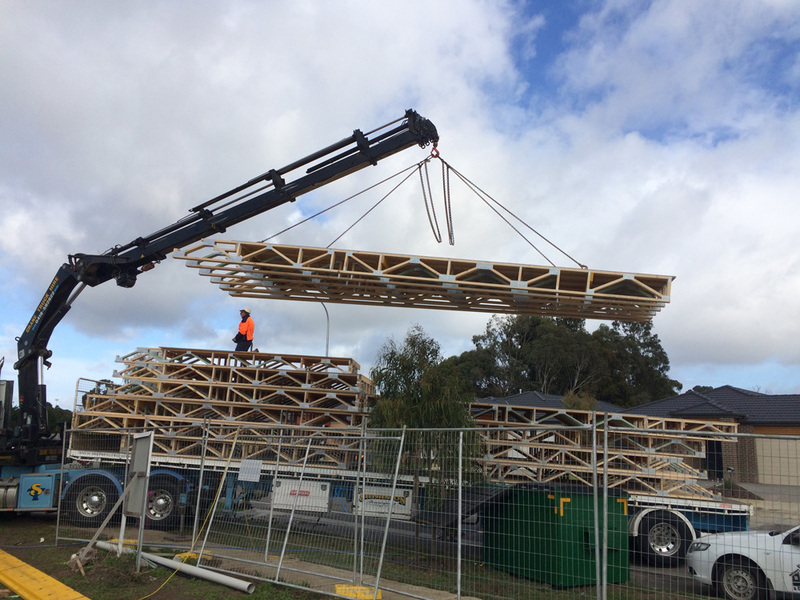 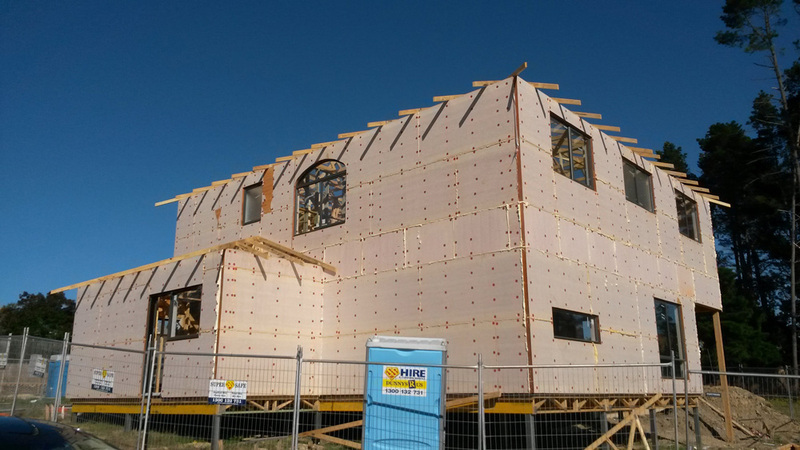 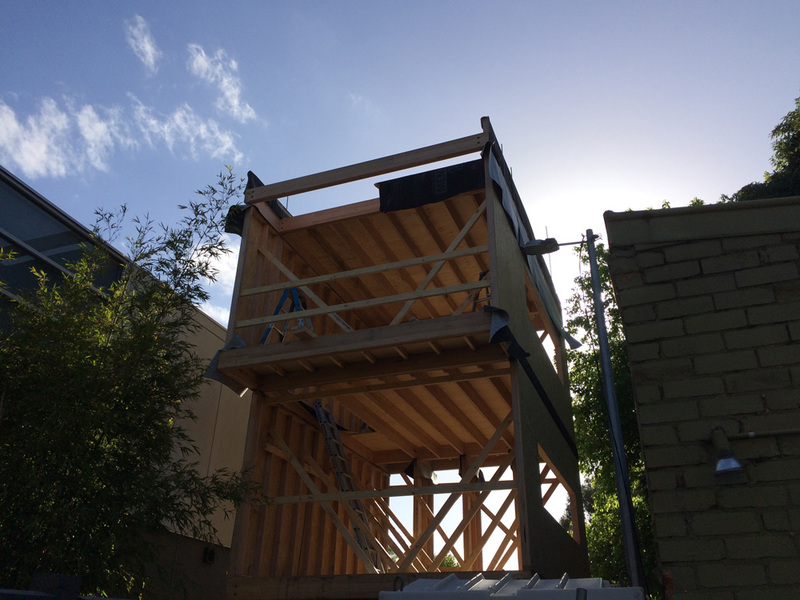 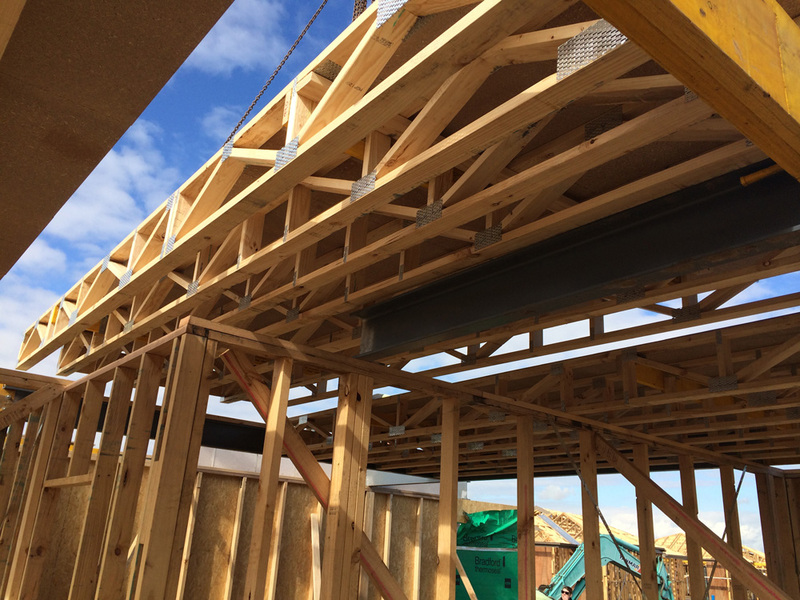 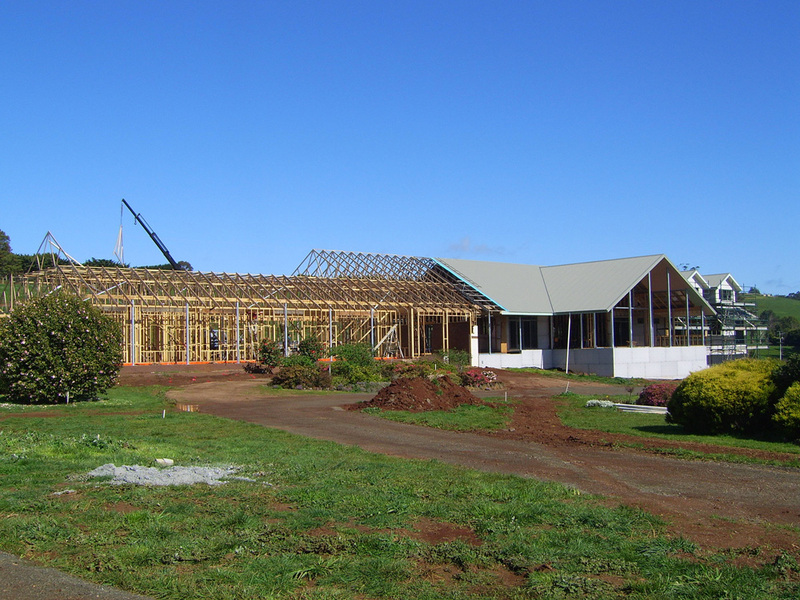 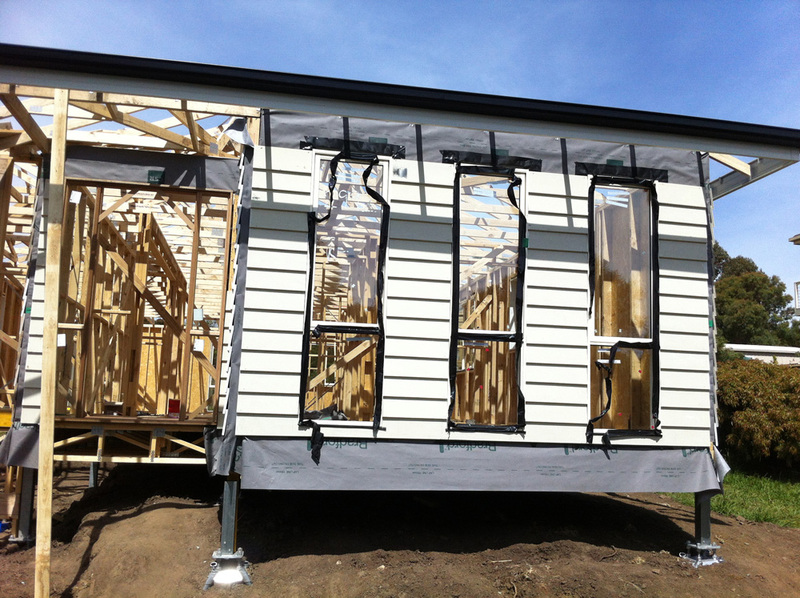 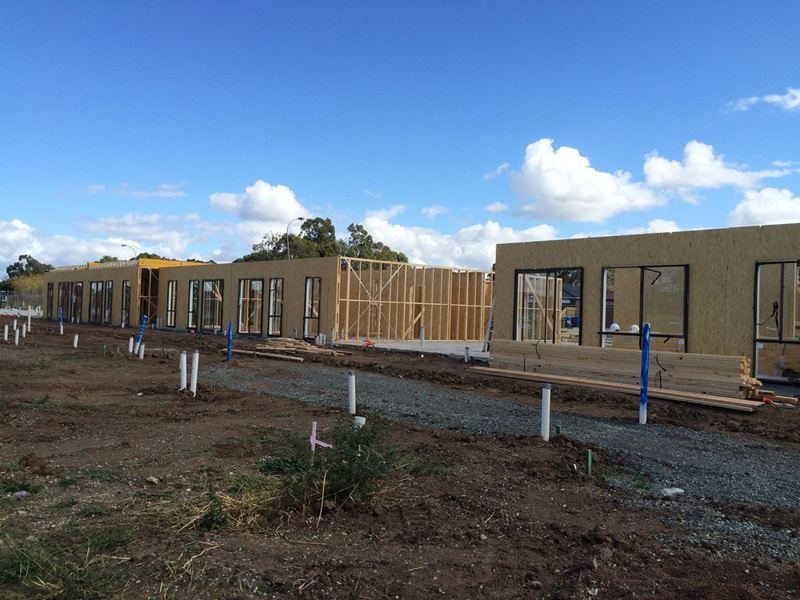 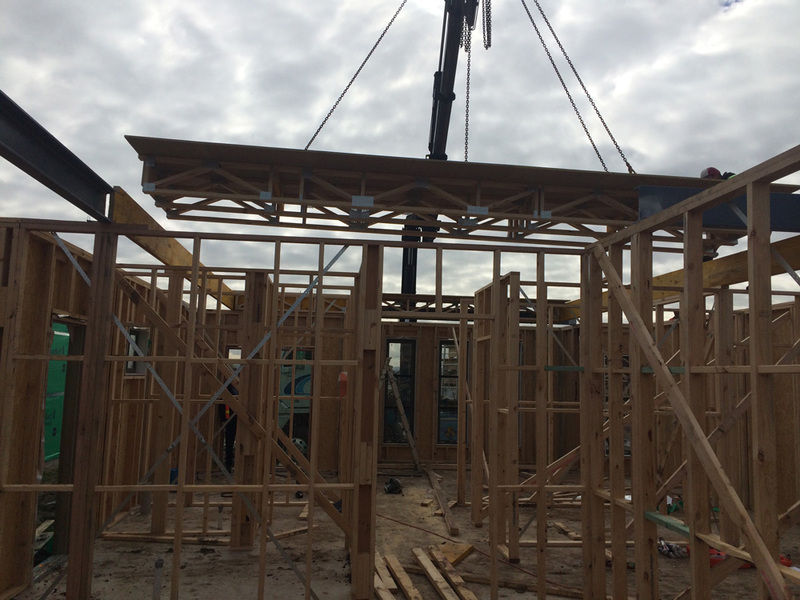 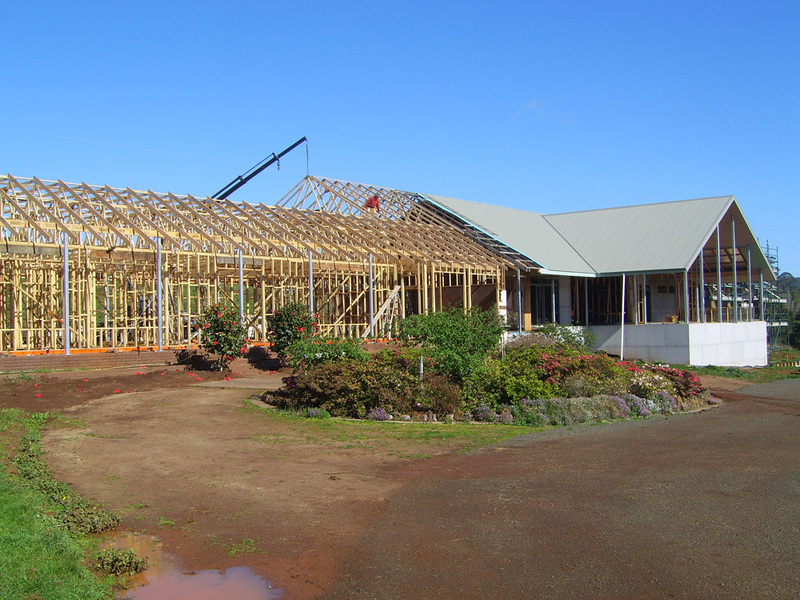 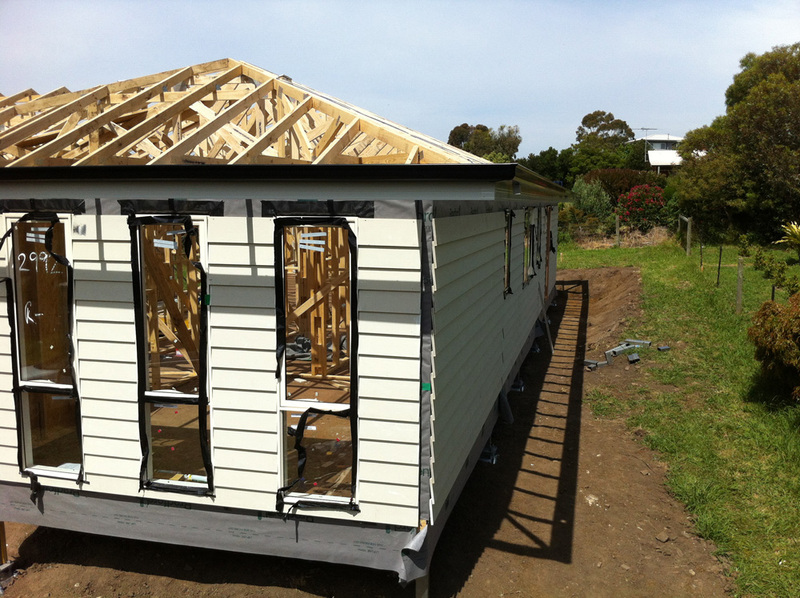 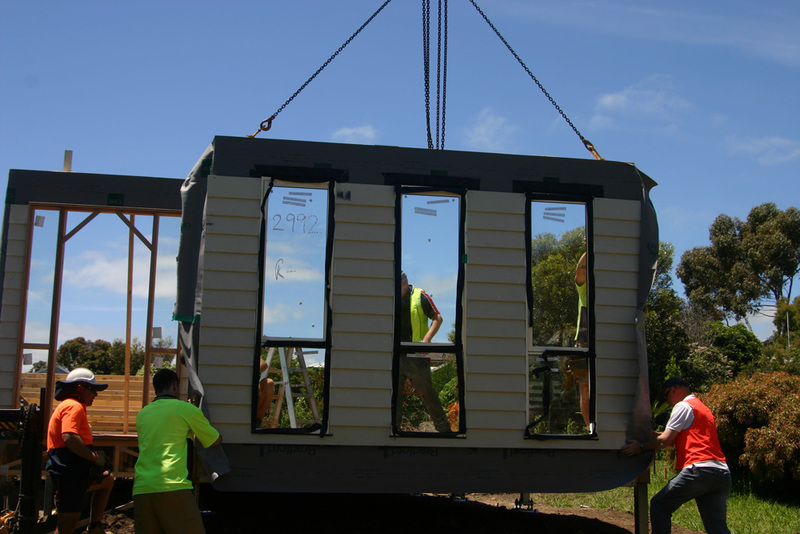 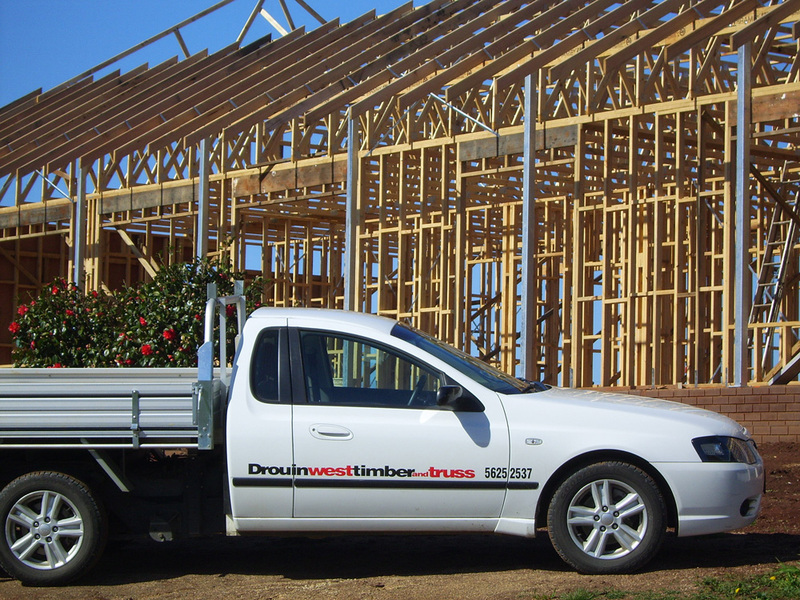 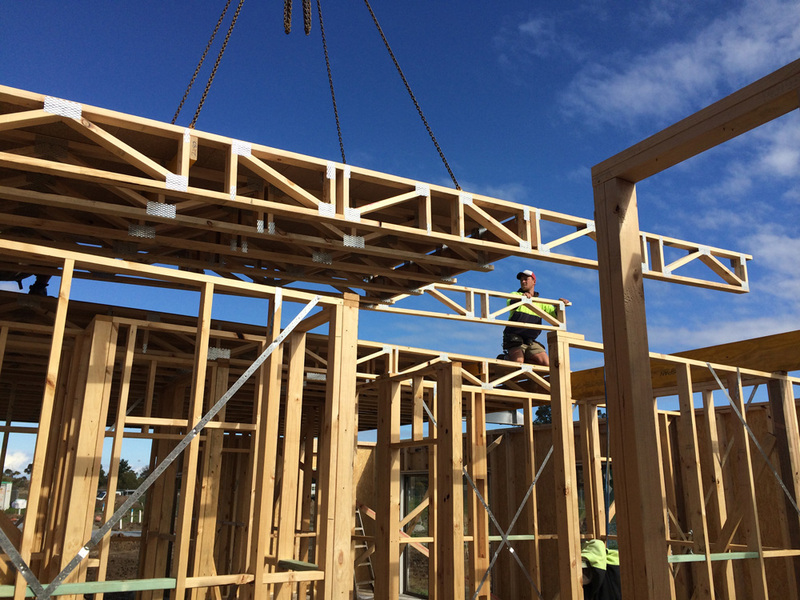 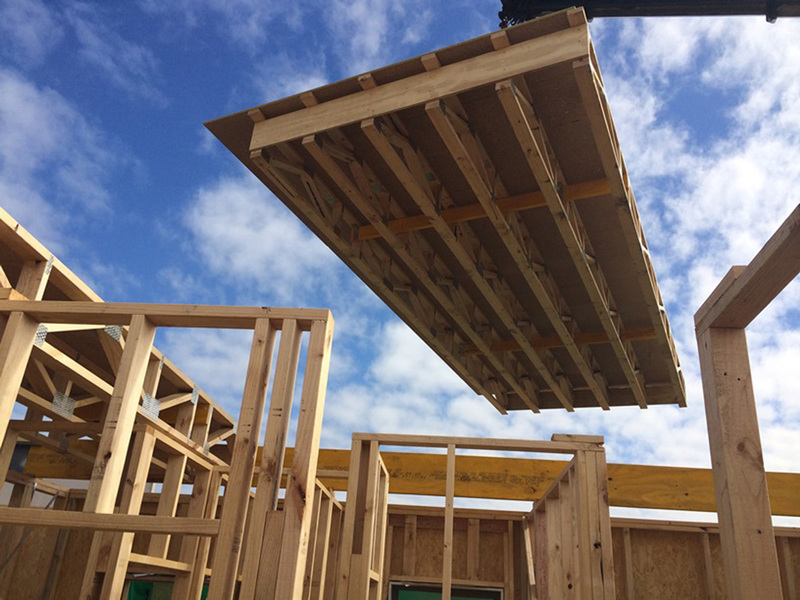 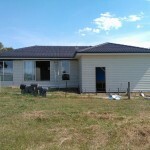 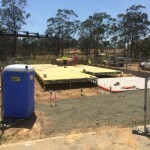 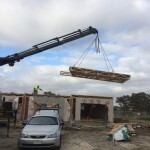 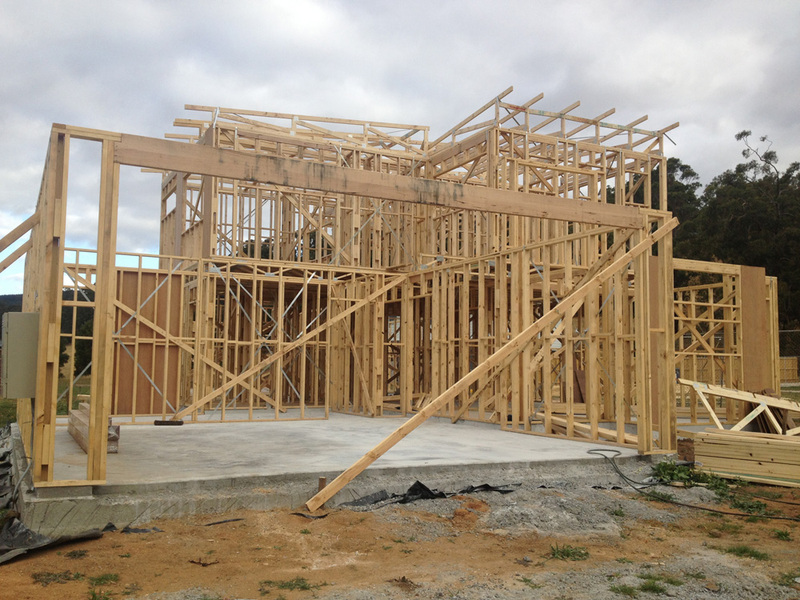 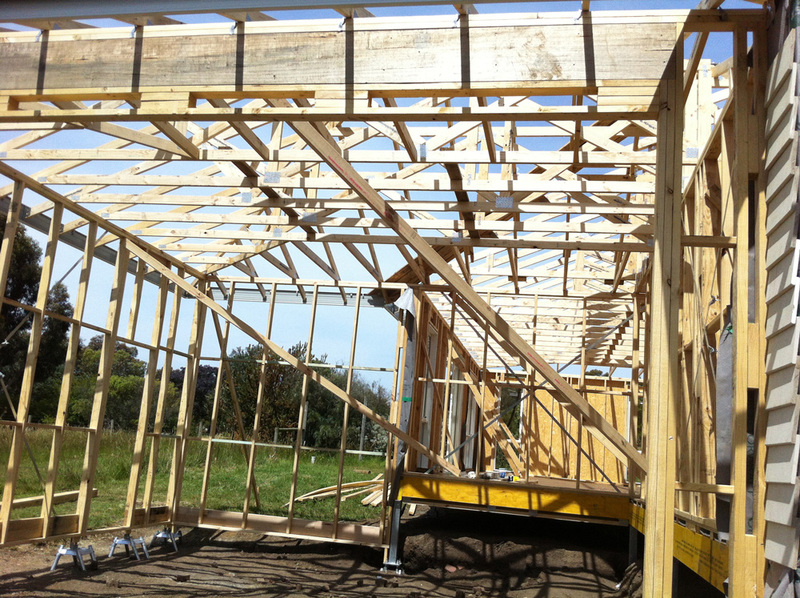 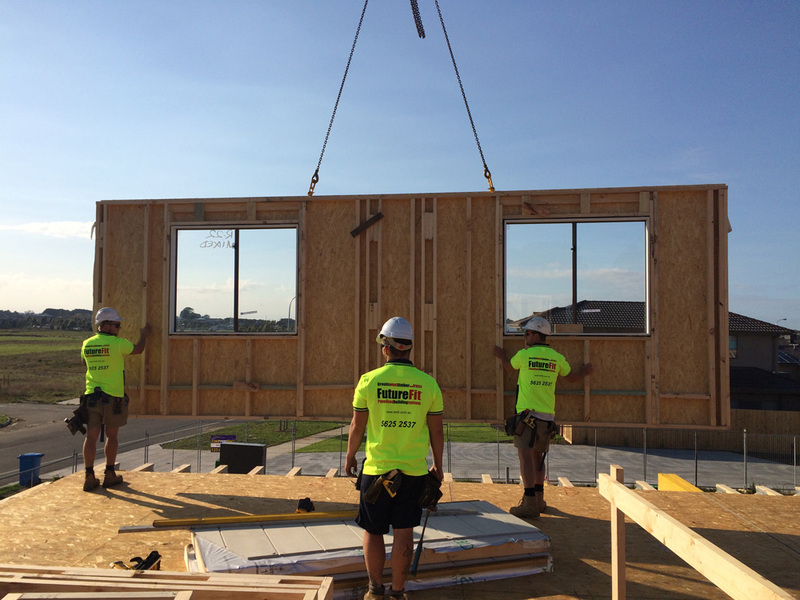 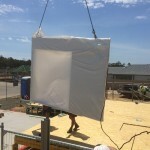 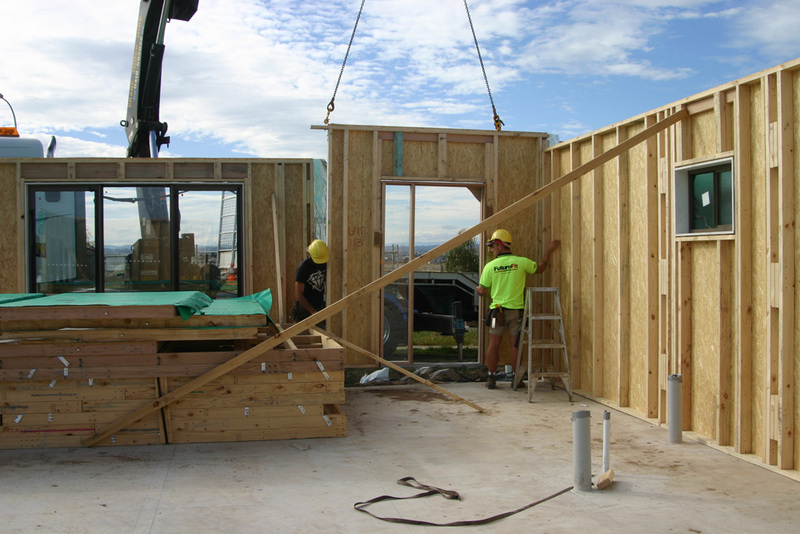 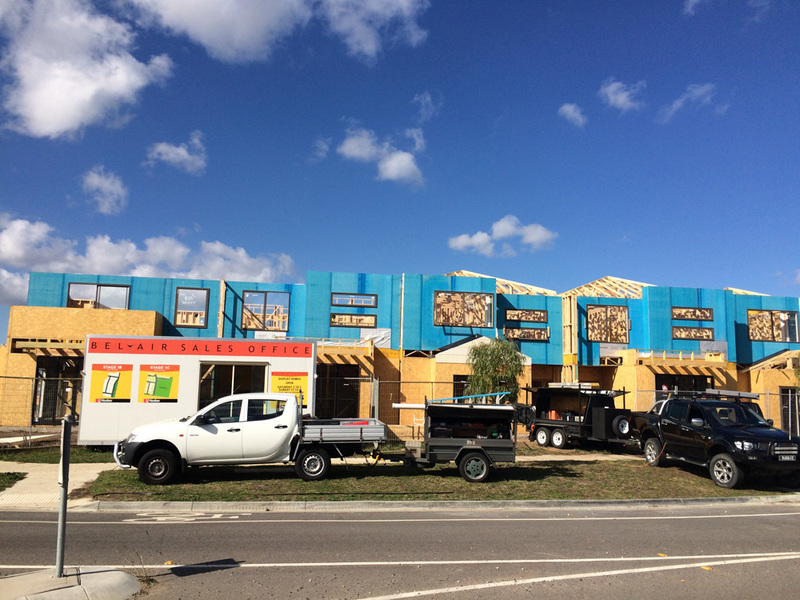 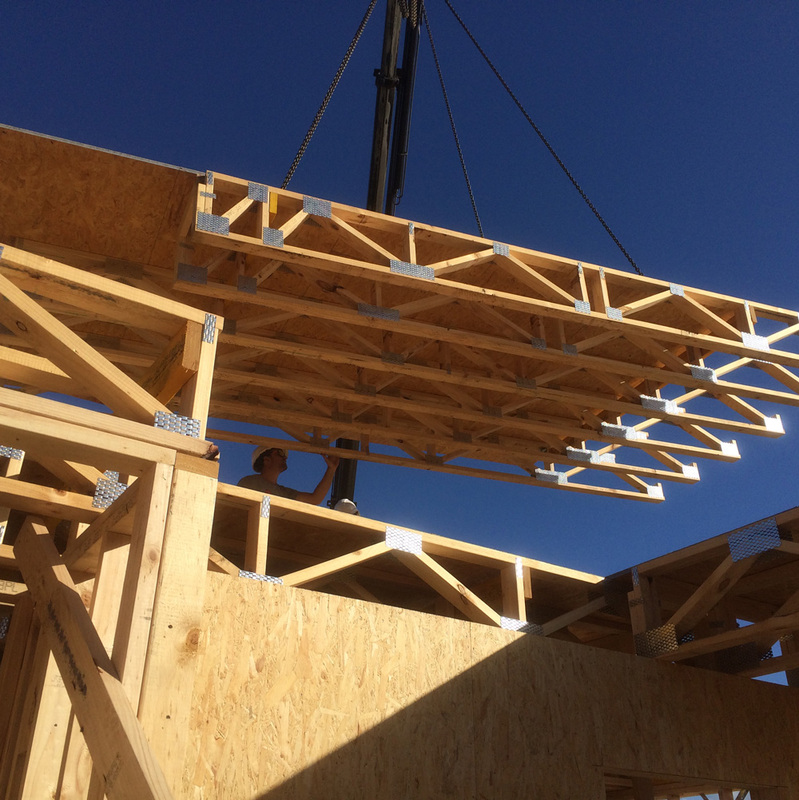 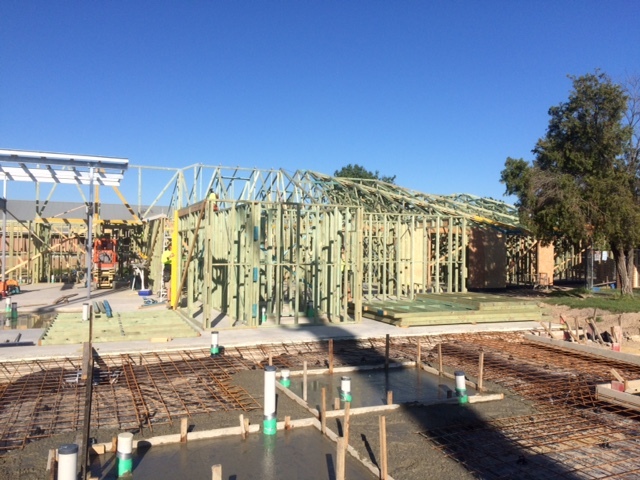 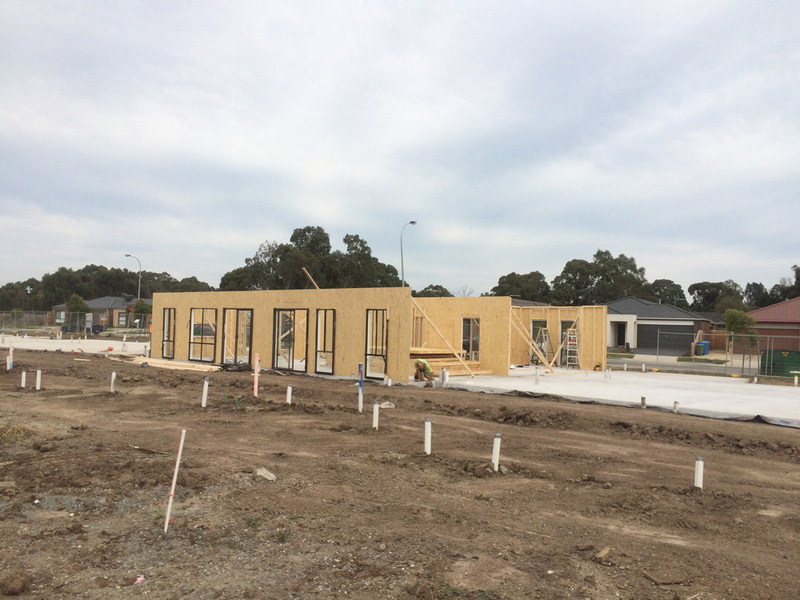 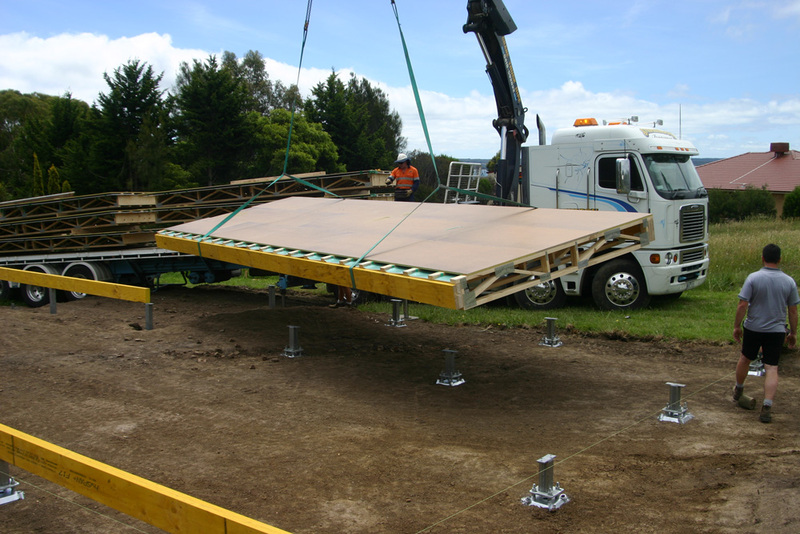 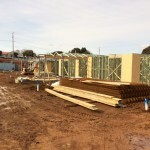 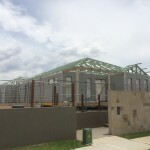 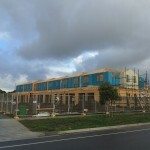 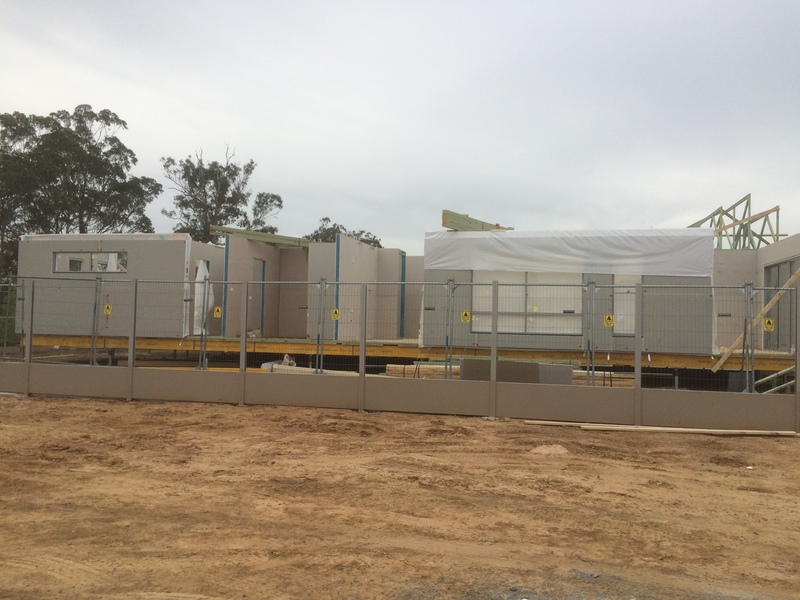 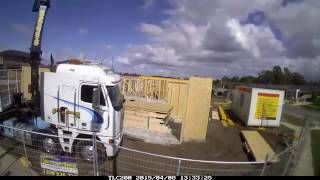 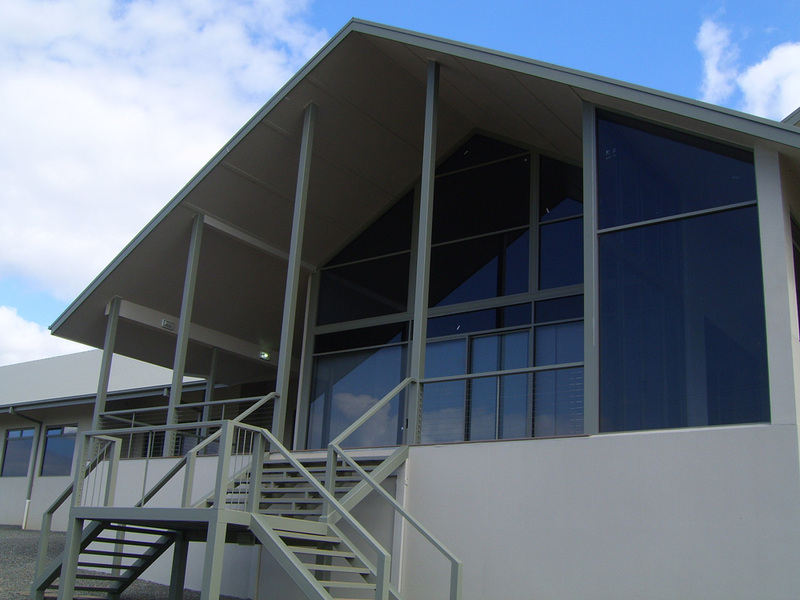 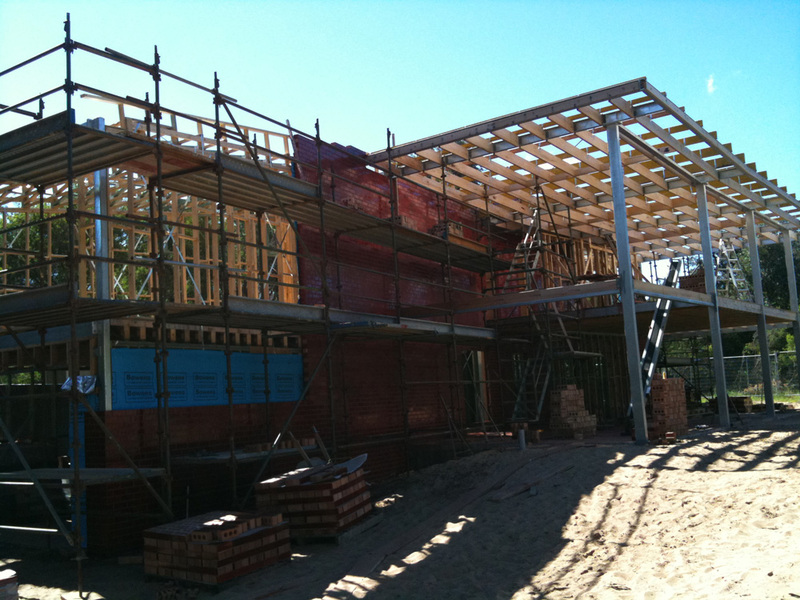 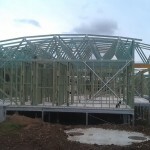 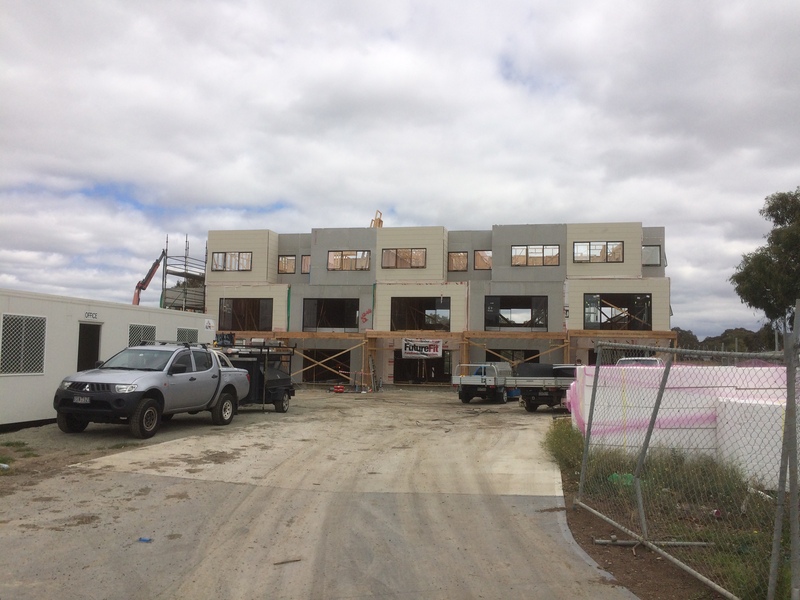 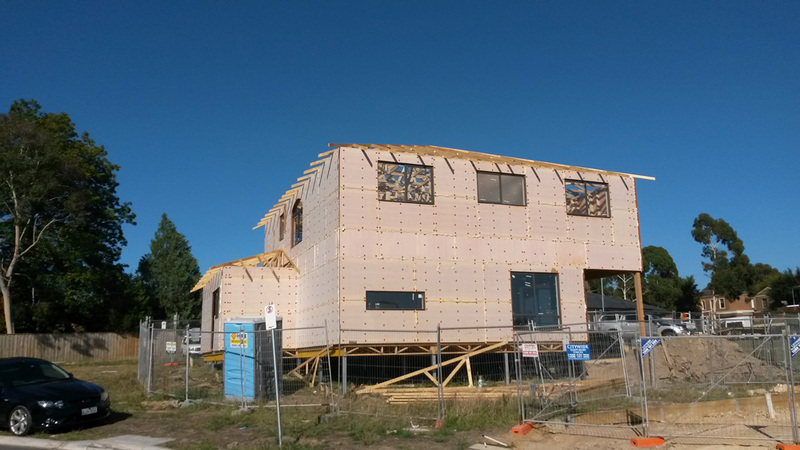 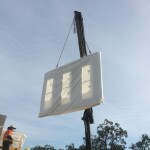 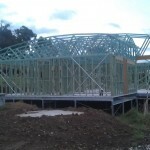 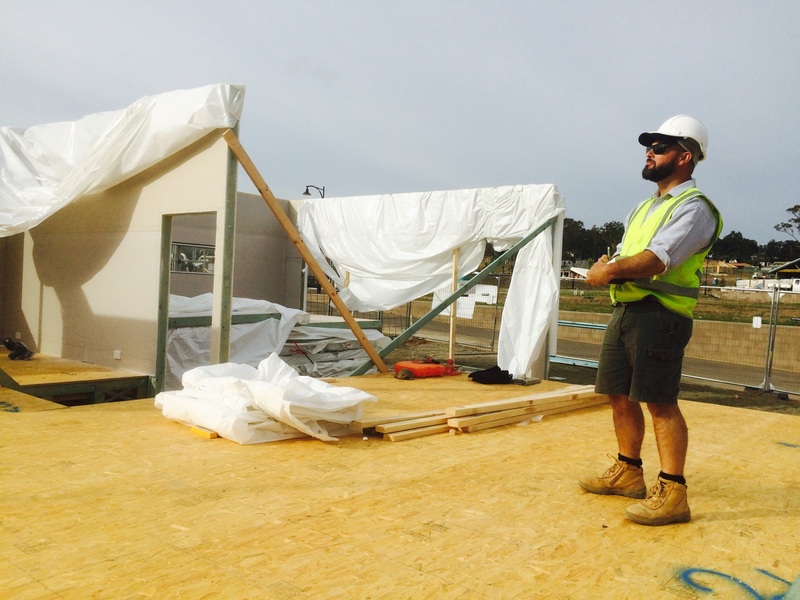 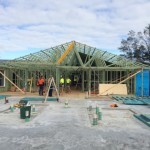 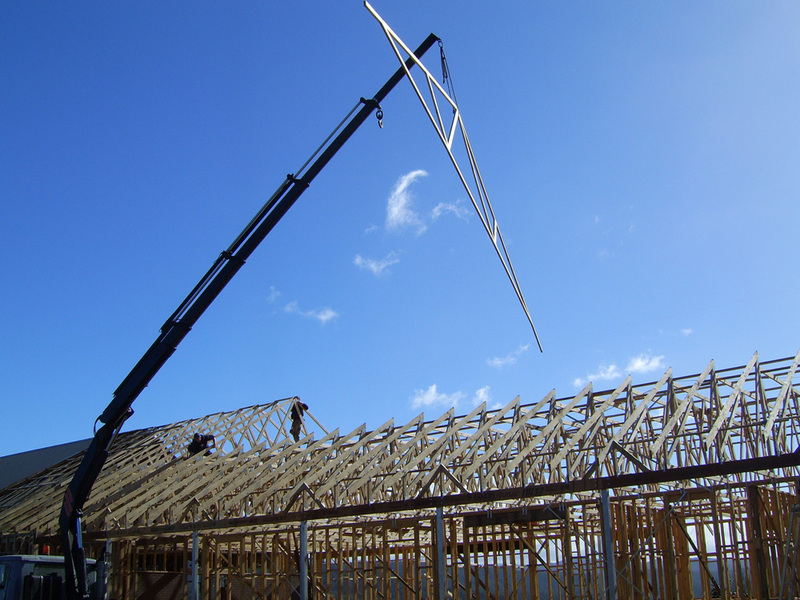 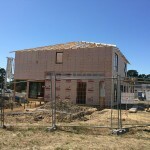 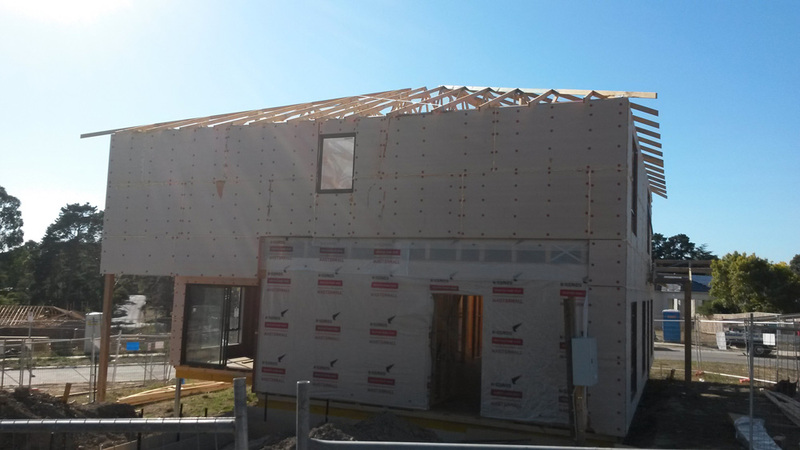 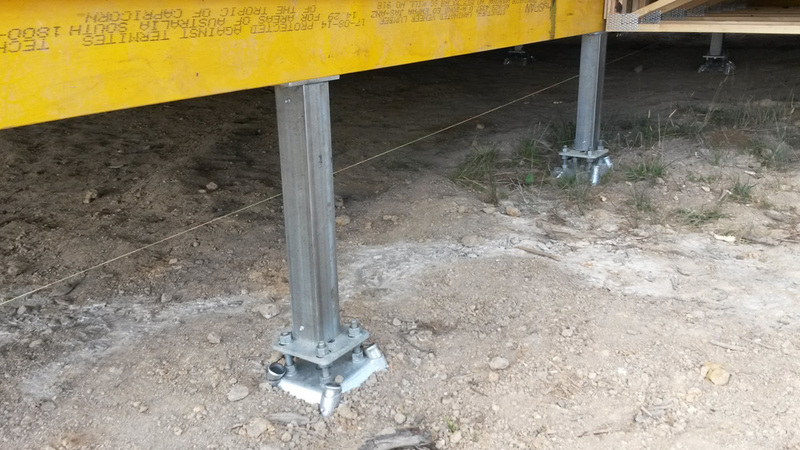 December 2015 saw the successful completion of DWTT - FutureFit™ first fully closed wall panel prototype home. 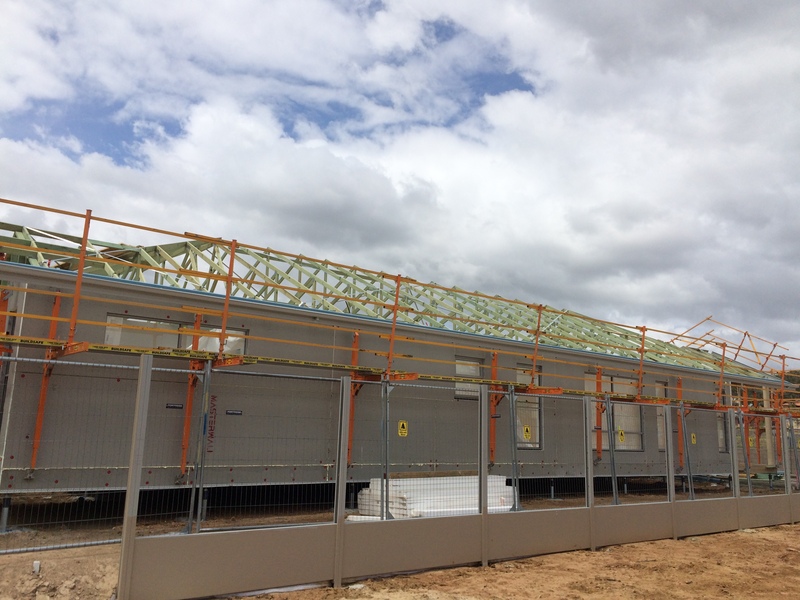 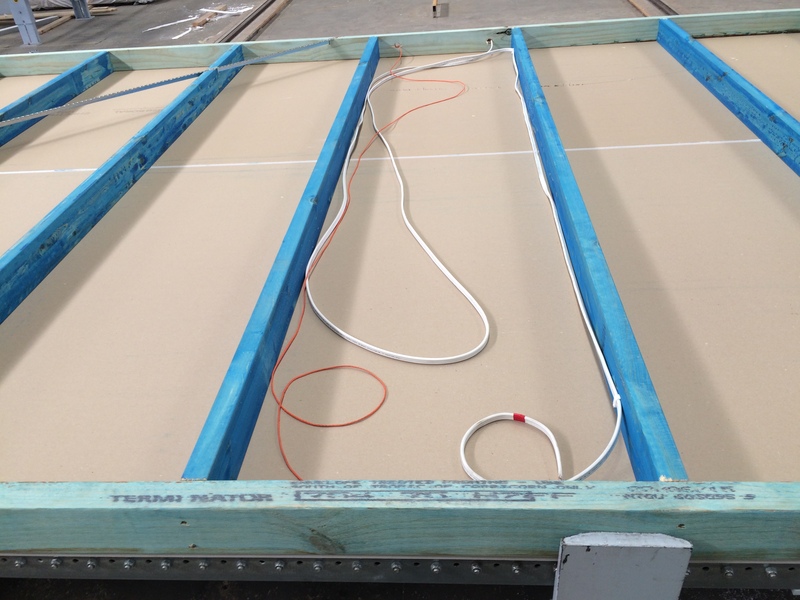 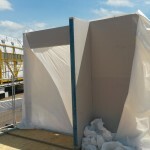 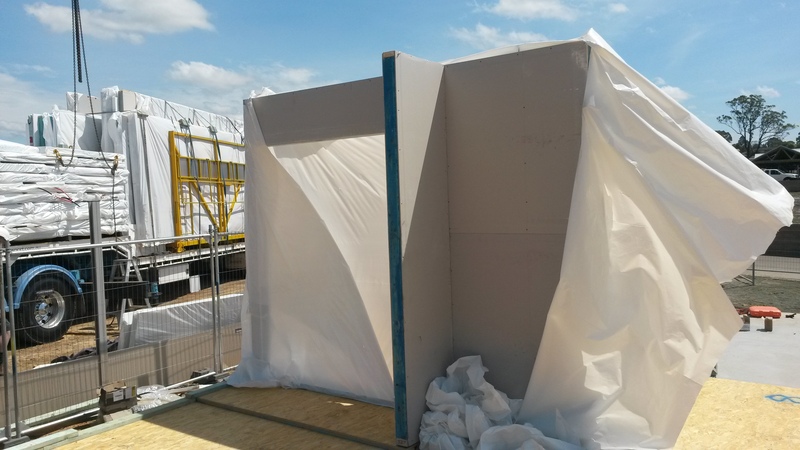 Working collaboratively with the client to develop a fully ‘closed panel' wall system consisting of external cladding (EPS - Masterwall™) ready for render. 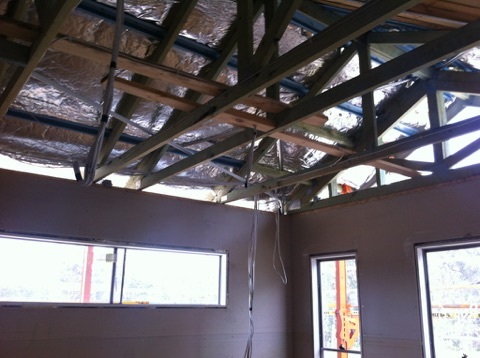 Internally, rough-in of plumbing services,electrical incorporating power, data and light switches, R2 insulation and plasterboard. 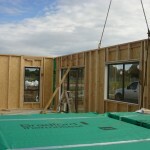 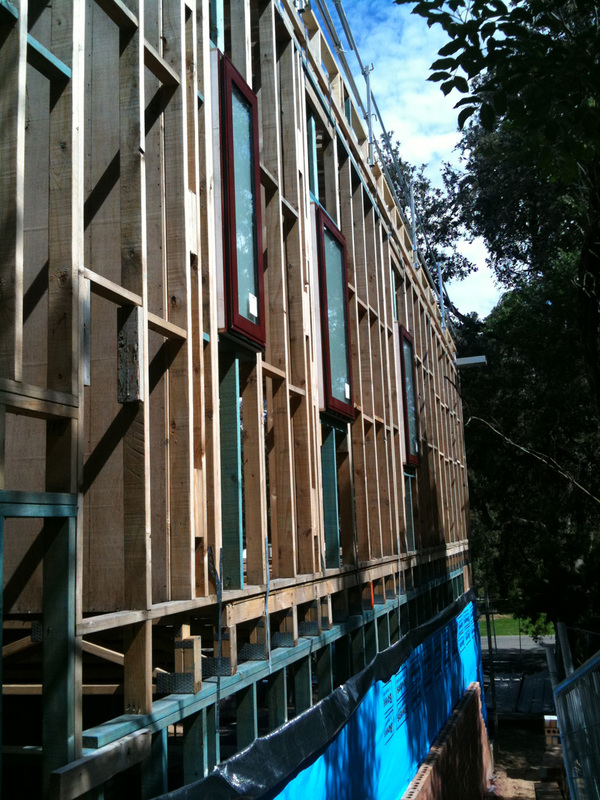 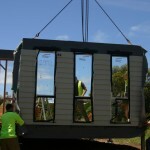 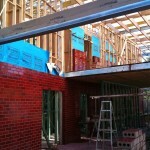 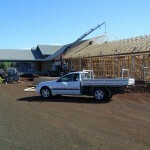 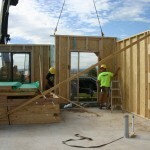 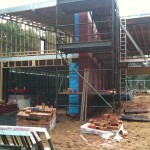 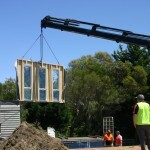 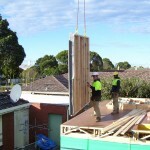 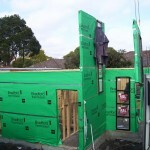 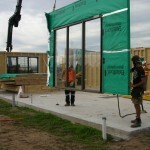 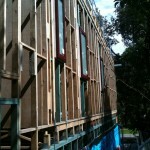 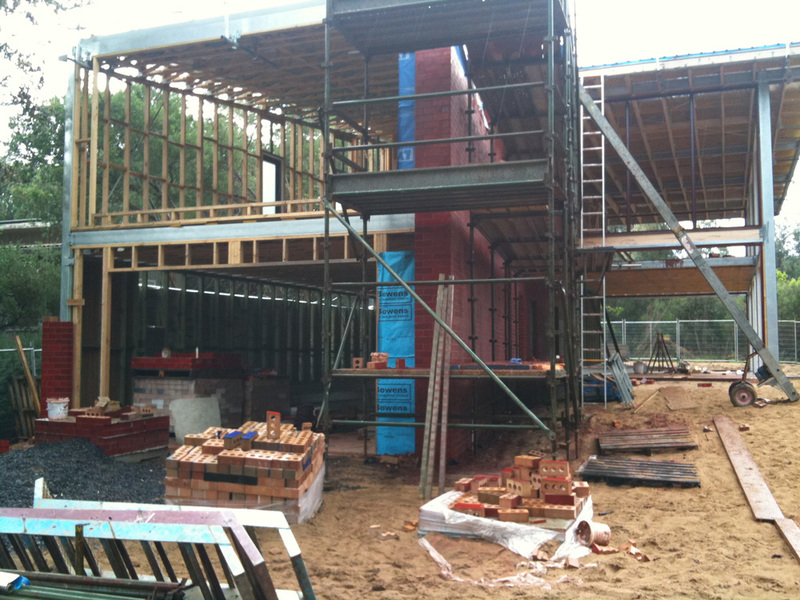 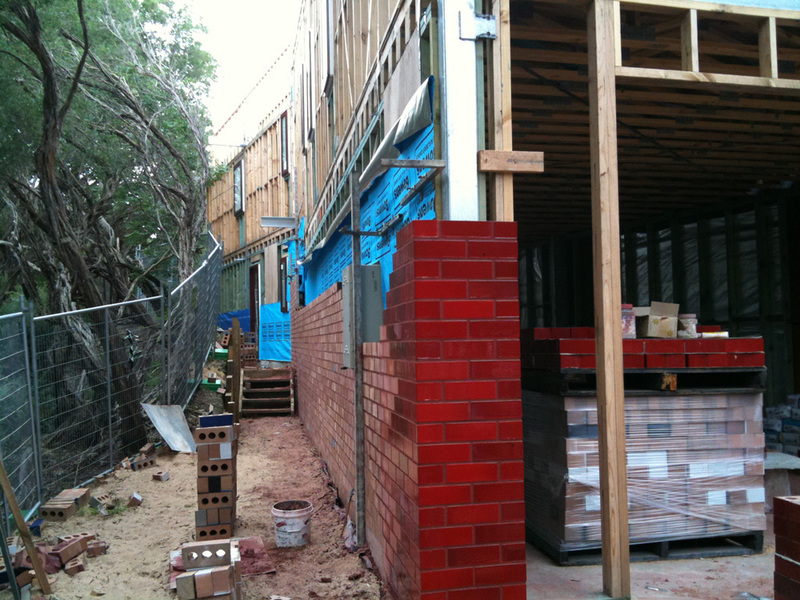 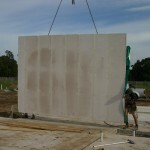 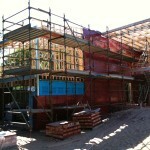 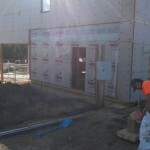 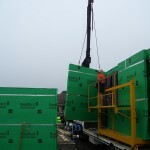 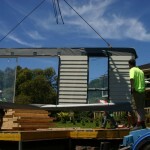 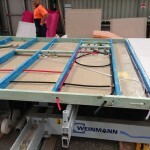 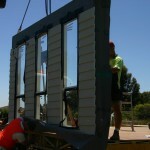 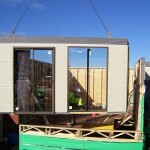 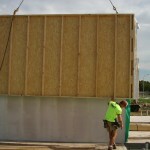 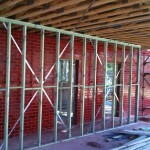 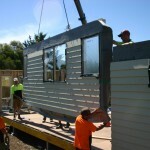 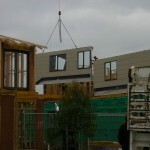 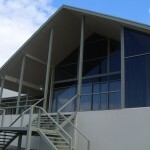 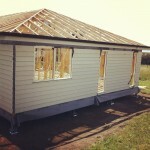 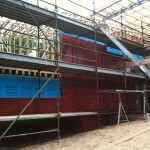 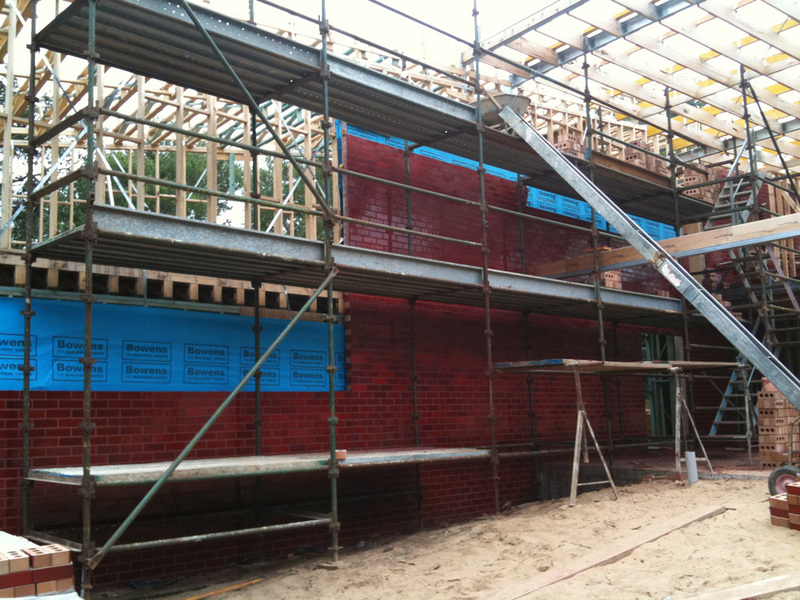 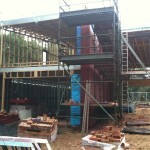 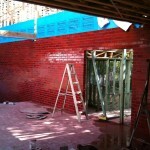 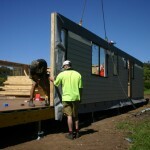 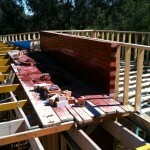 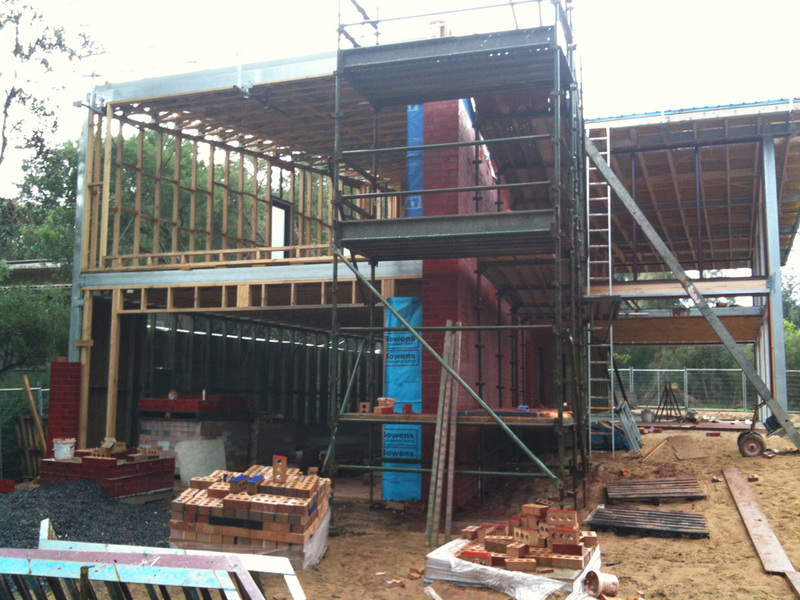 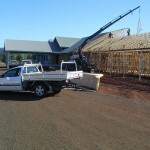 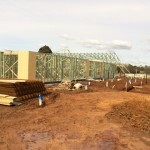 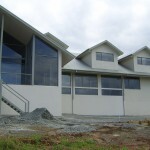 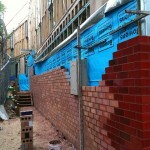 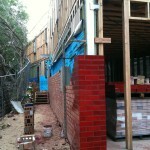 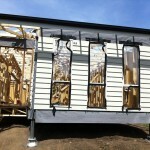 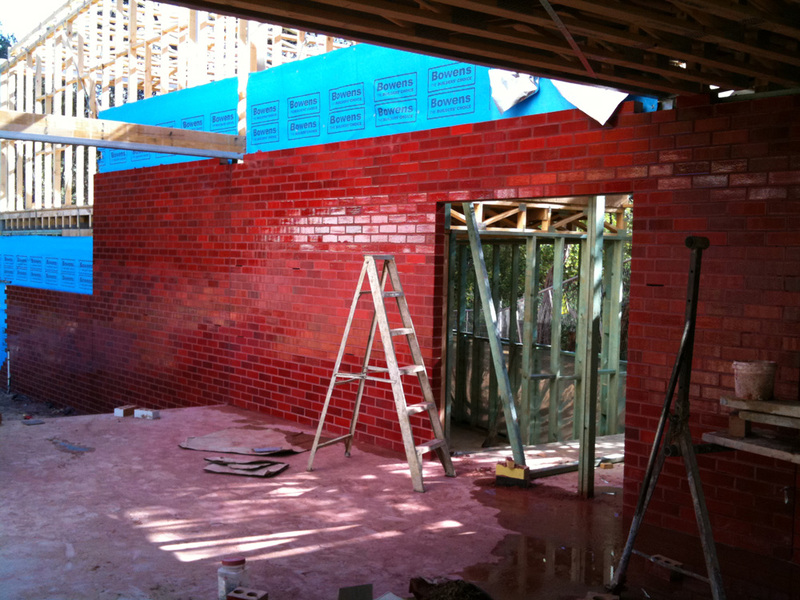 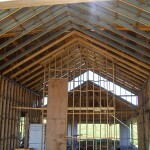 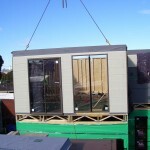 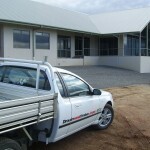 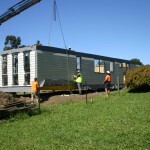 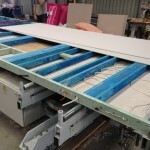 All Windows and external door frames were also pre-installed into the ‘closed' wall panels. 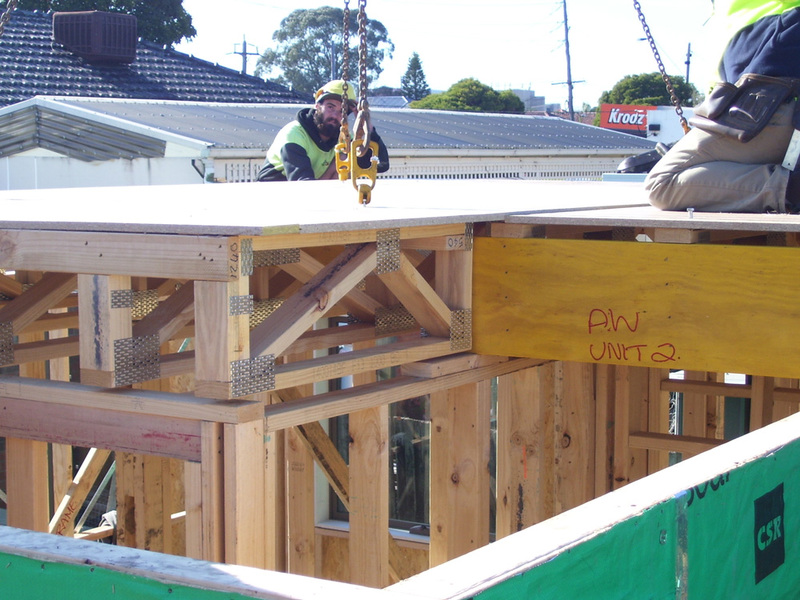 This prototype was a new, exciting and a challenging project to undertake and the FutureFit™ - Team learnt a great deal from the experience. 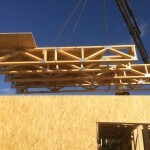 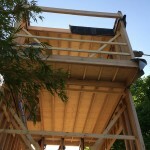 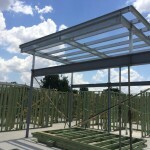 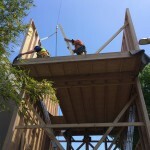 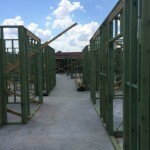 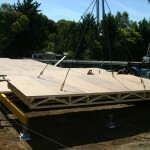 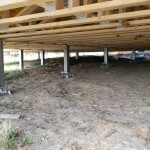 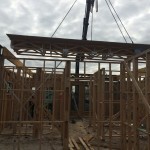 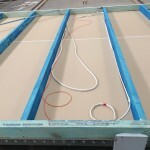 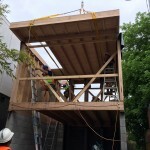 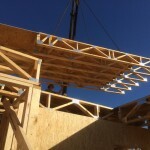 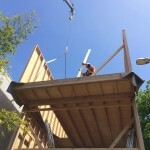 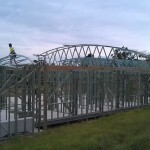 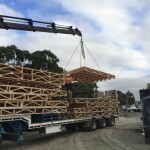 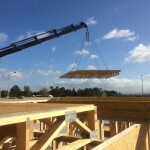 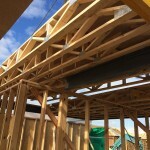 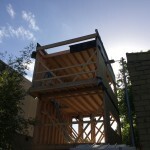 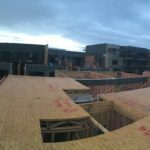 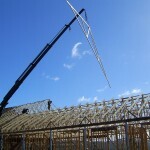 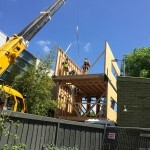 The project ran smoothly and the experience, knowledge and techniques developed will enable us to make continual improvements to our FutureFit™system to increase speed and efficiency for future projects to come.